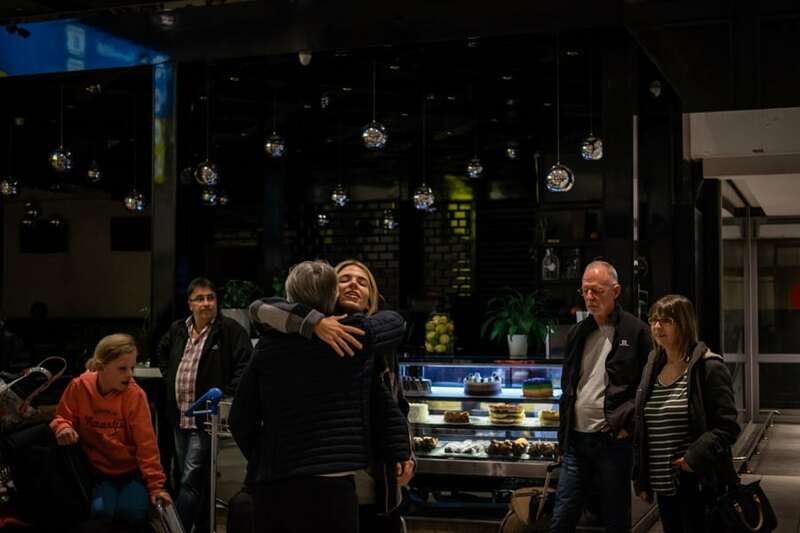 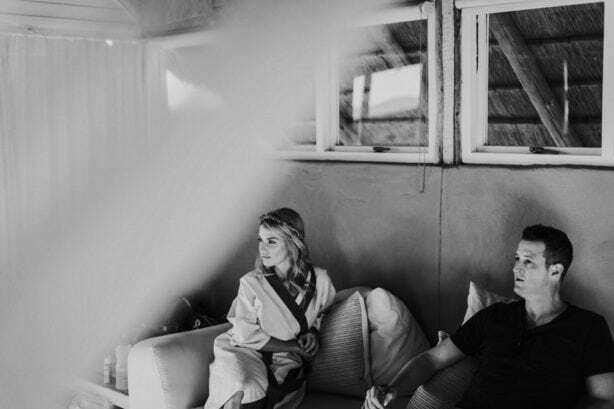 I don’t even know where to begin with Ash and Rick and their amazing adventure we were lucky enough to share. 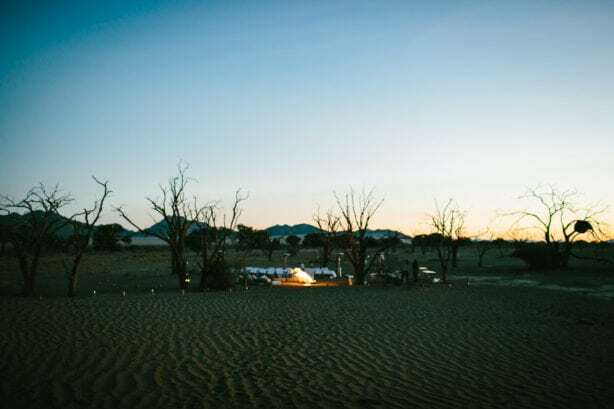 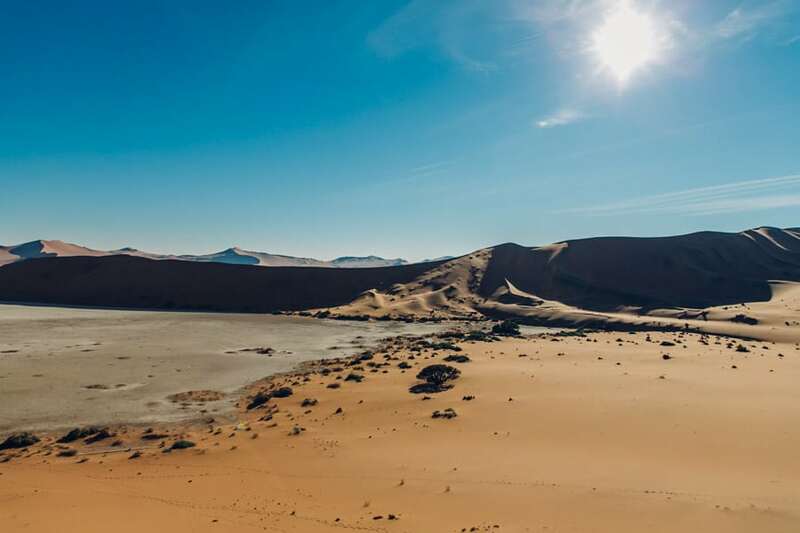 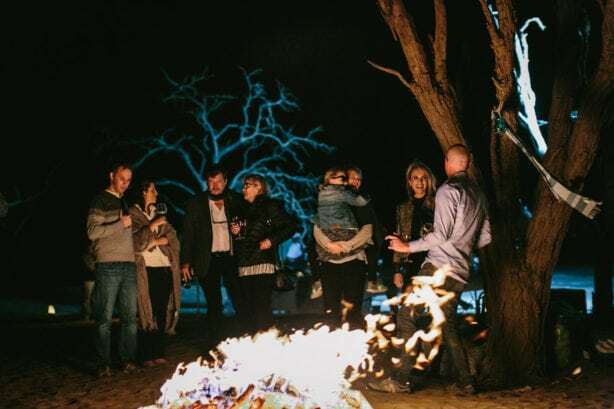 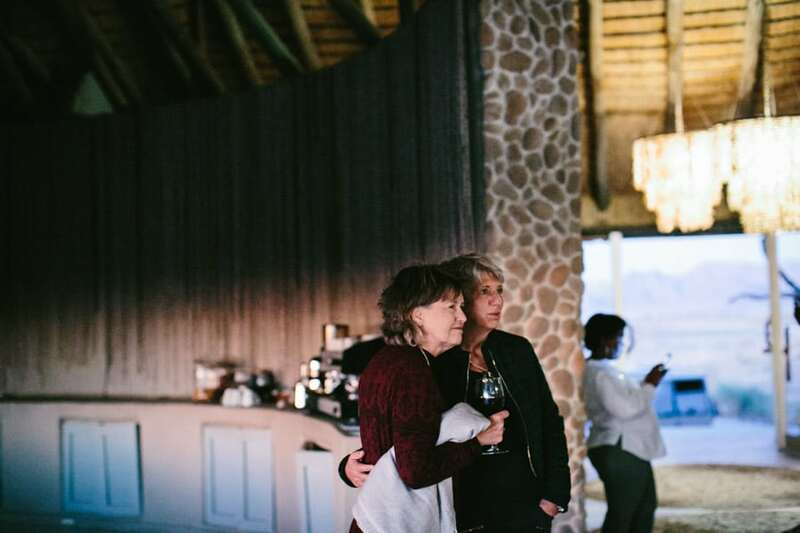 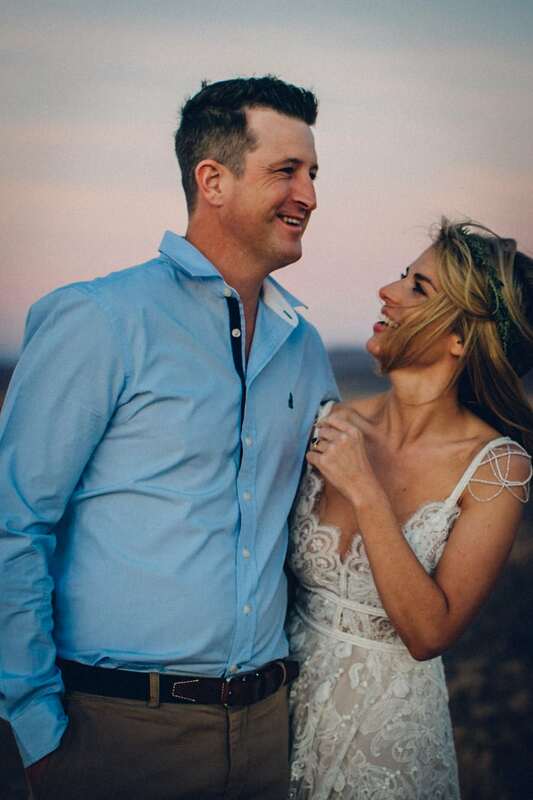 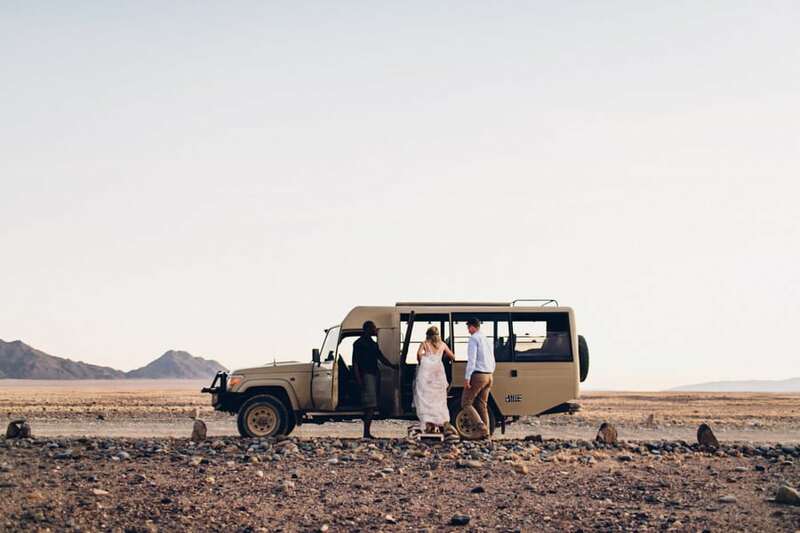 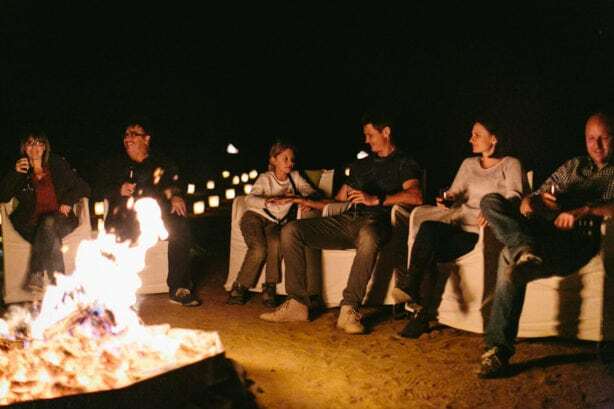 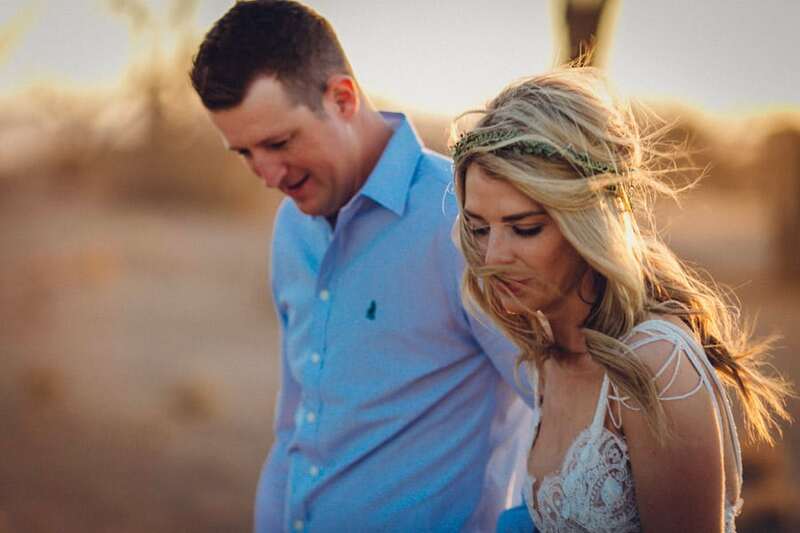 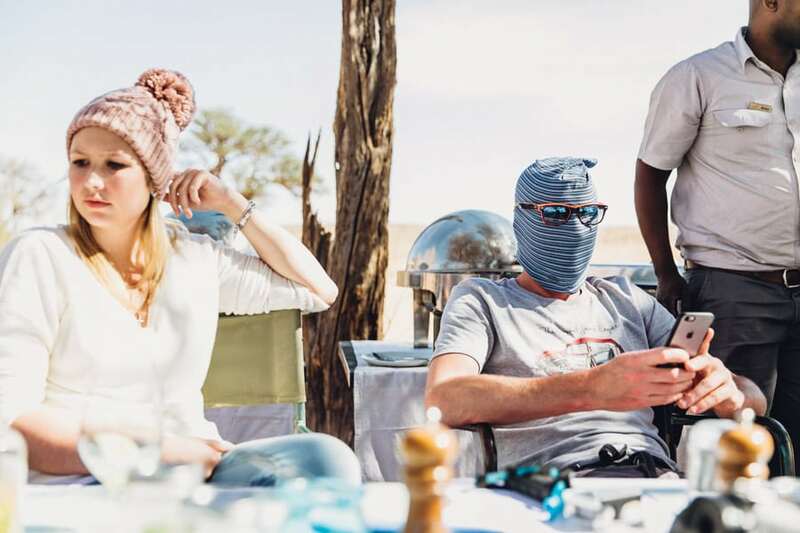 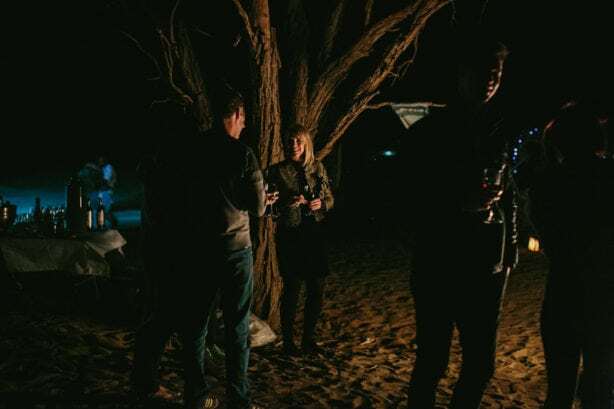 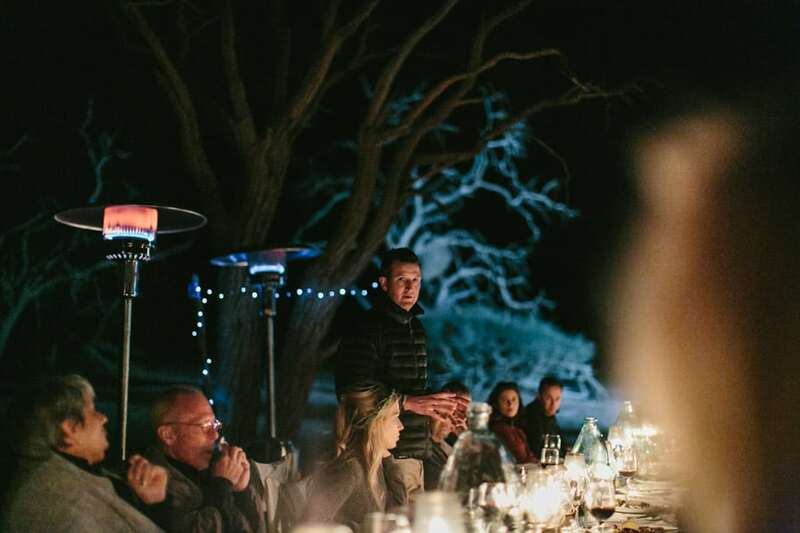 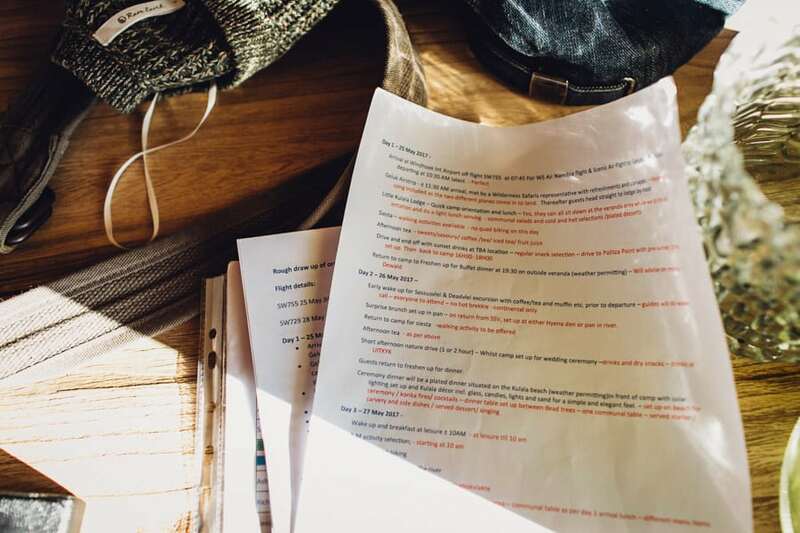 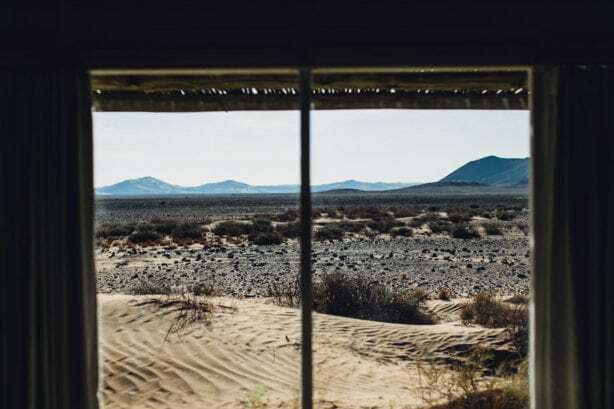 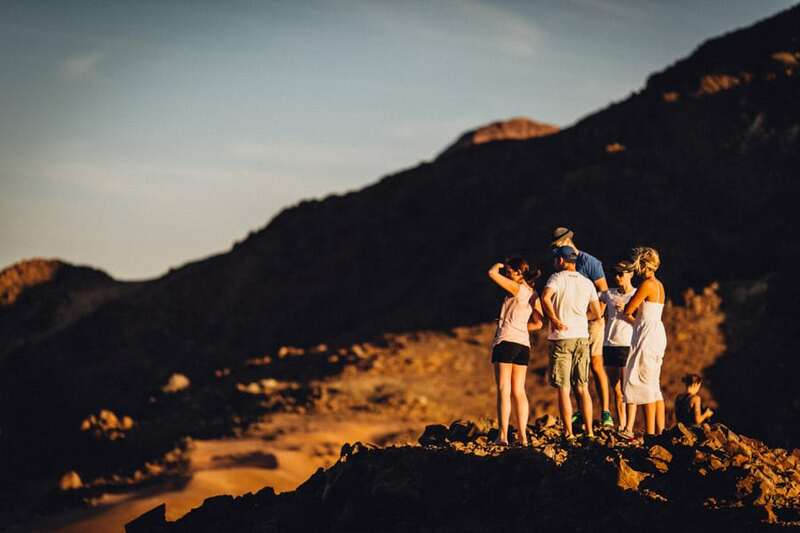 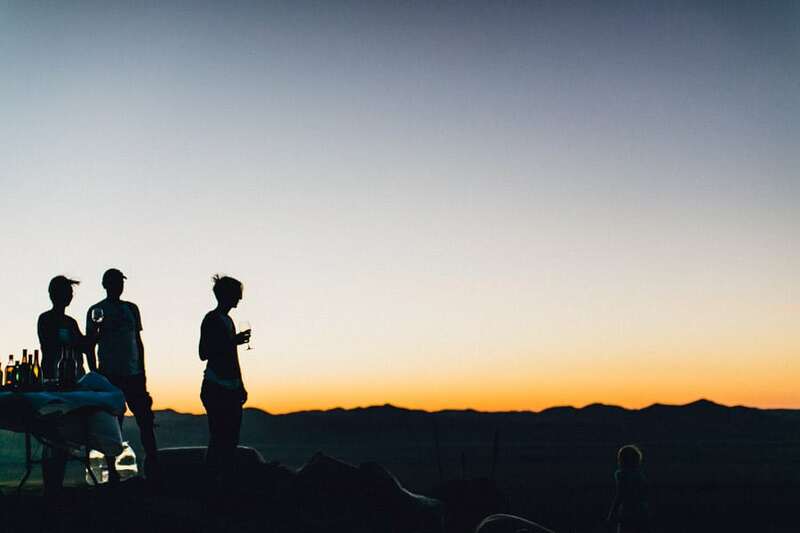 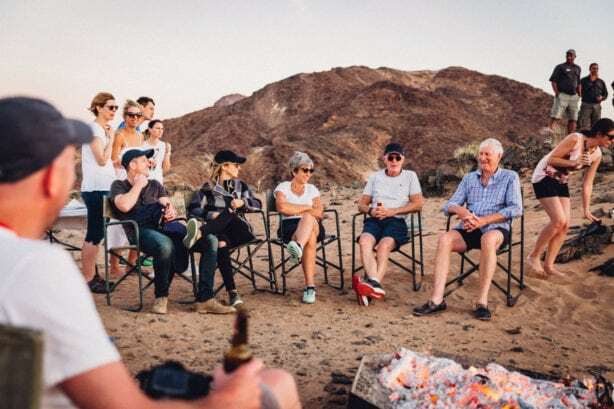 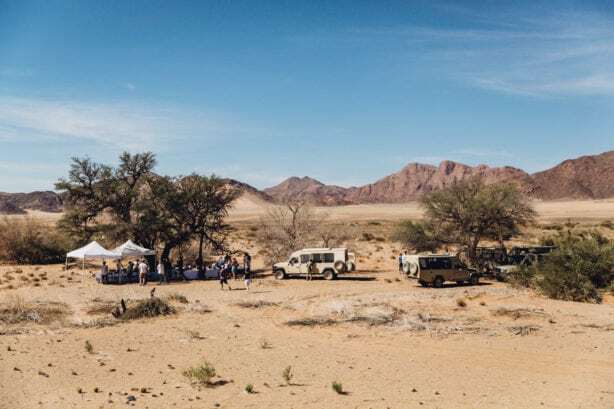 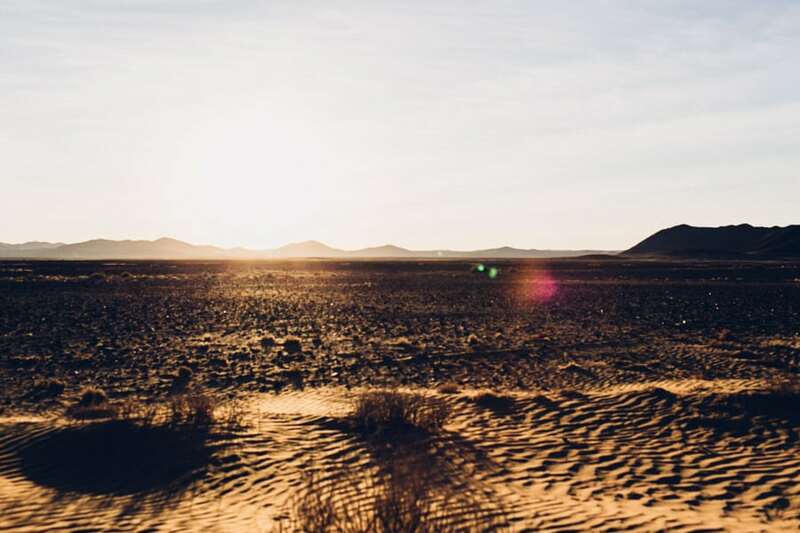 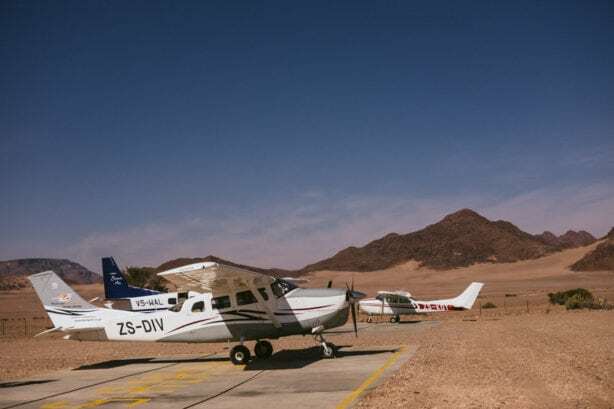 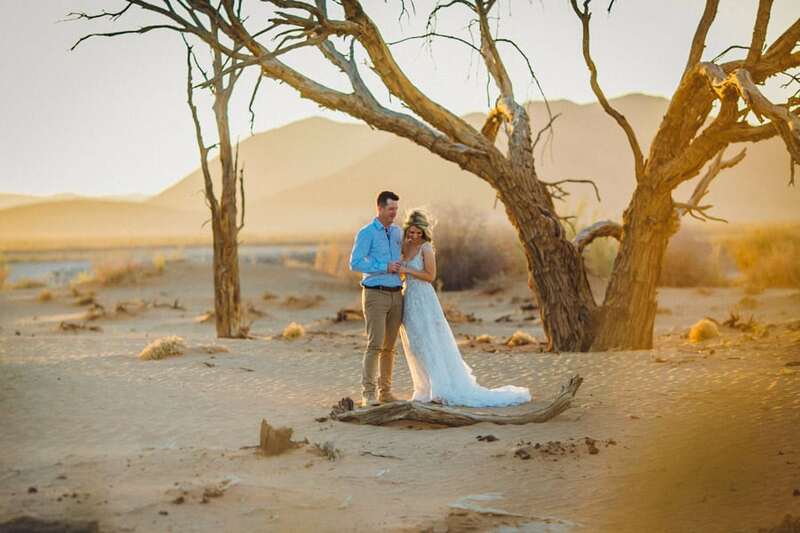 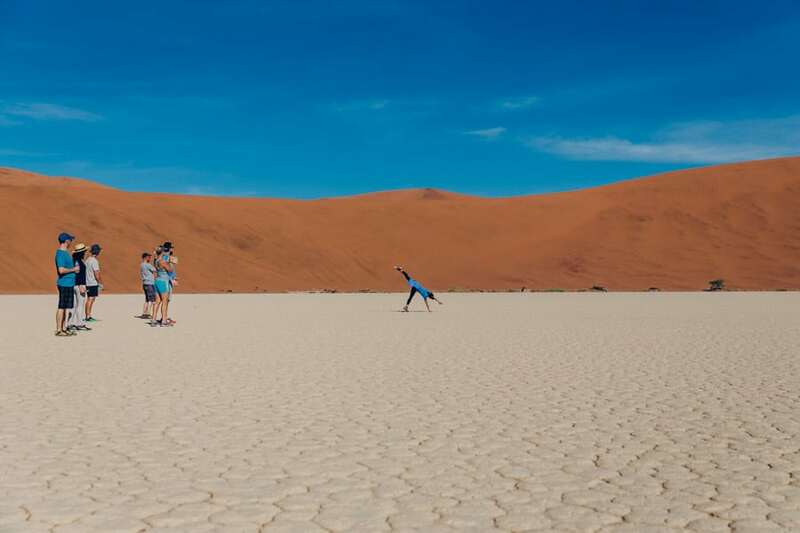 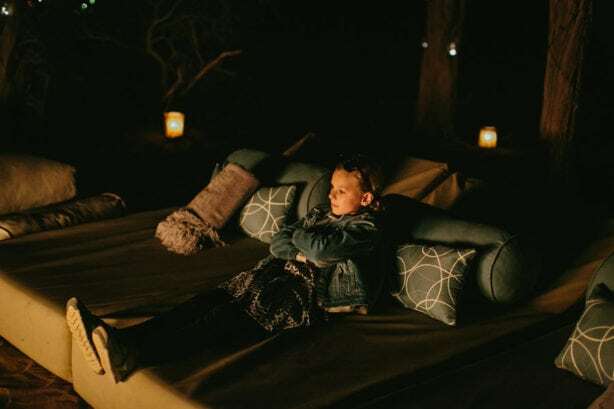 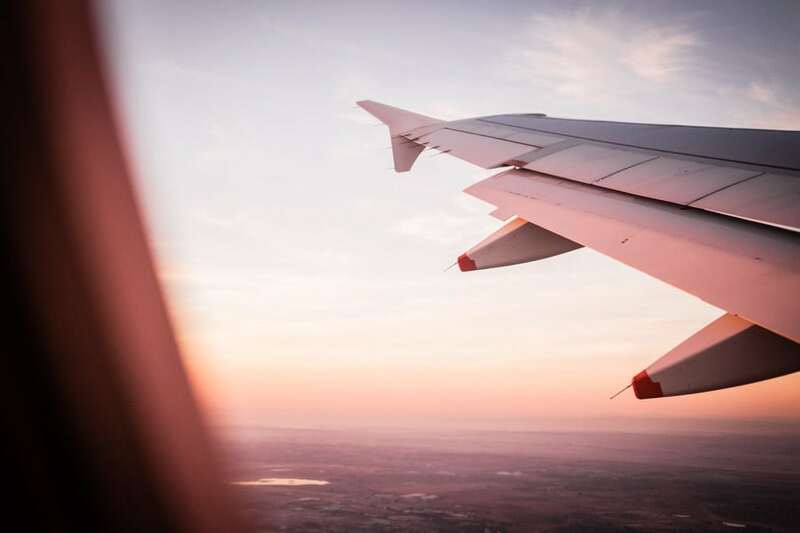 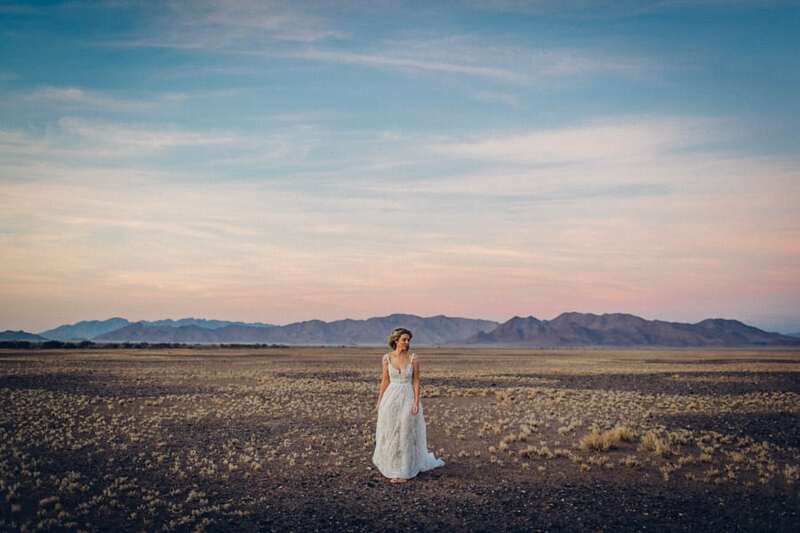 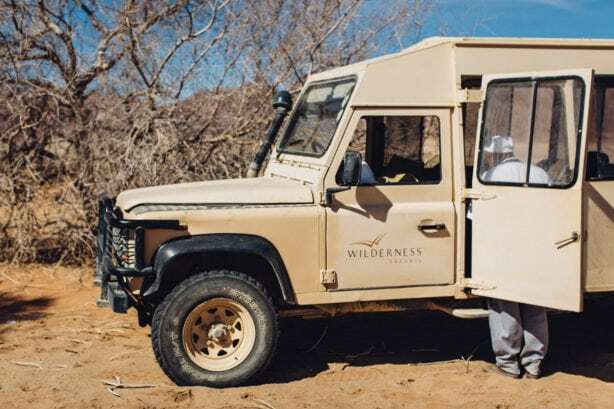 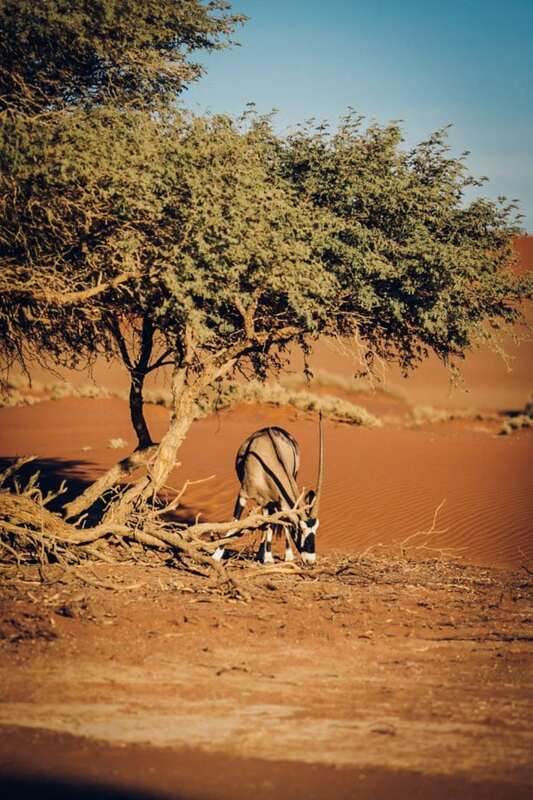 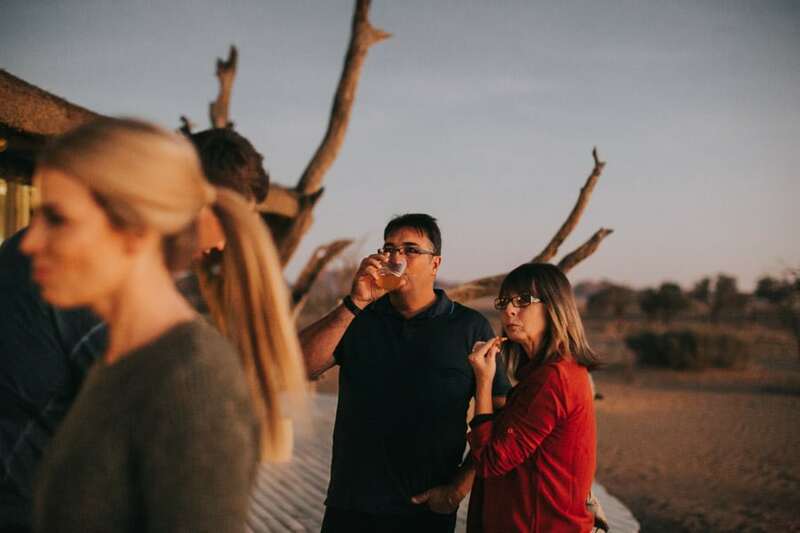 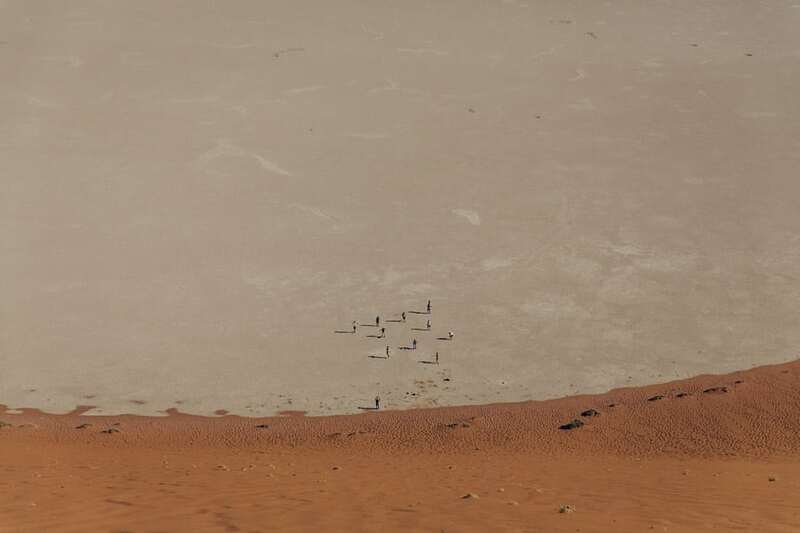 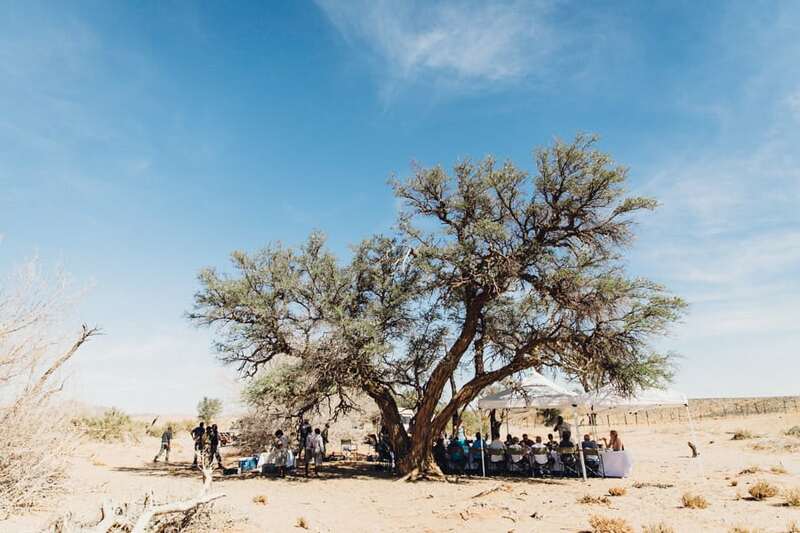 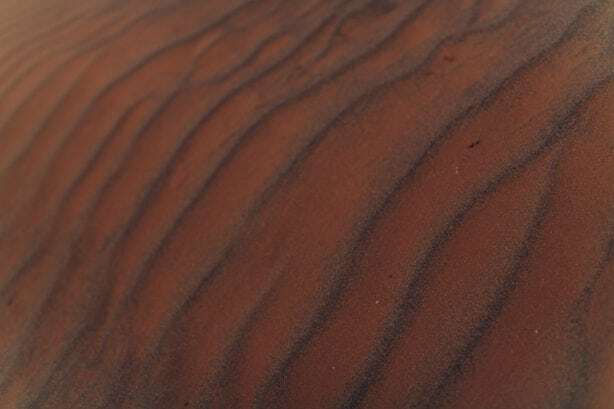 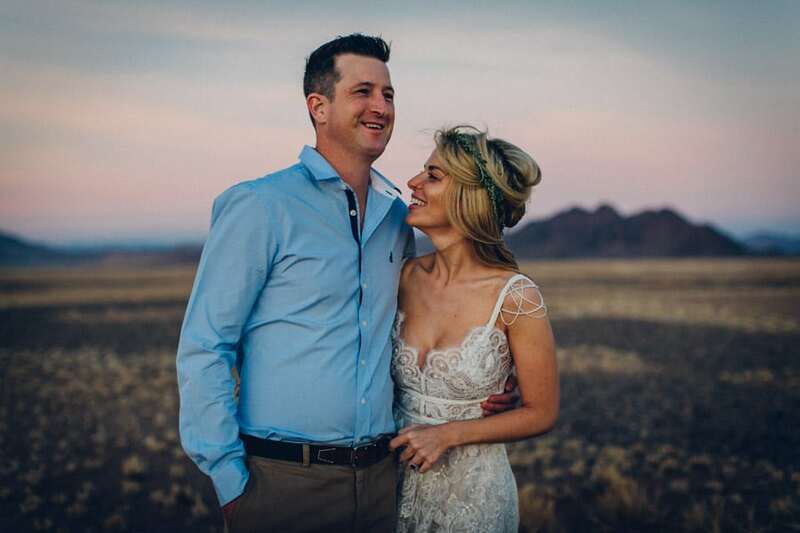 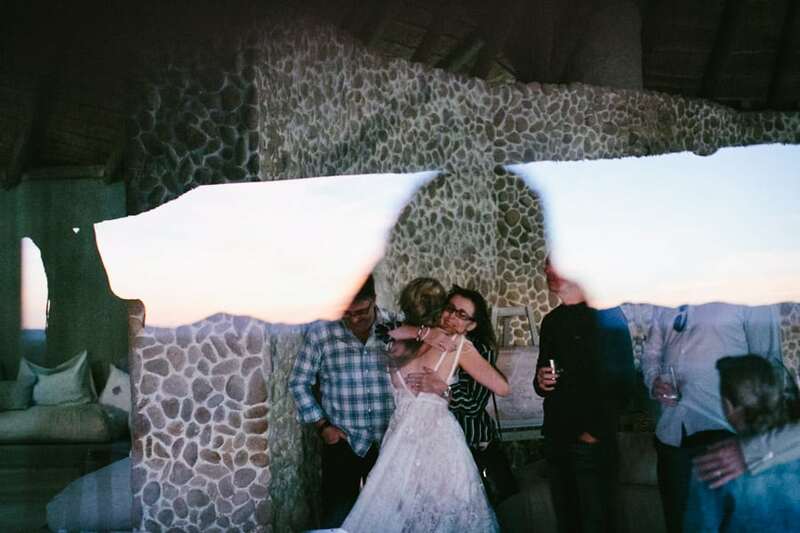 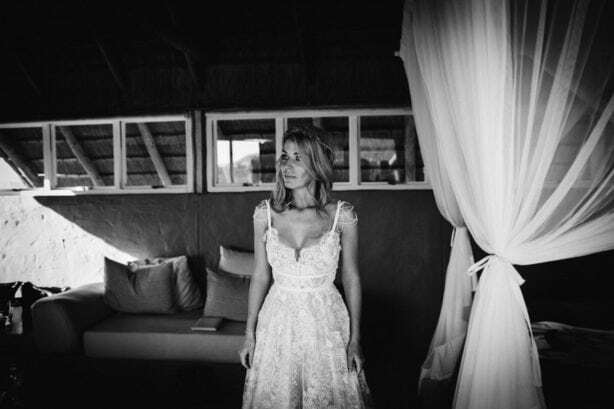 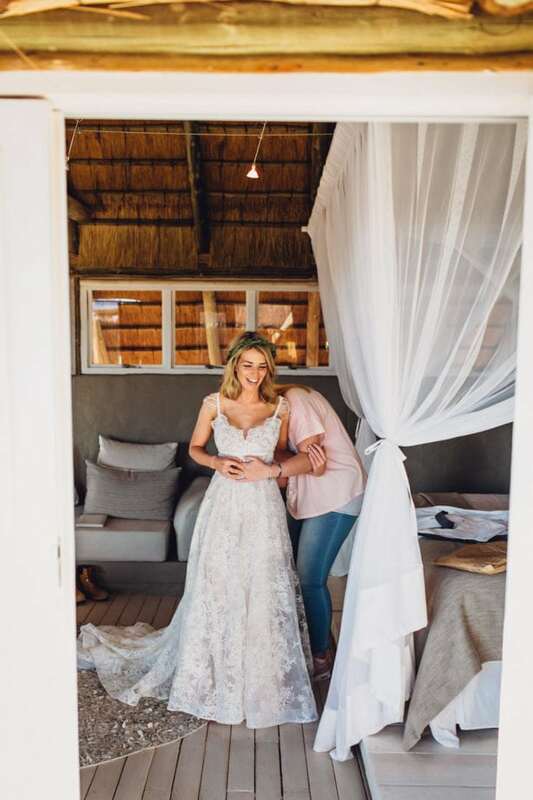 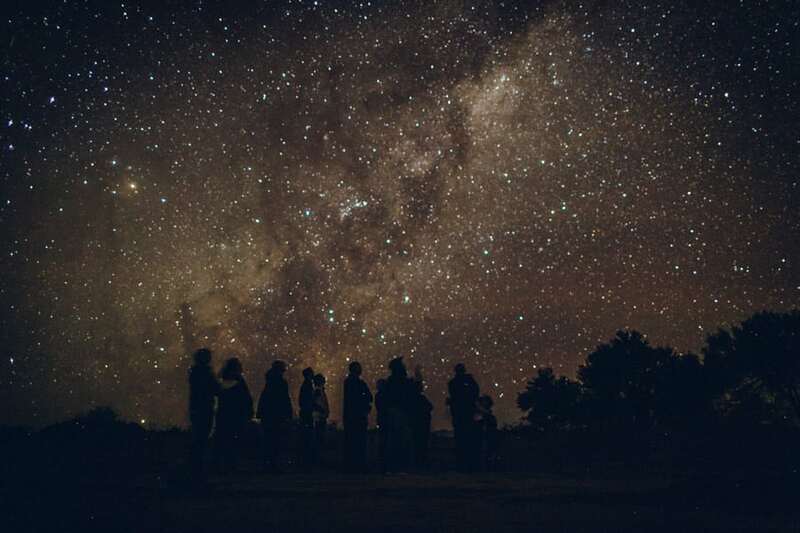 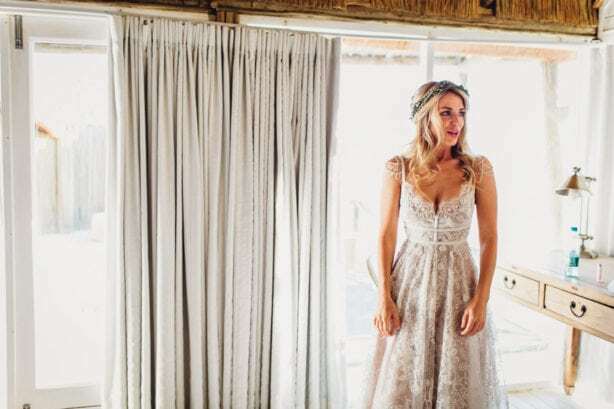 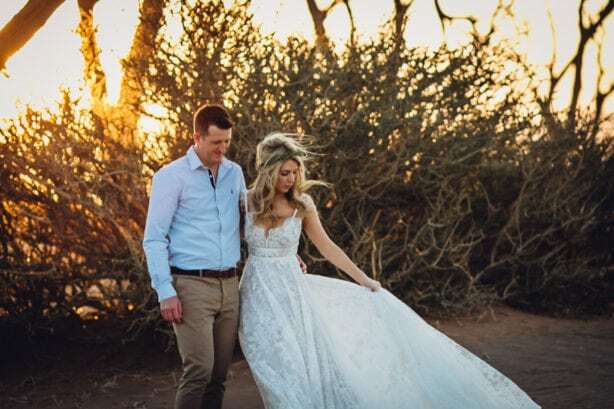 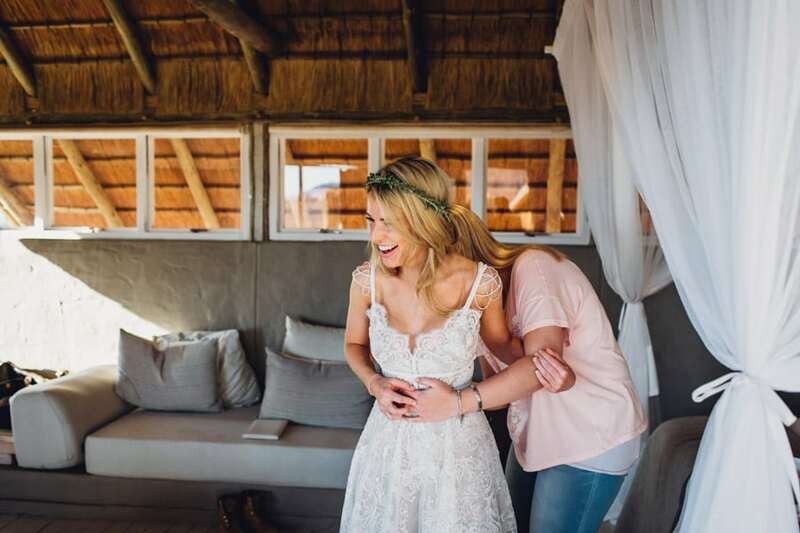 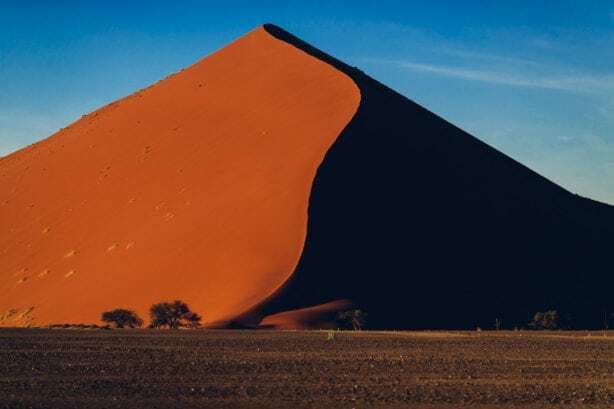 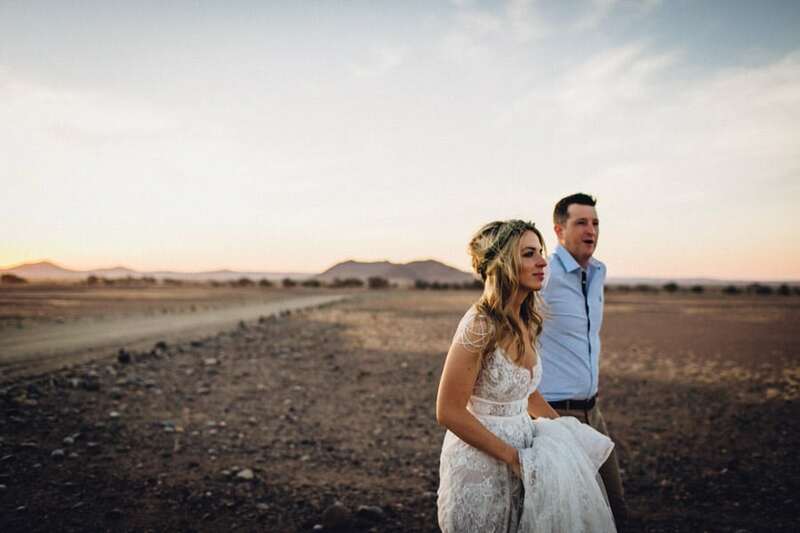 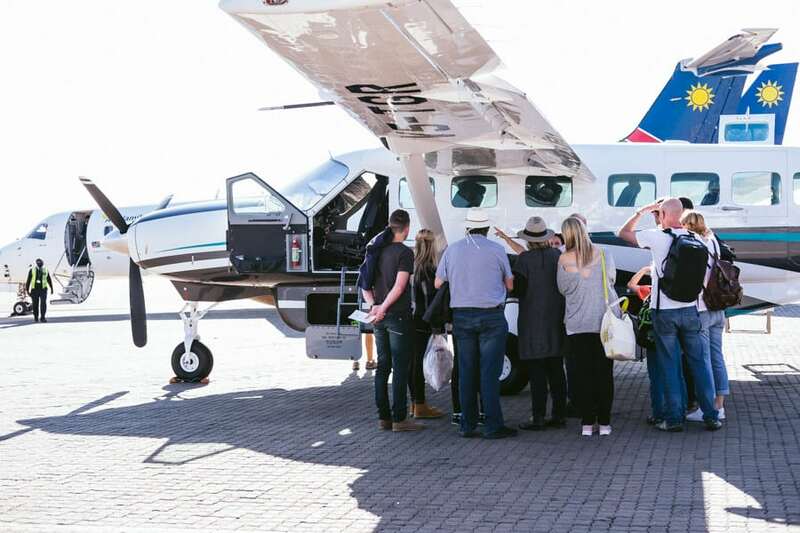 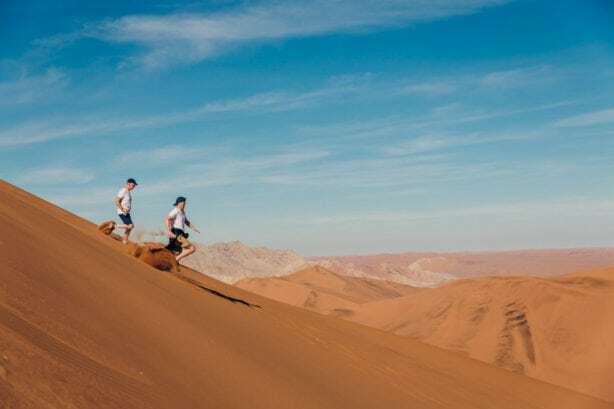 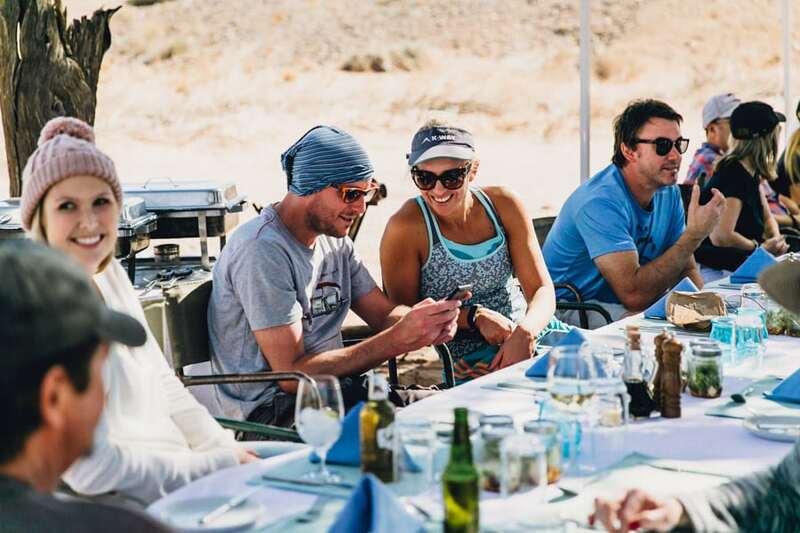 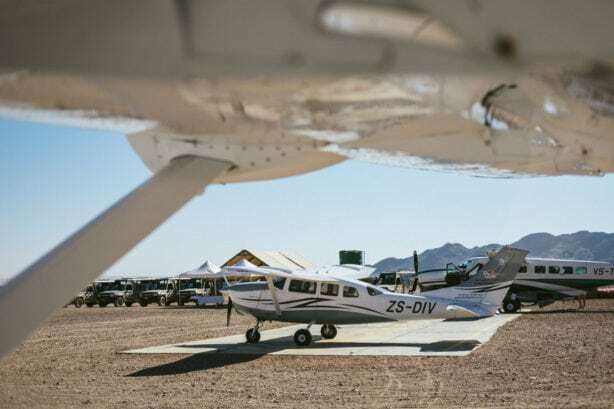 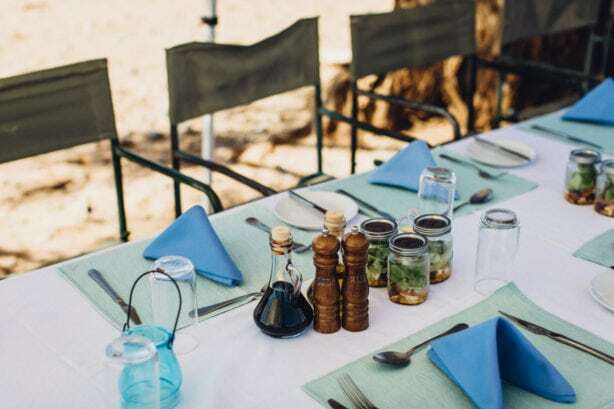 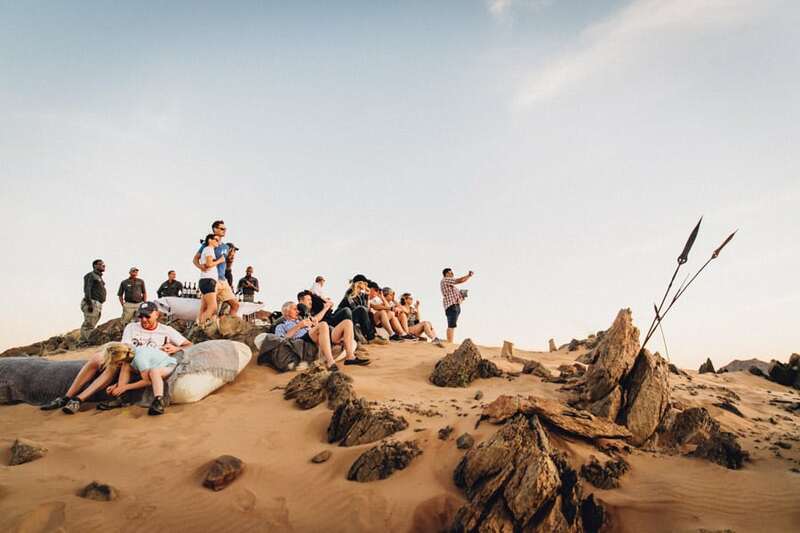 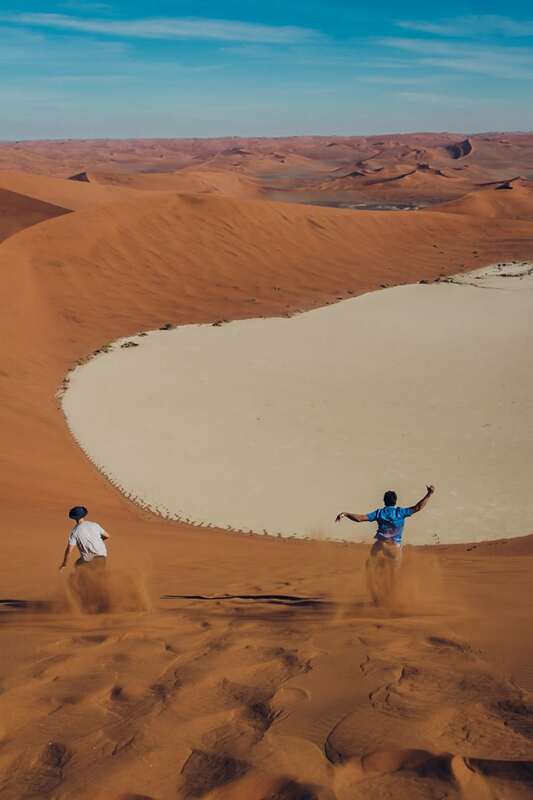 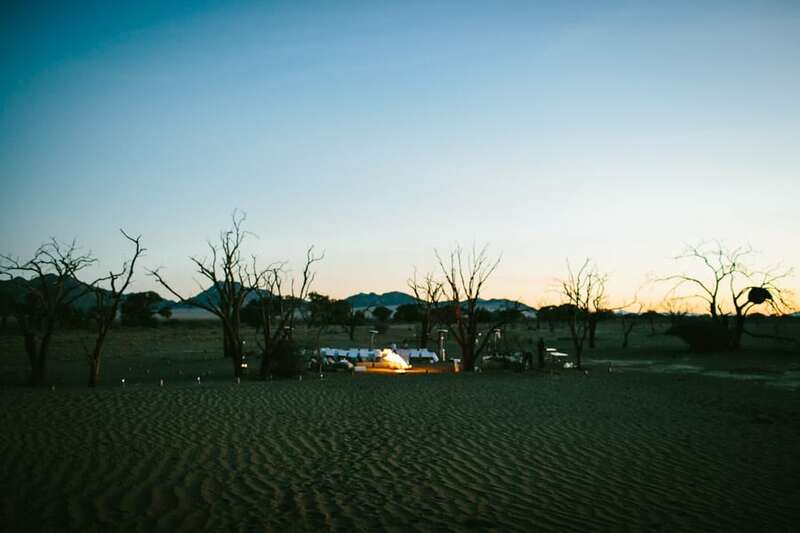 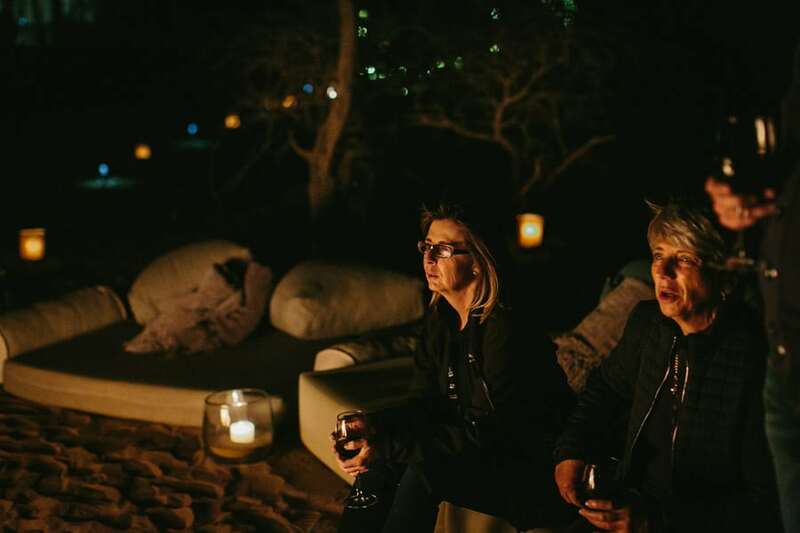 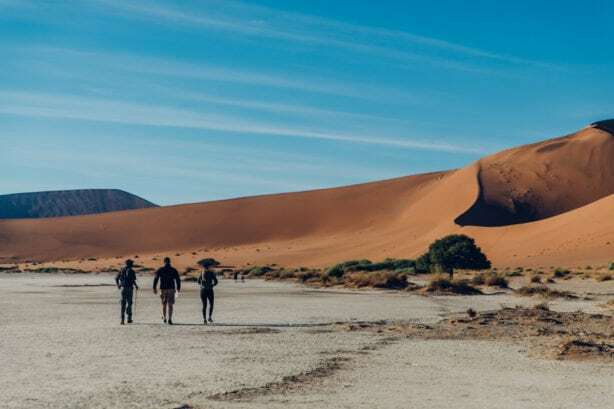 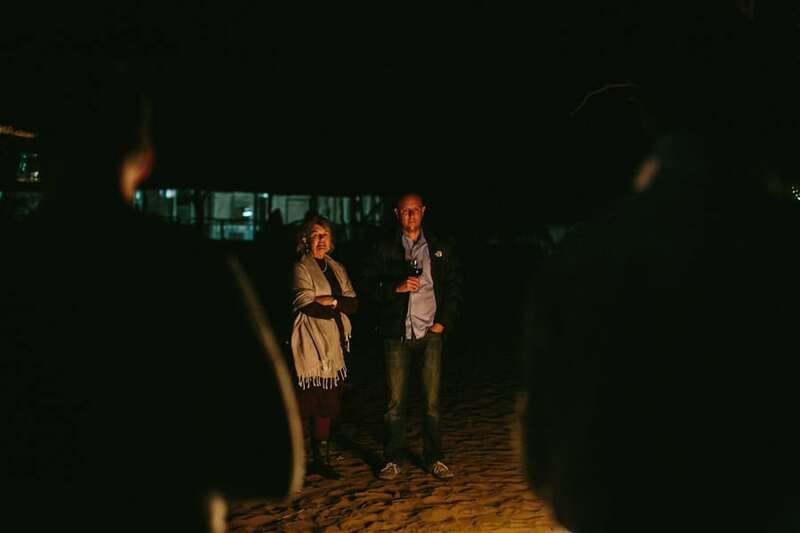 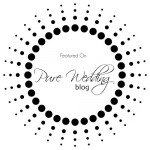 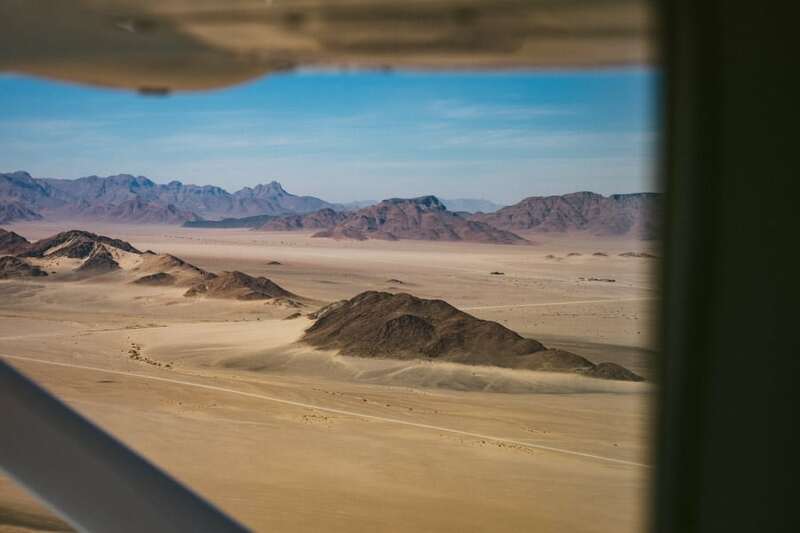 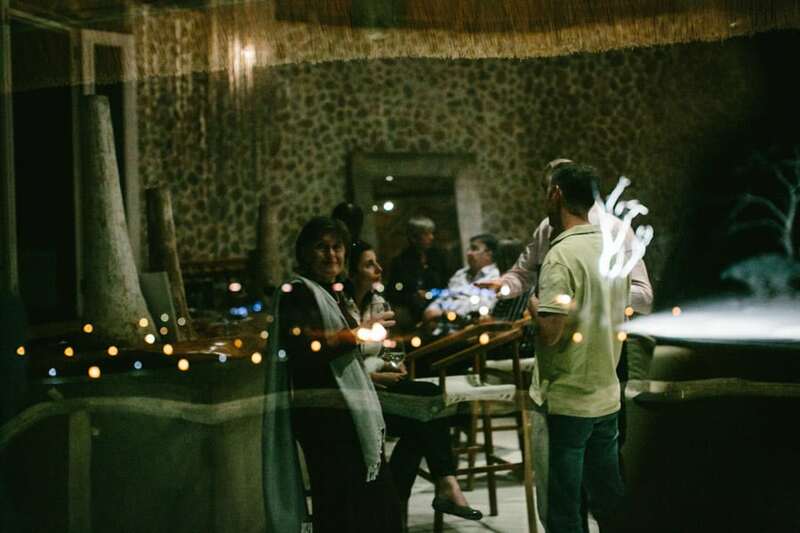 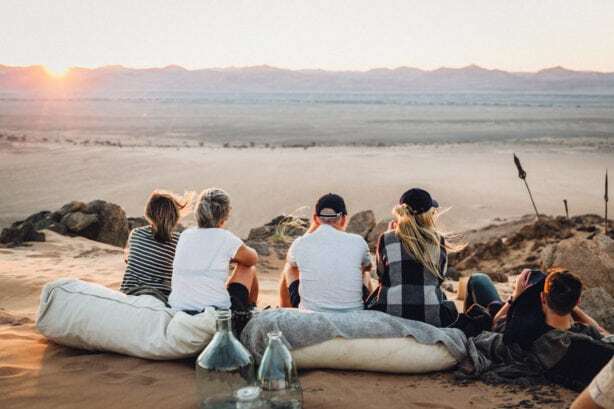 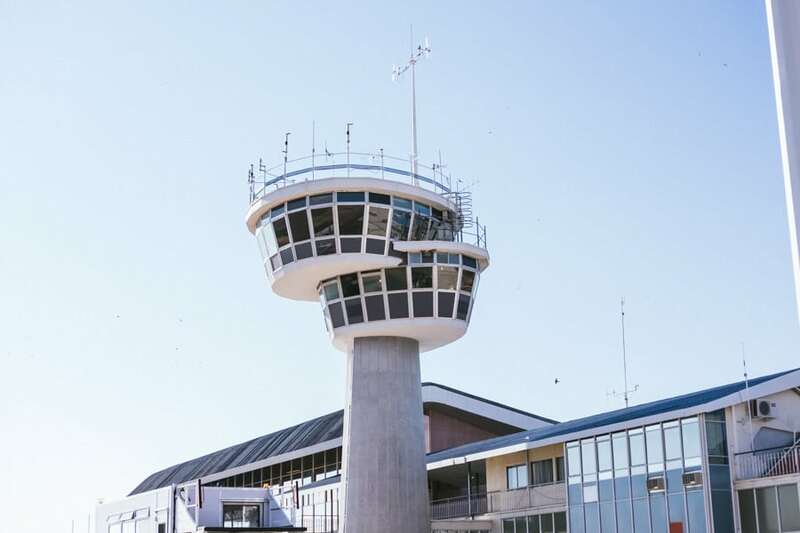 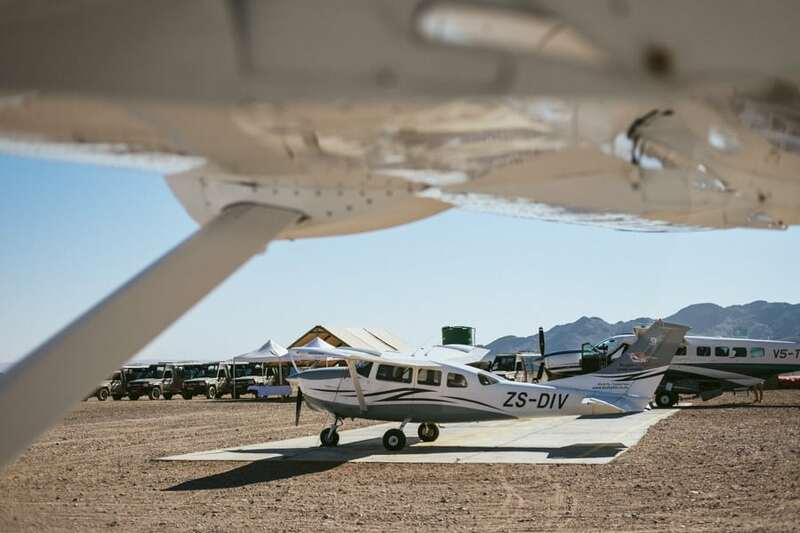 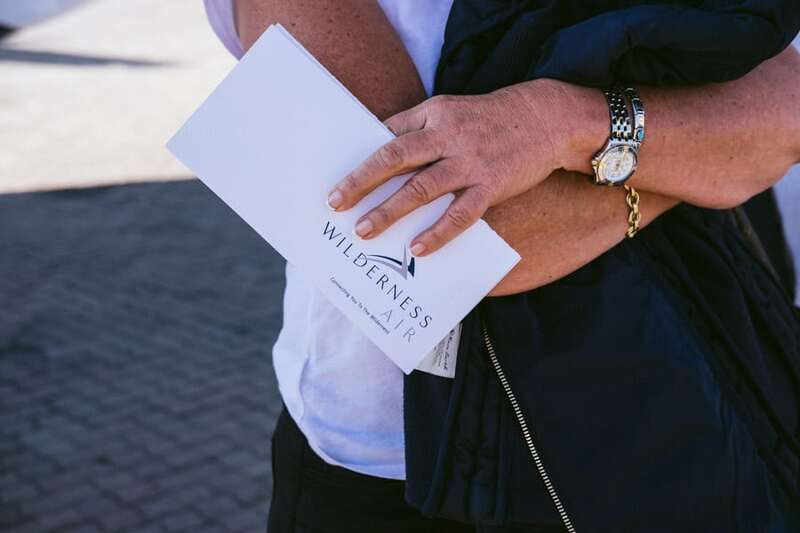 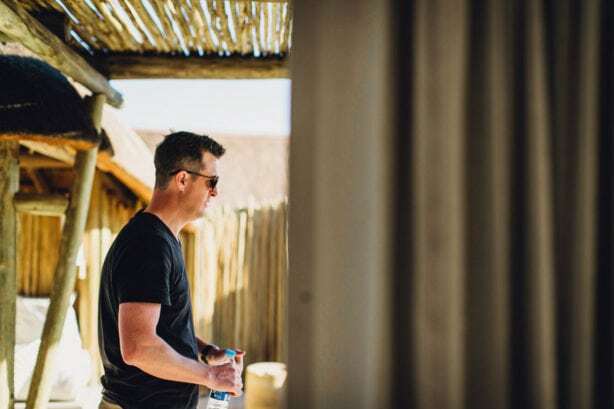 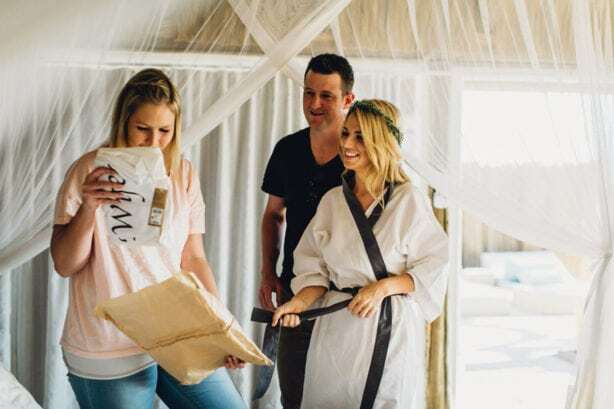 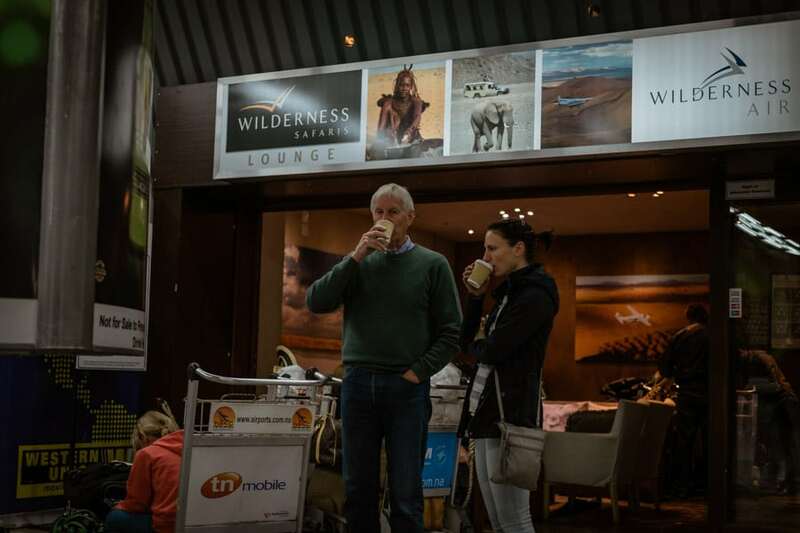 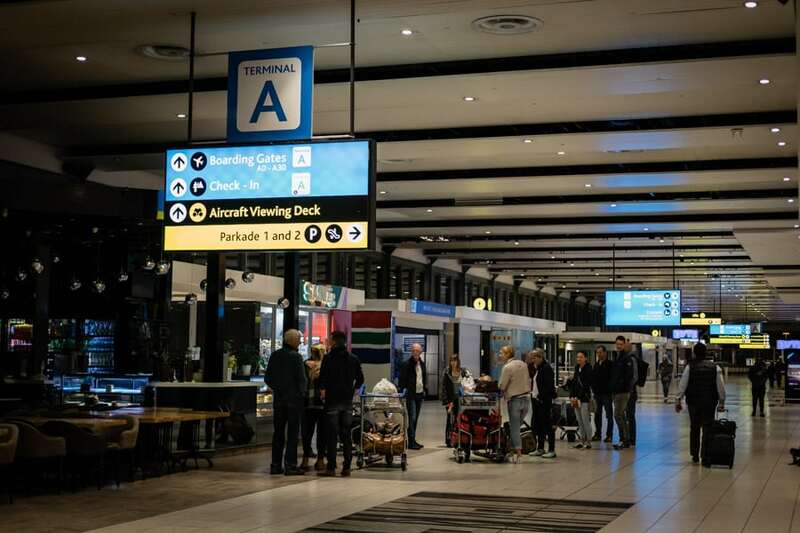 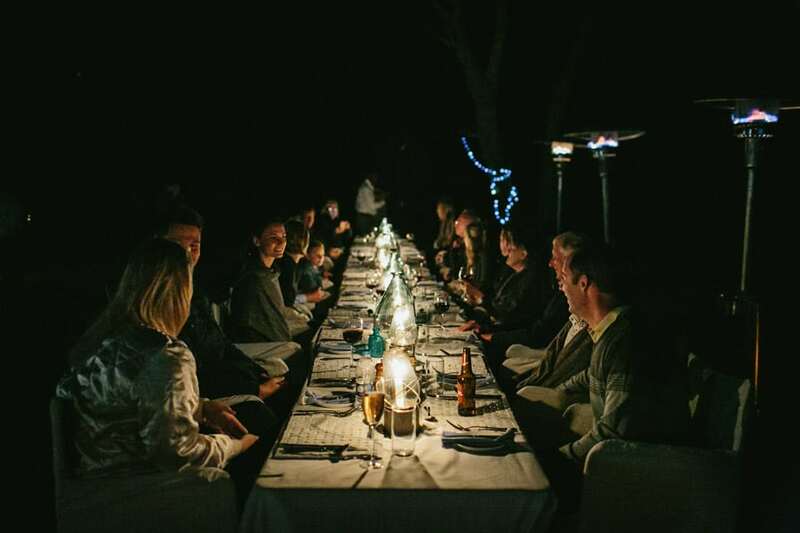 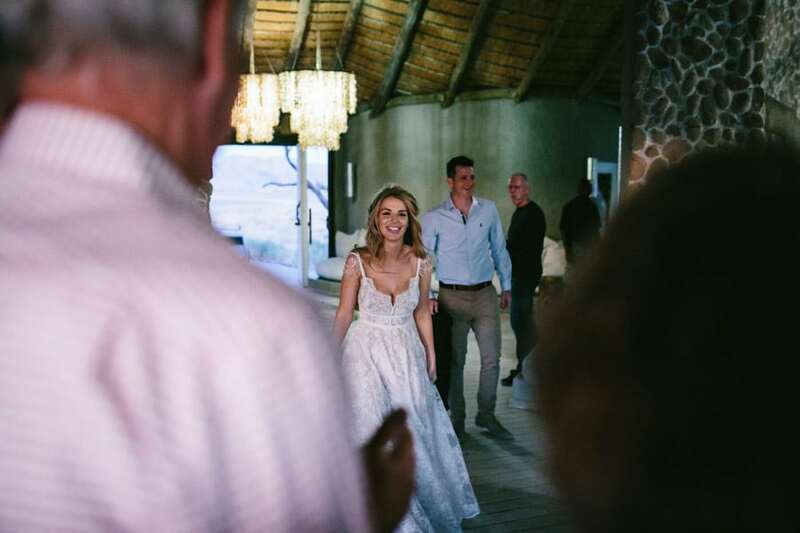 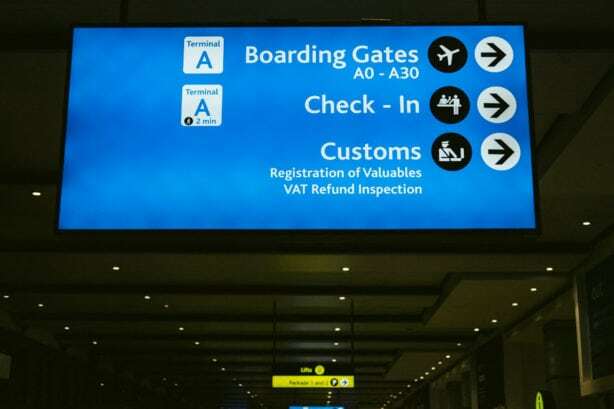 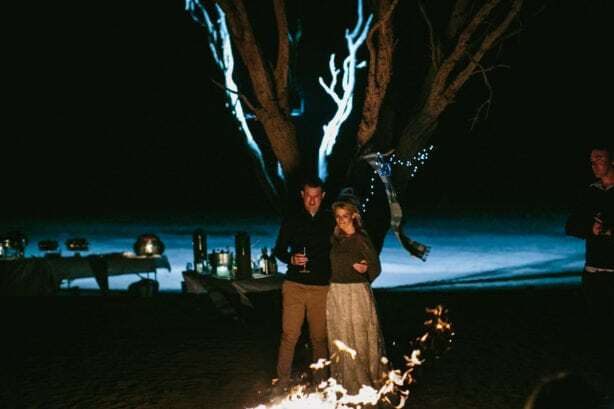 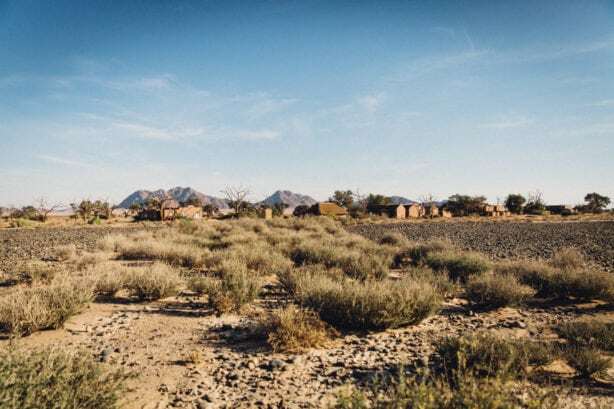 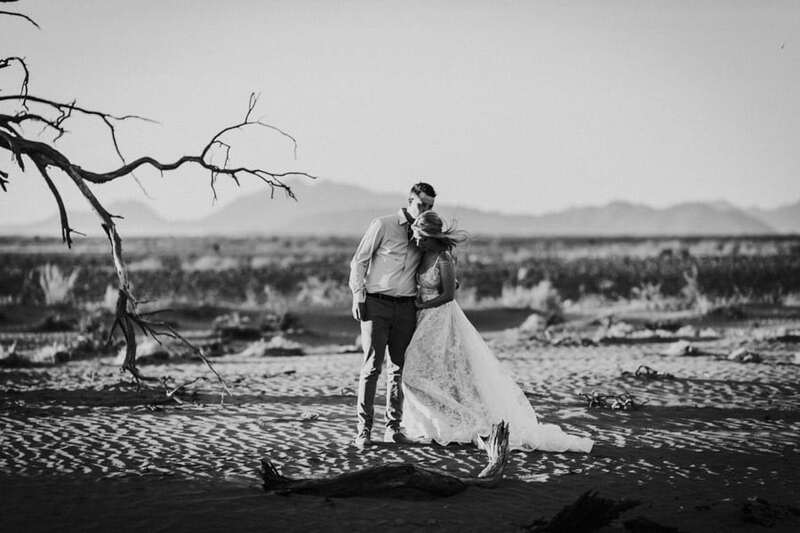 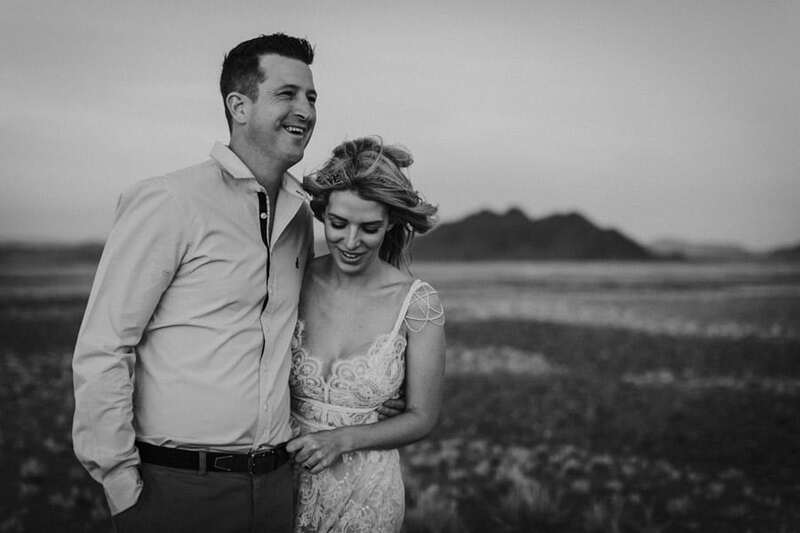 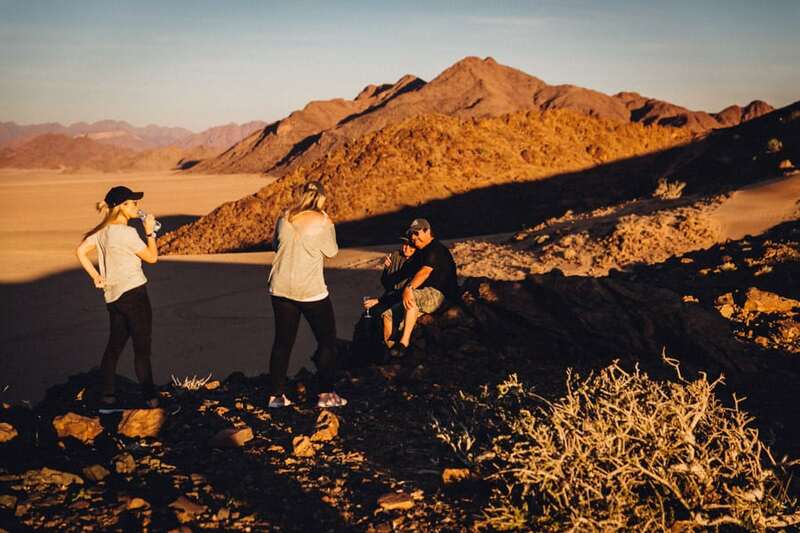 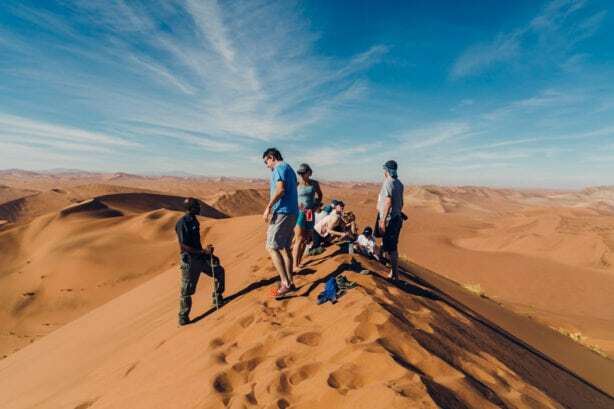 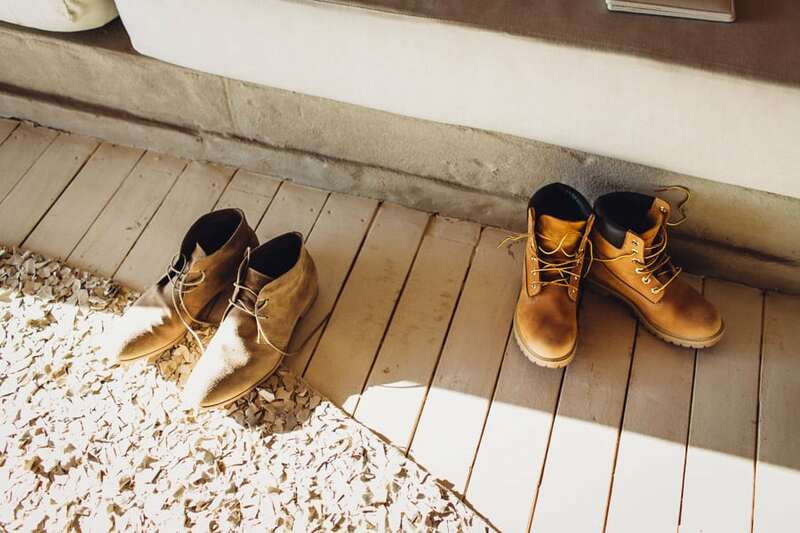 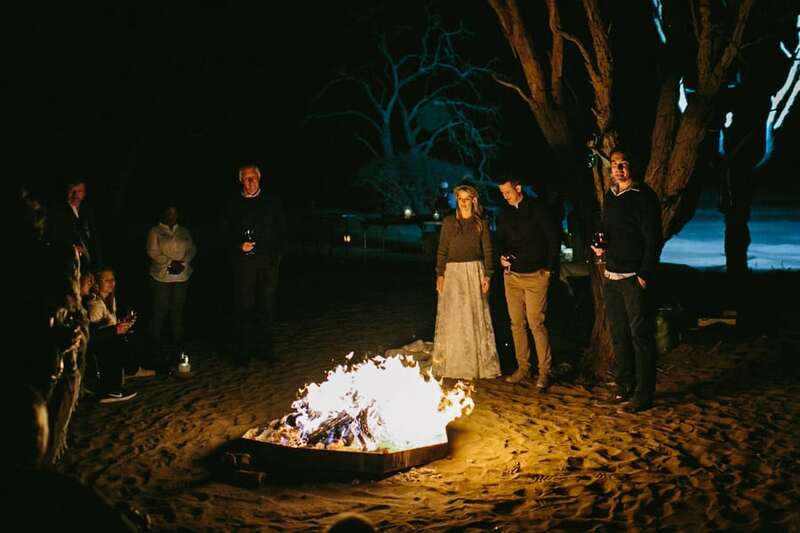 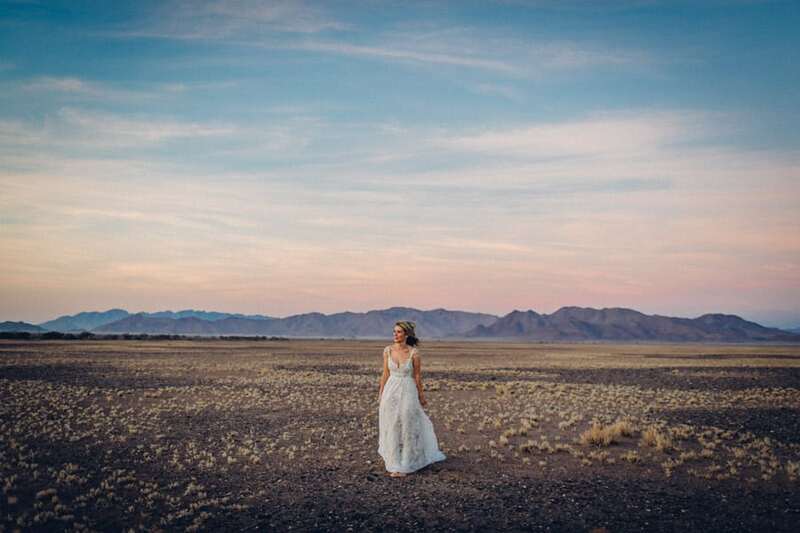 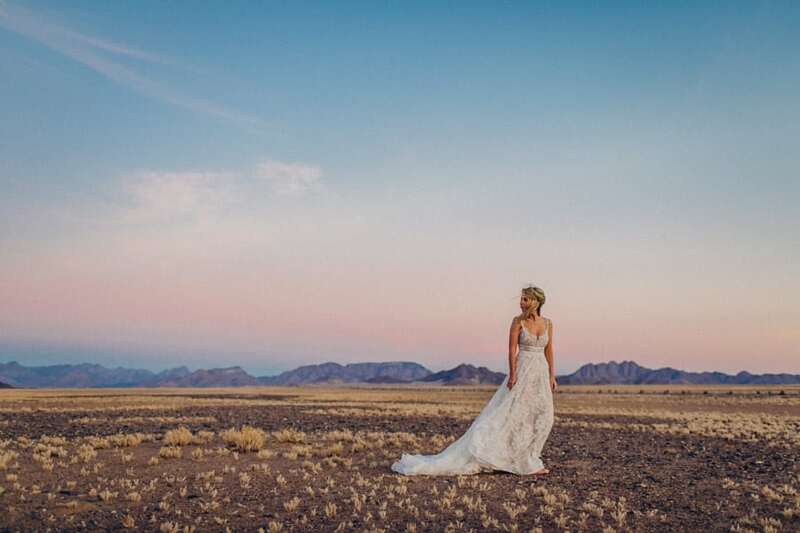 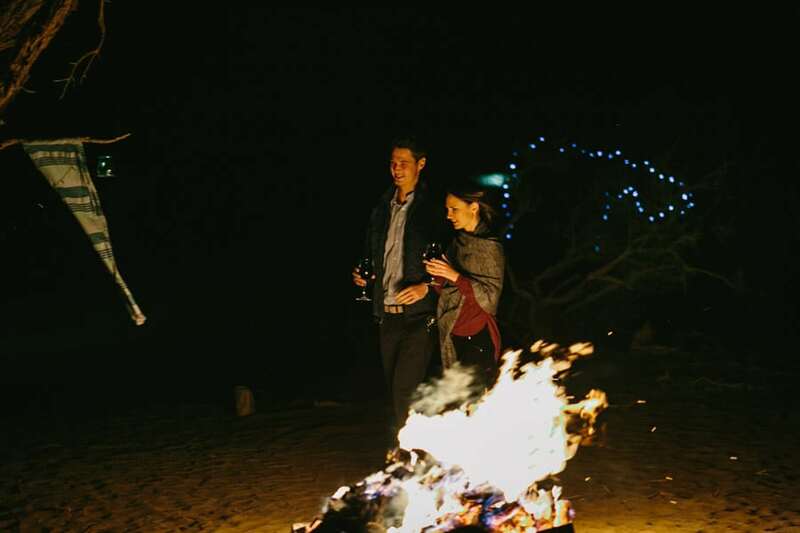 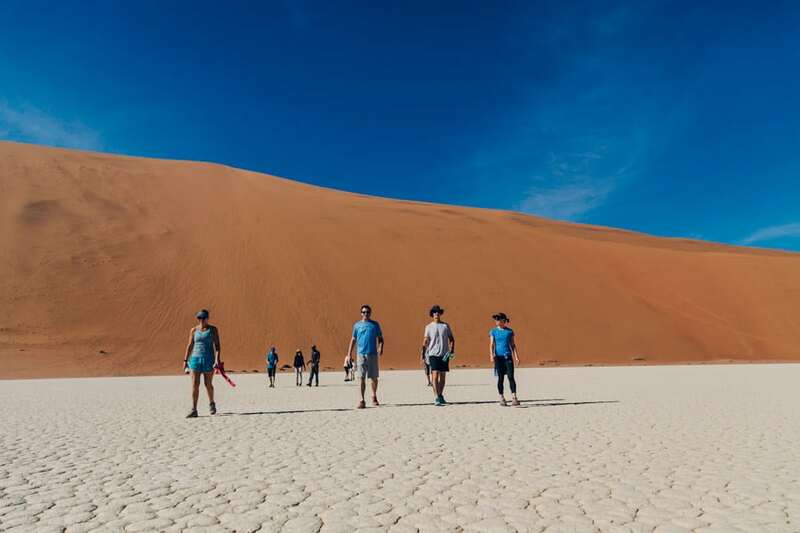 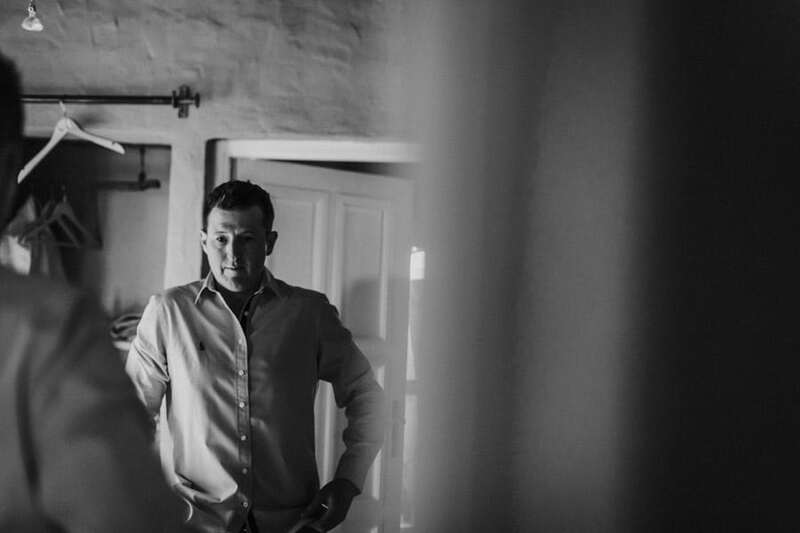 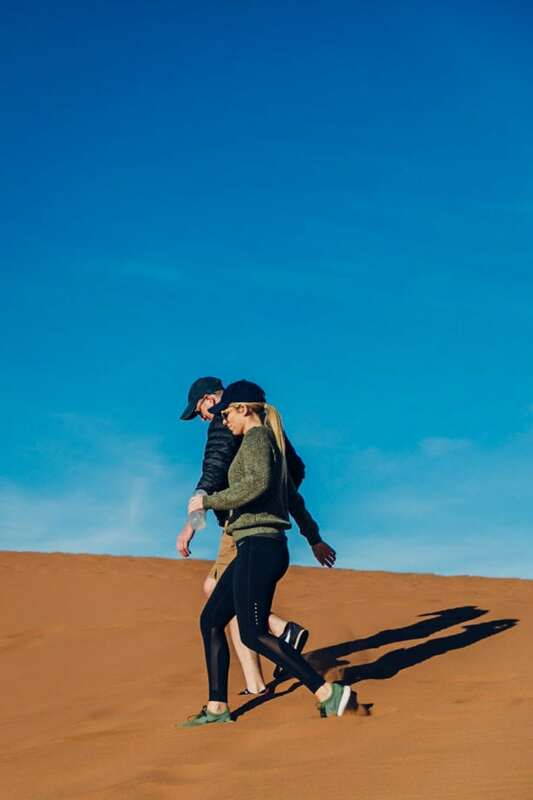 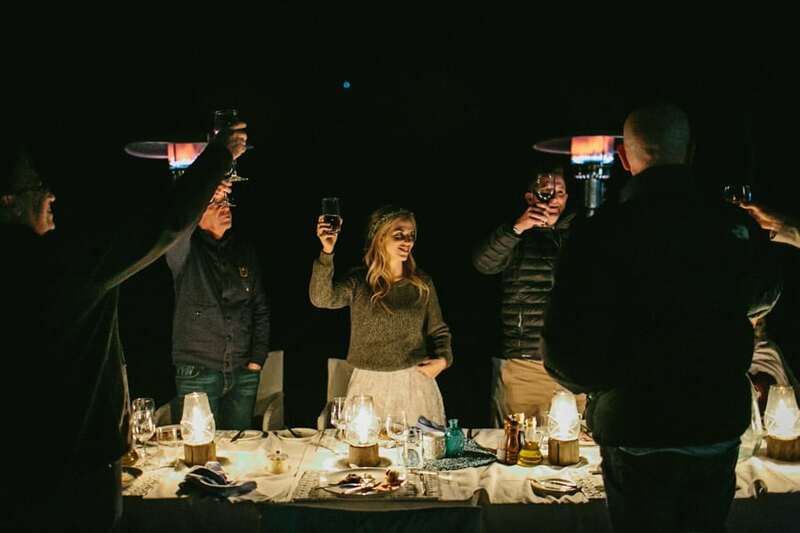 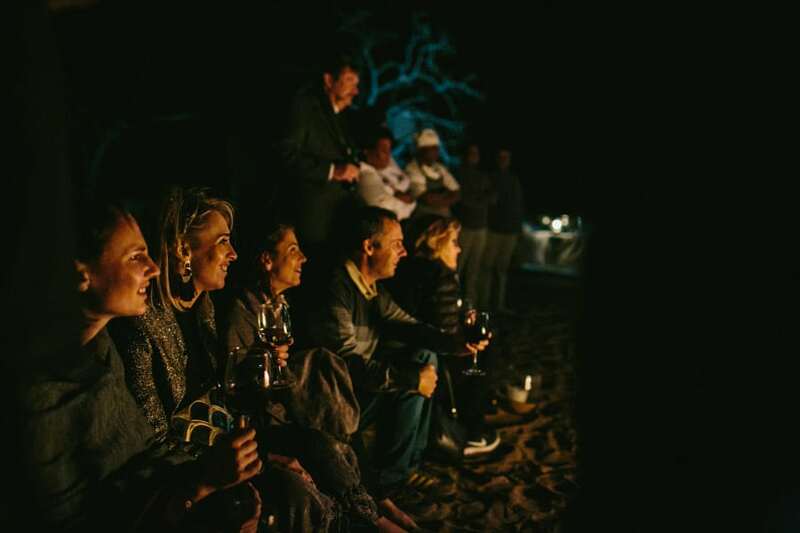 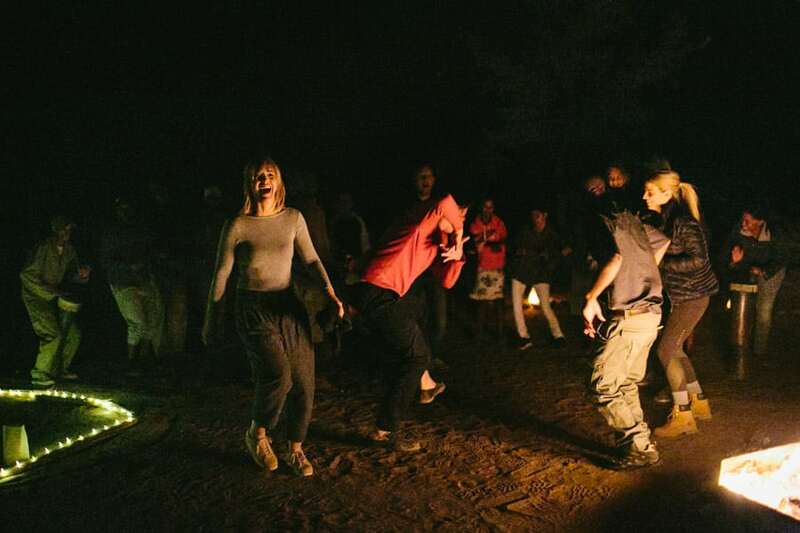 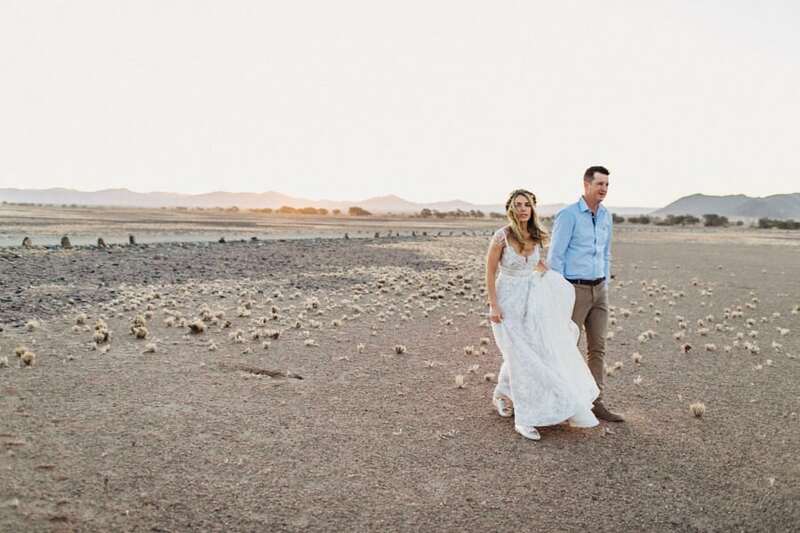 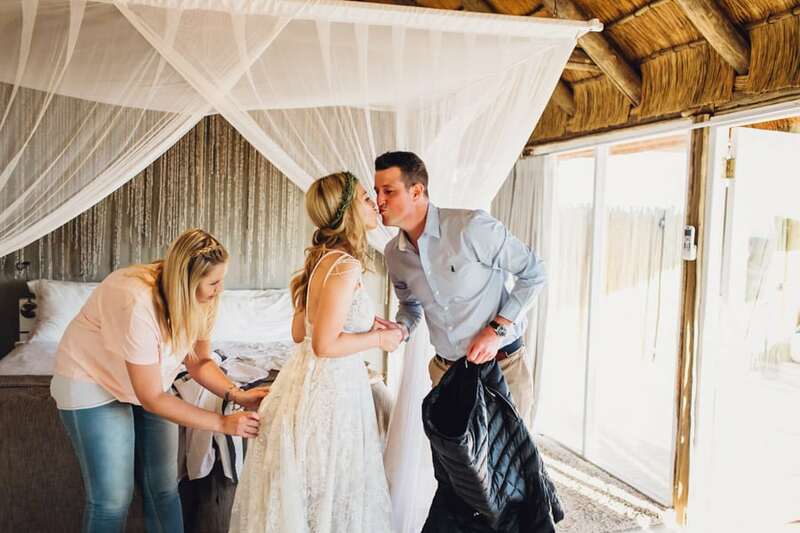 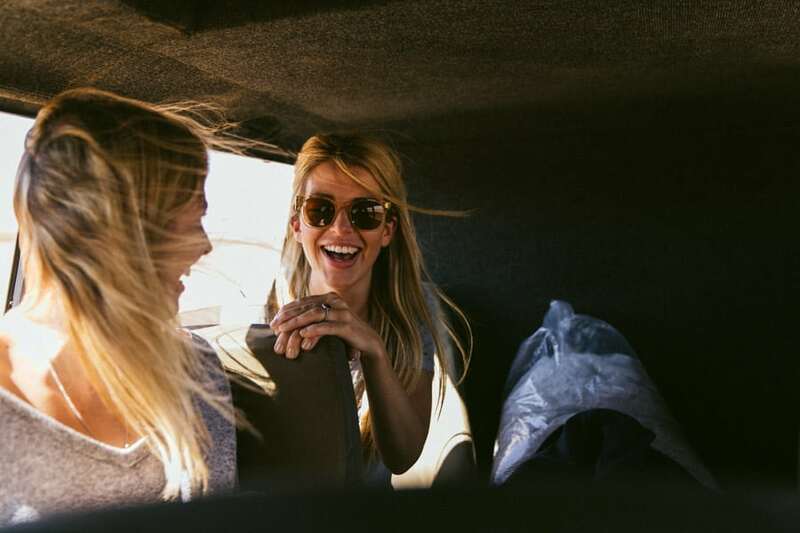 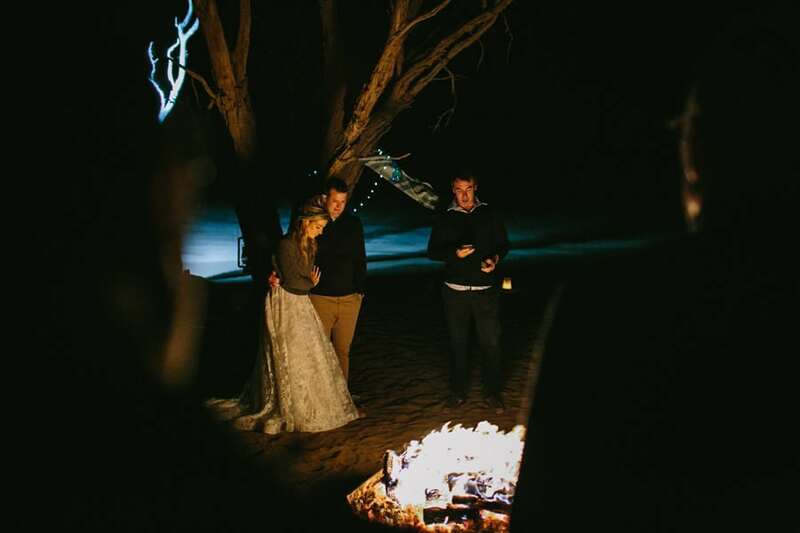 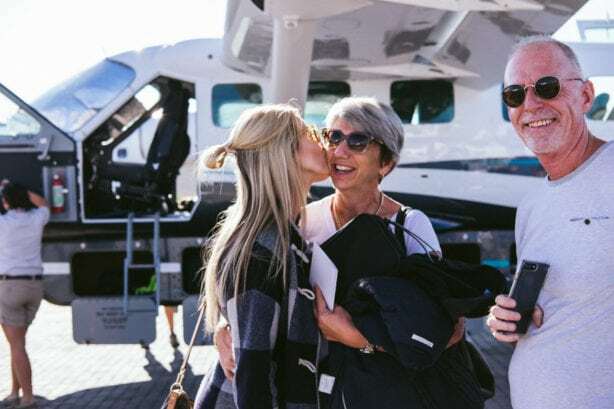 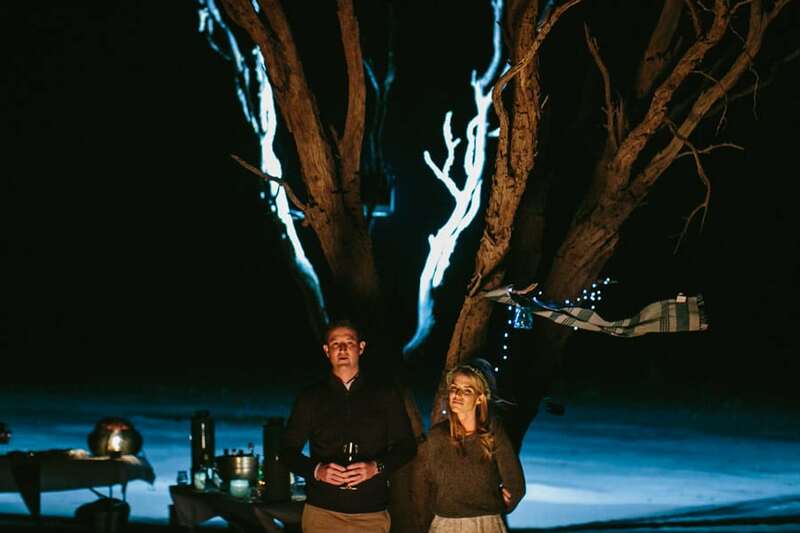 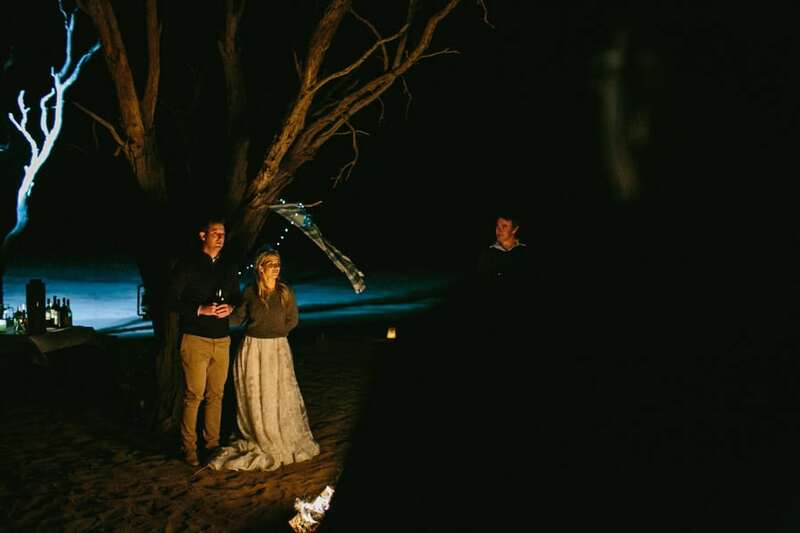 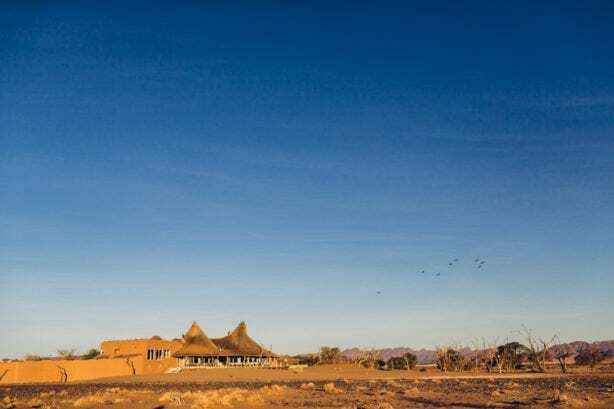 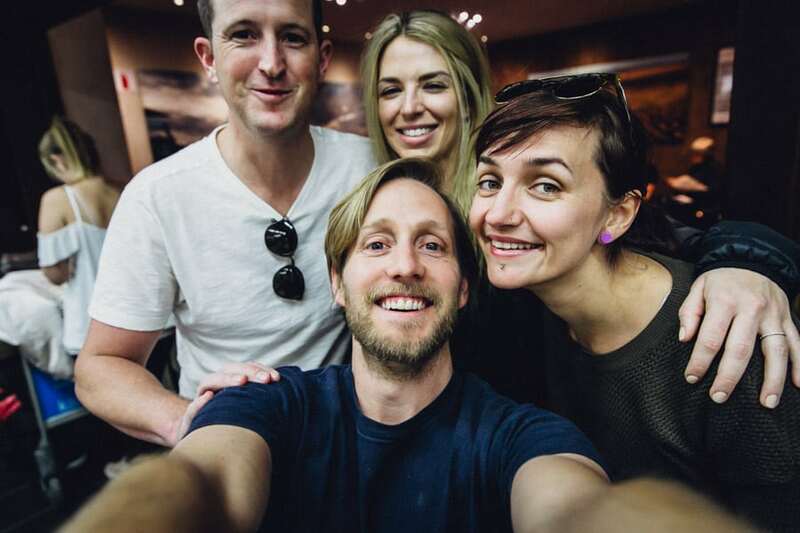 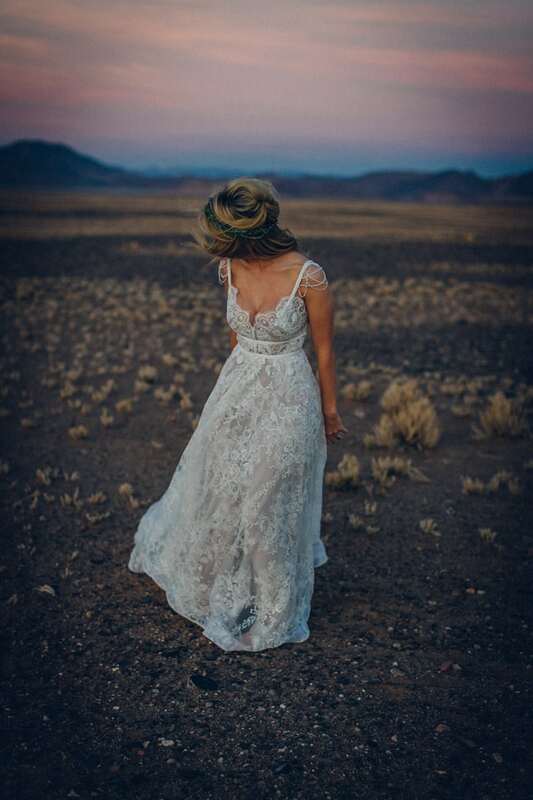 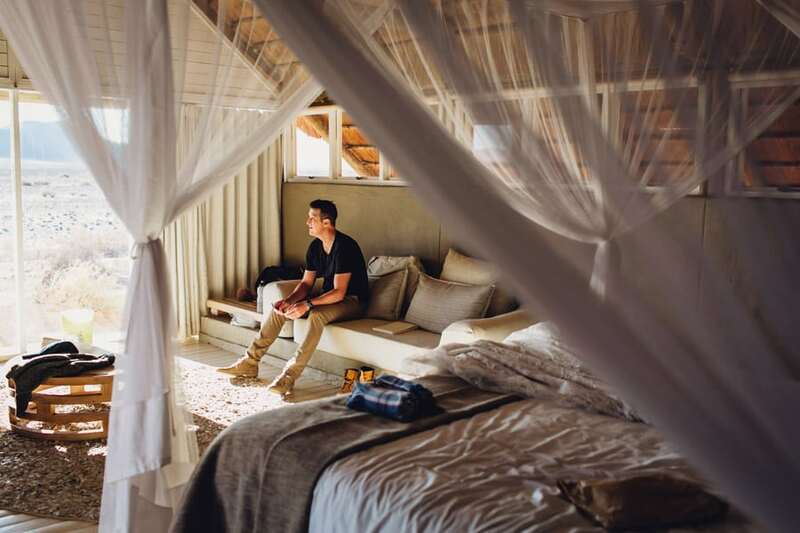 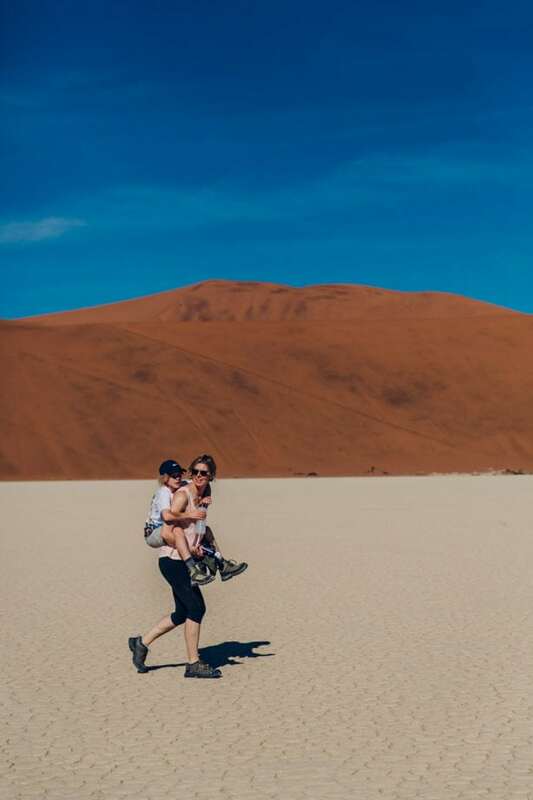 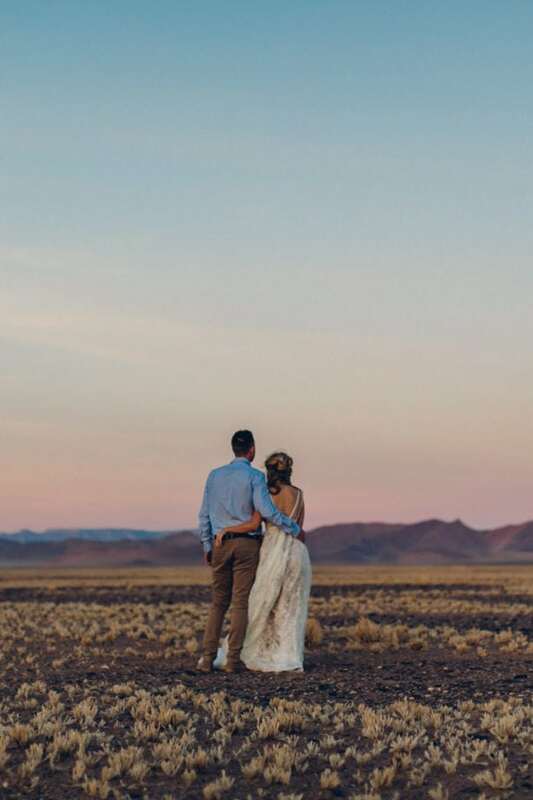 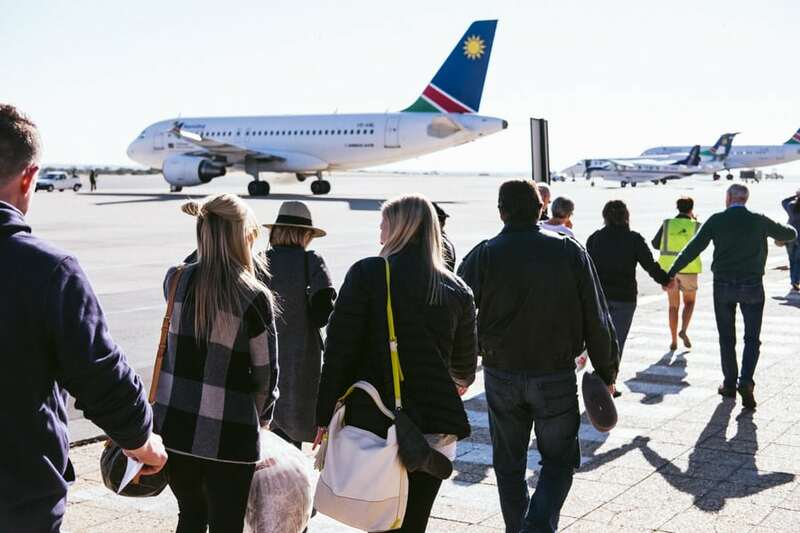 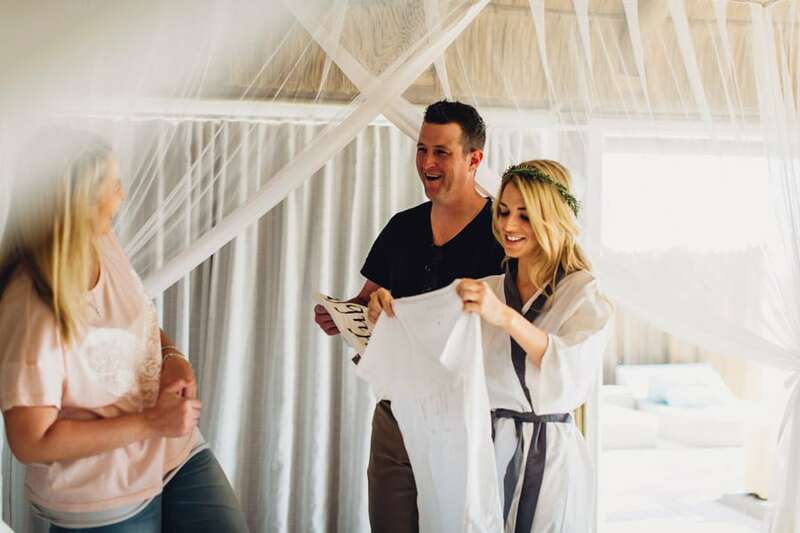 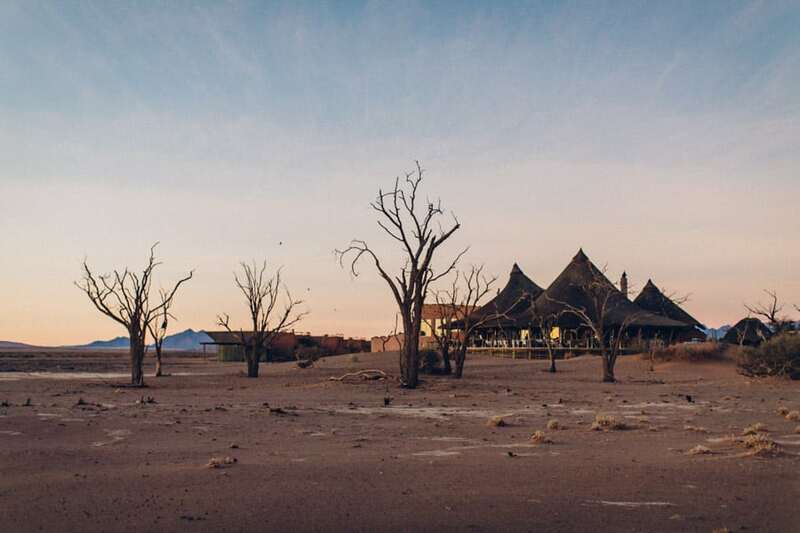 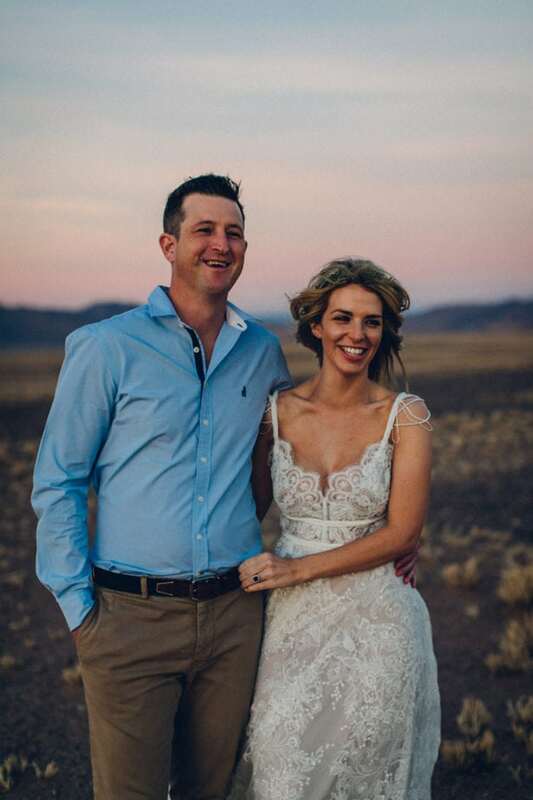 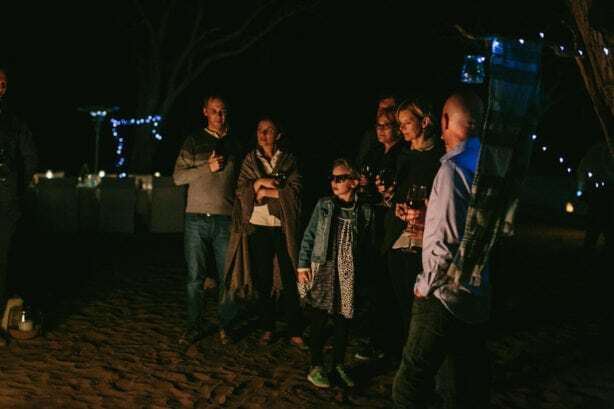 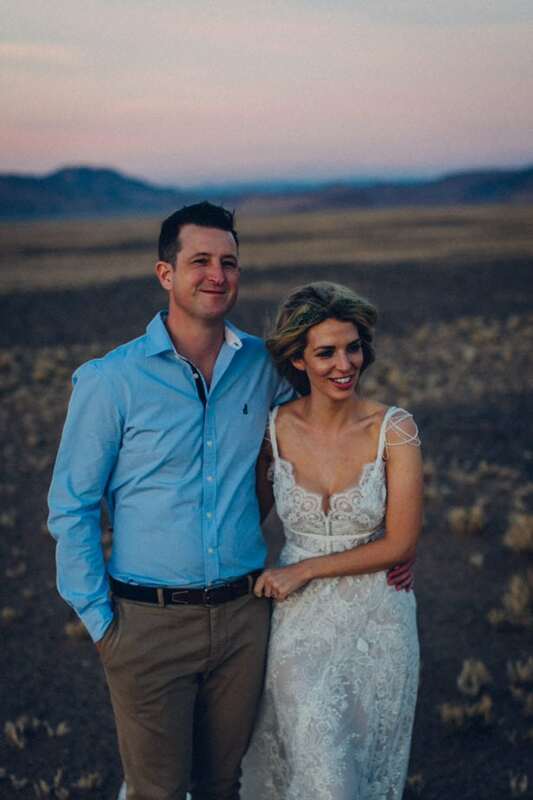 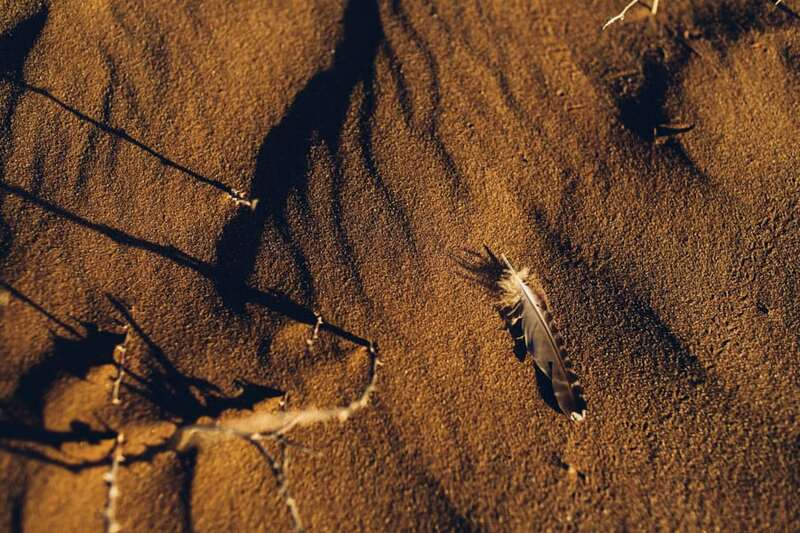 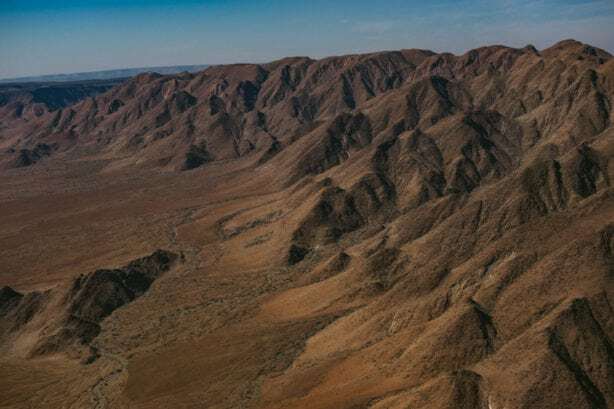 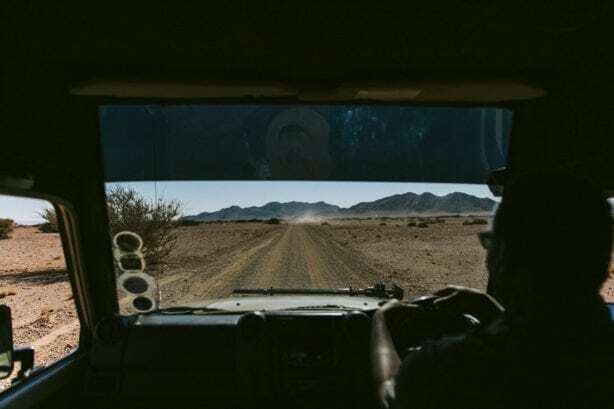 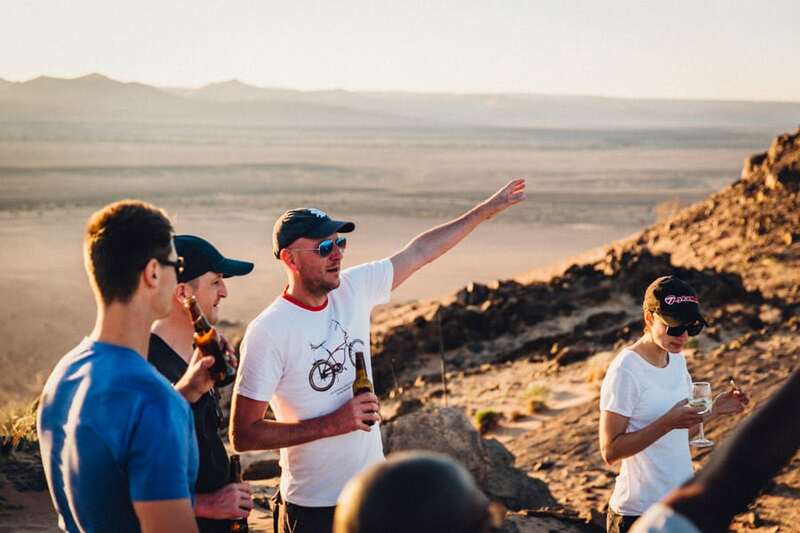 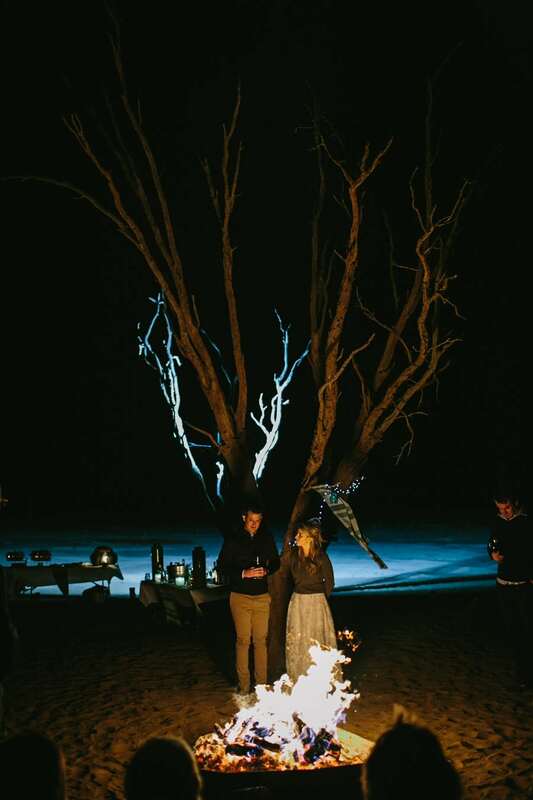 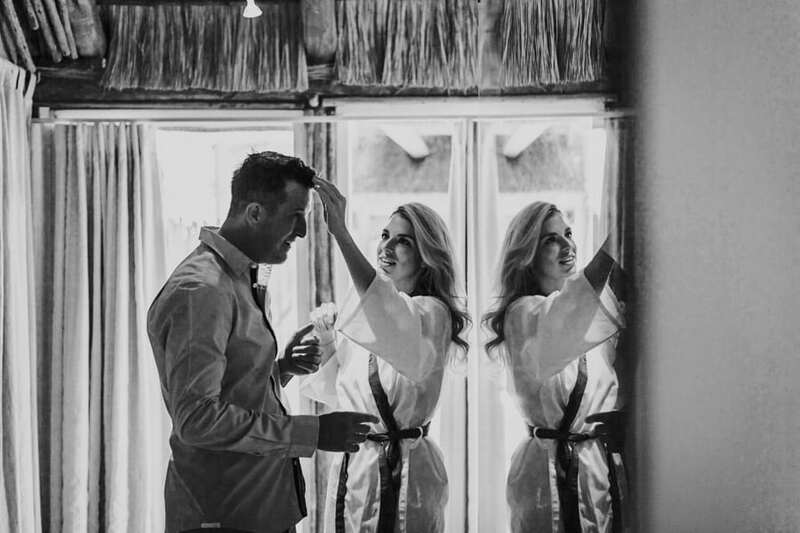 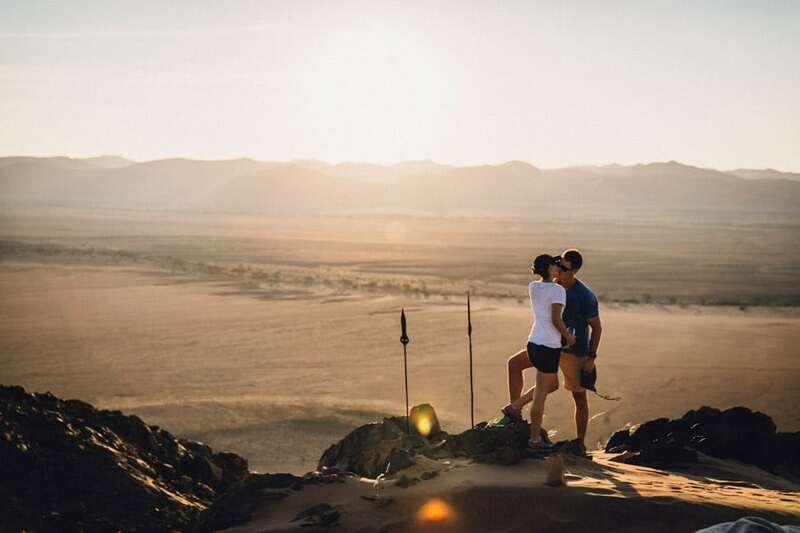 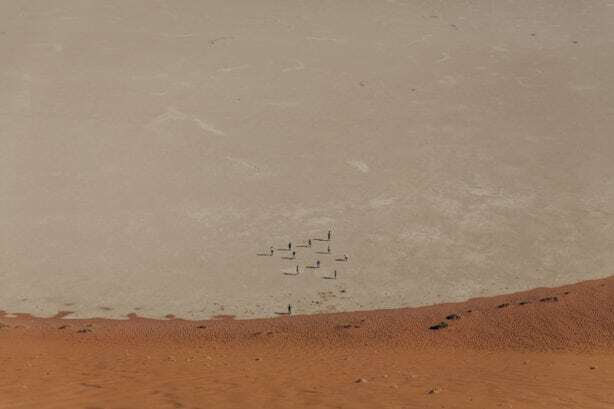 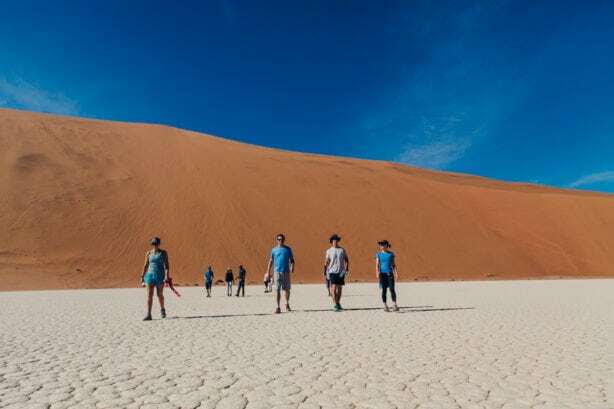 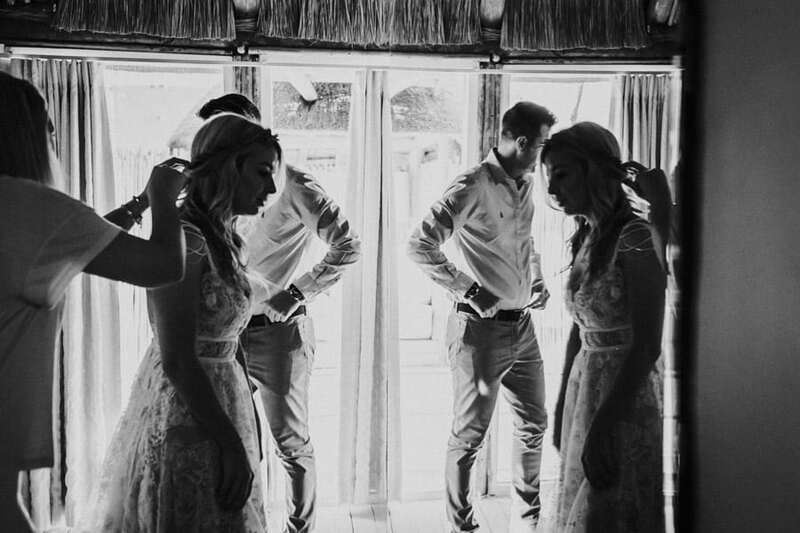 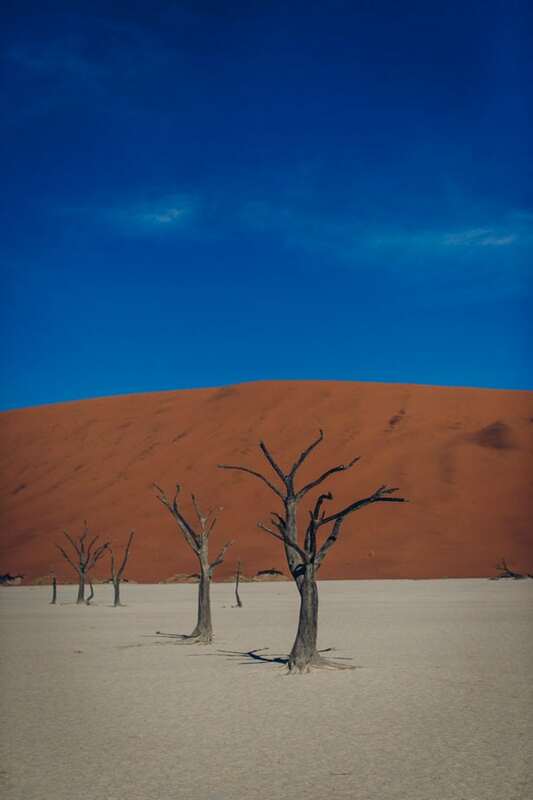 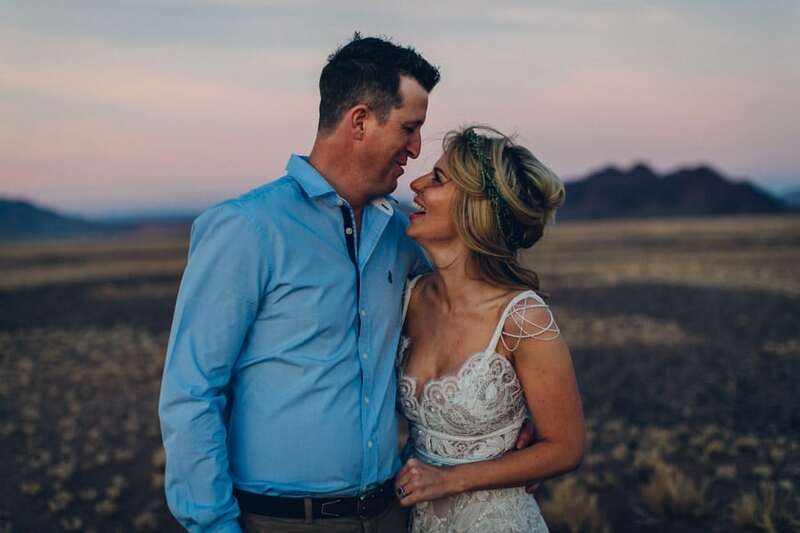 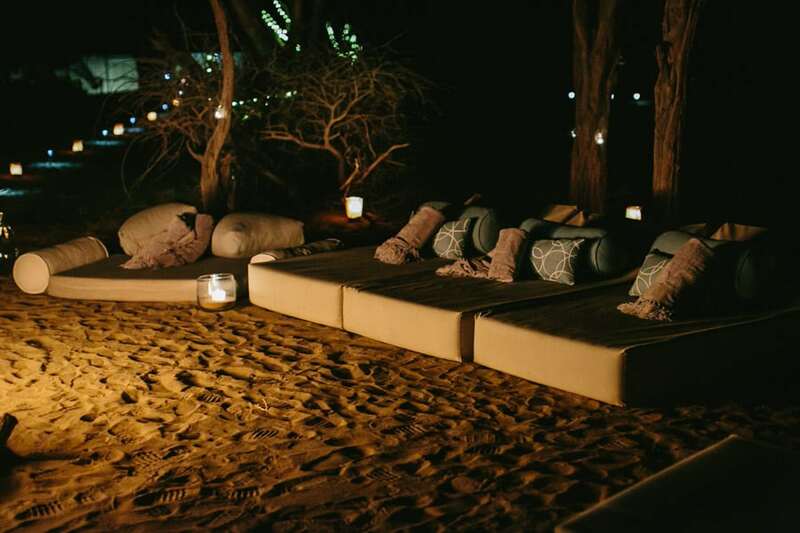 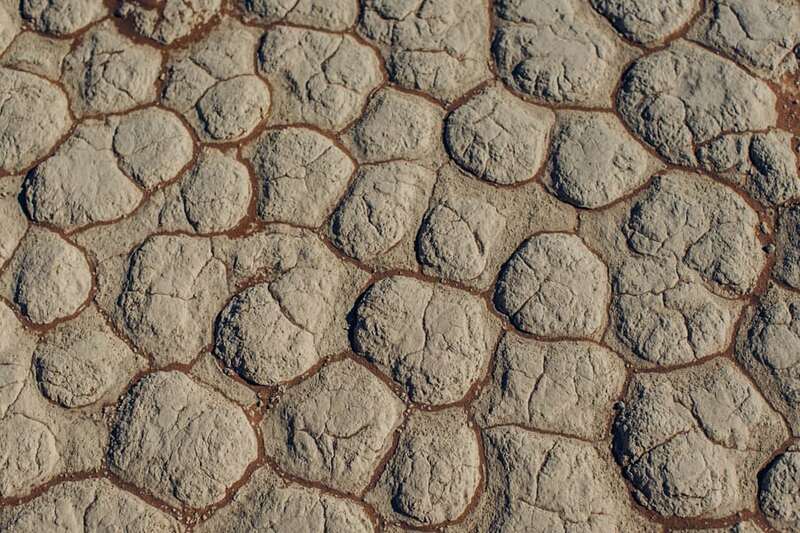 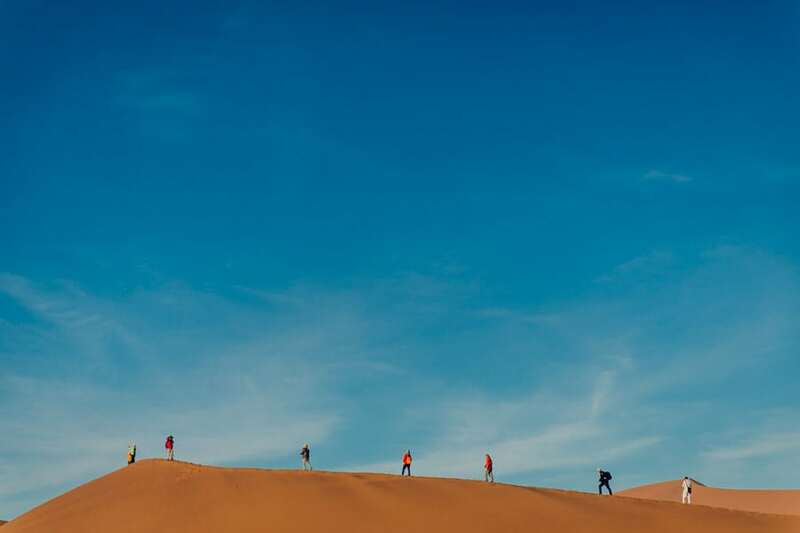 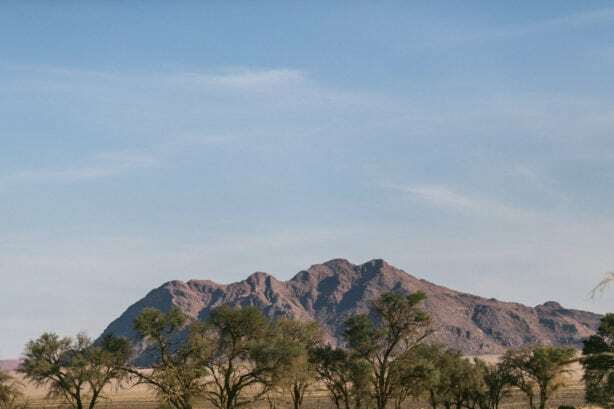 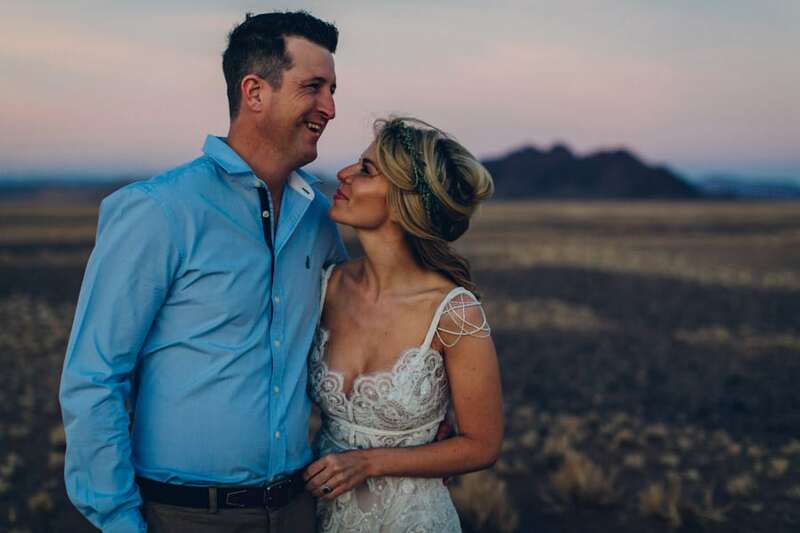 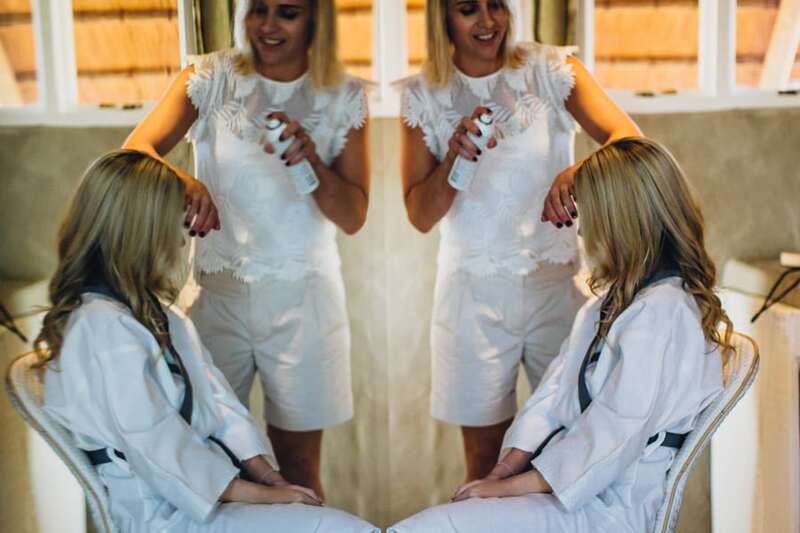 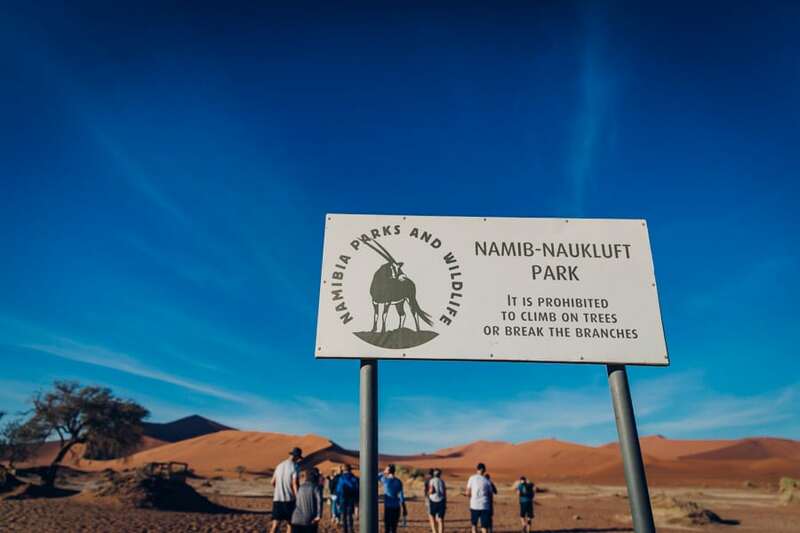 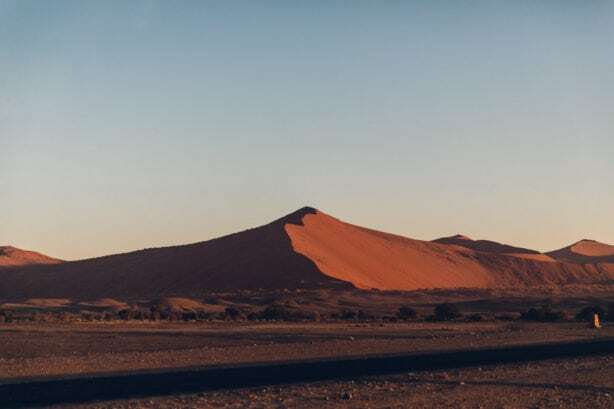 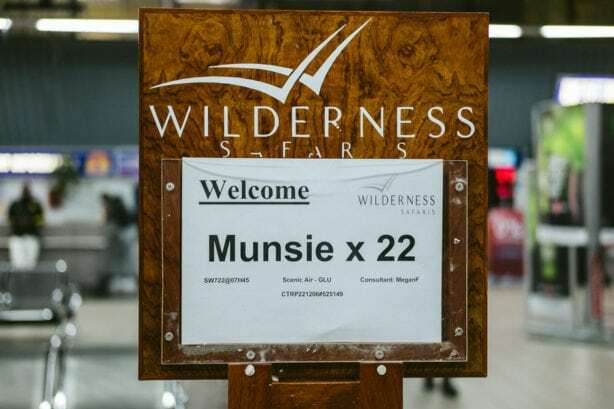 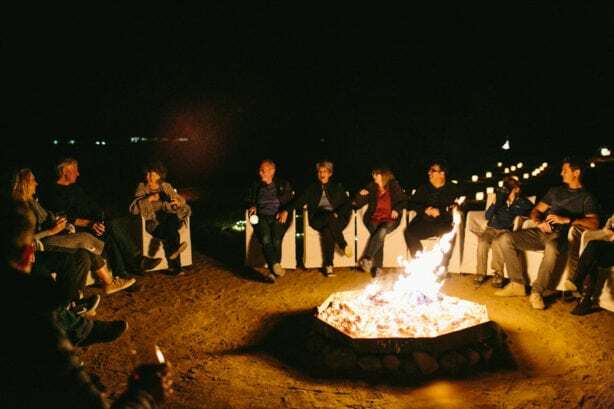 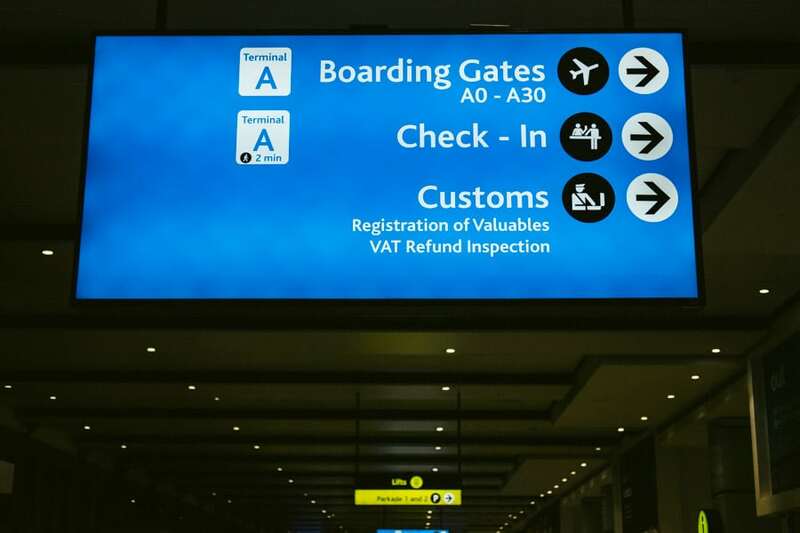 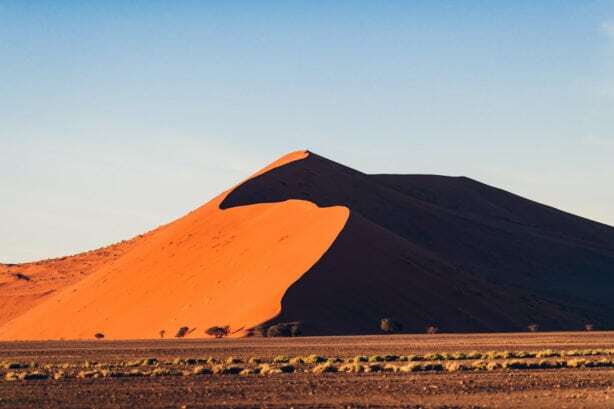 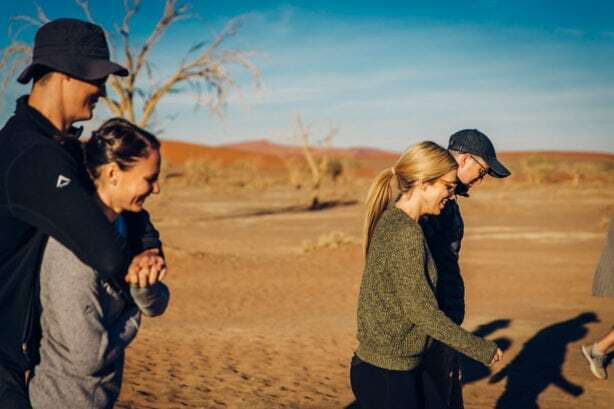 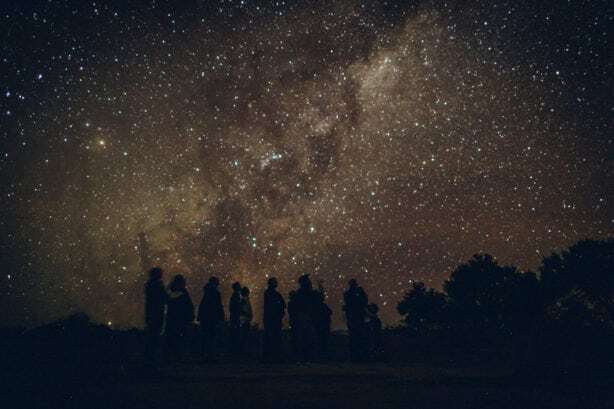 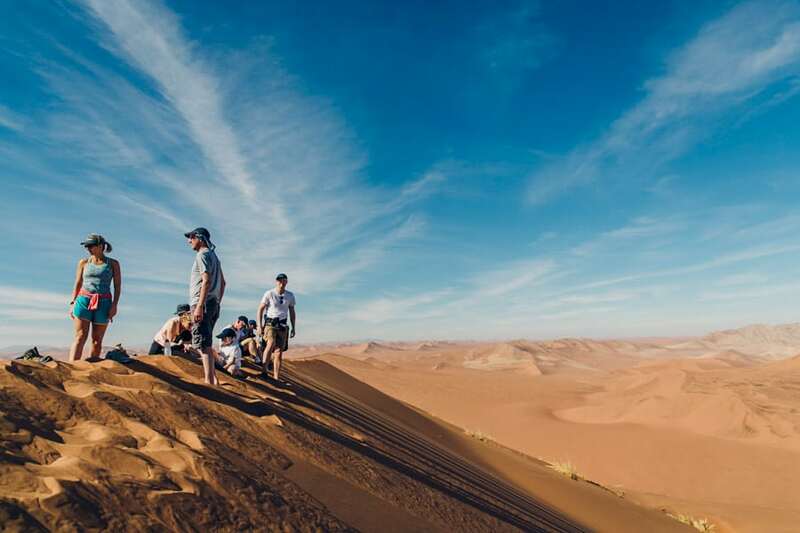 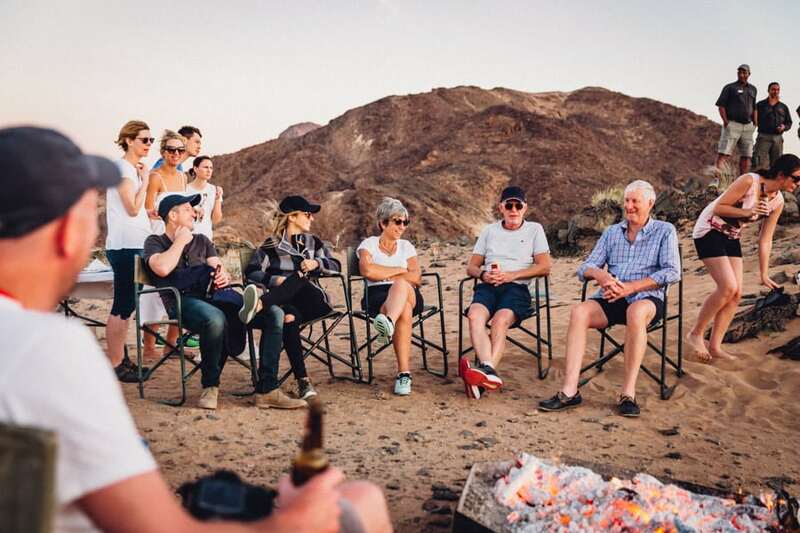 They took their 18 favourite people on a once in a lifetime adventure into the Namibian desert which involved 4am flights, chartered planes and Land Cruisers deep into the heart of the Sossusvlei desert to Little Kulala. 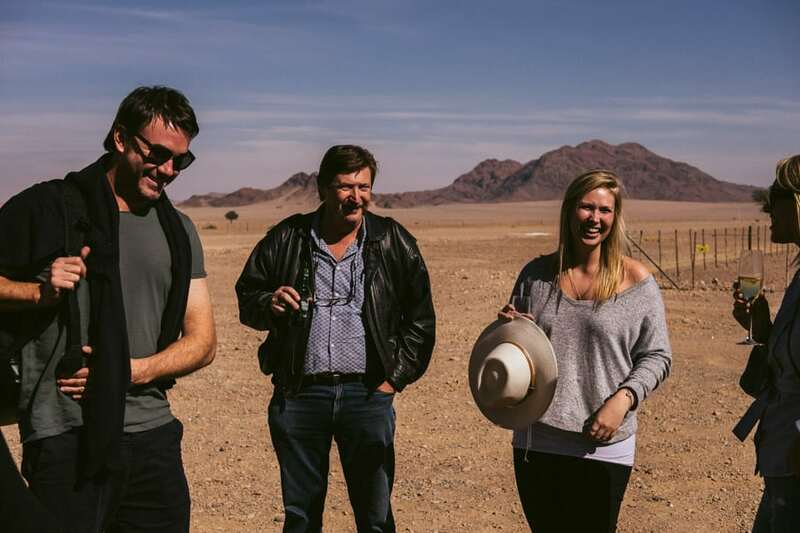 For 3 days we got to follow them around and document this adventure. 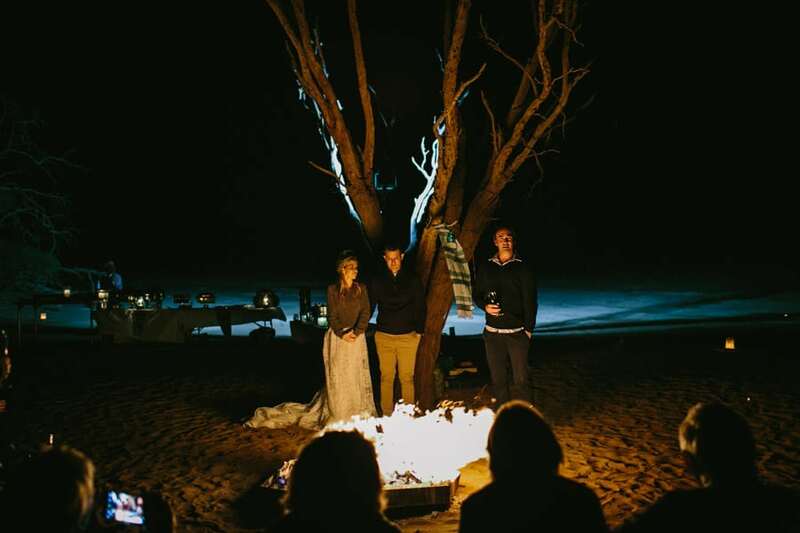 All they wanted from us was no posey stuff, just all the real moments for them to remember. 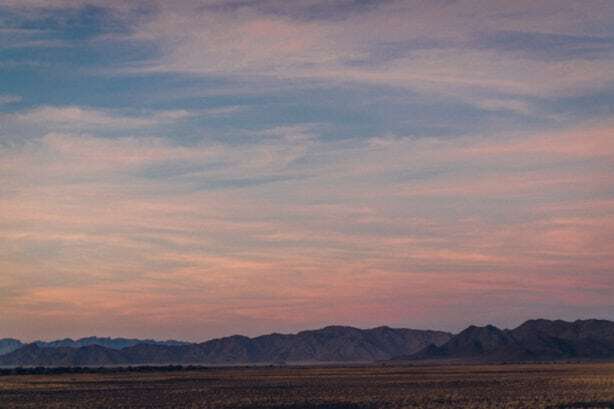 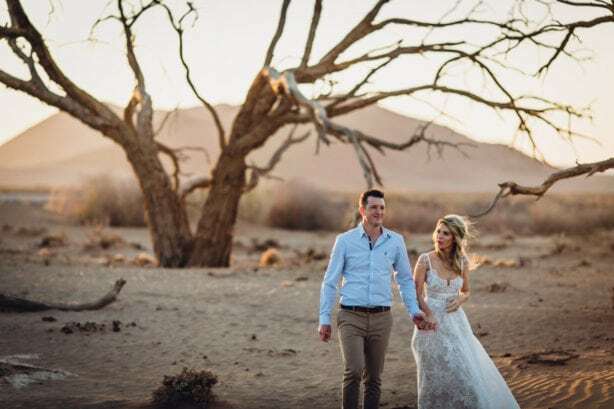 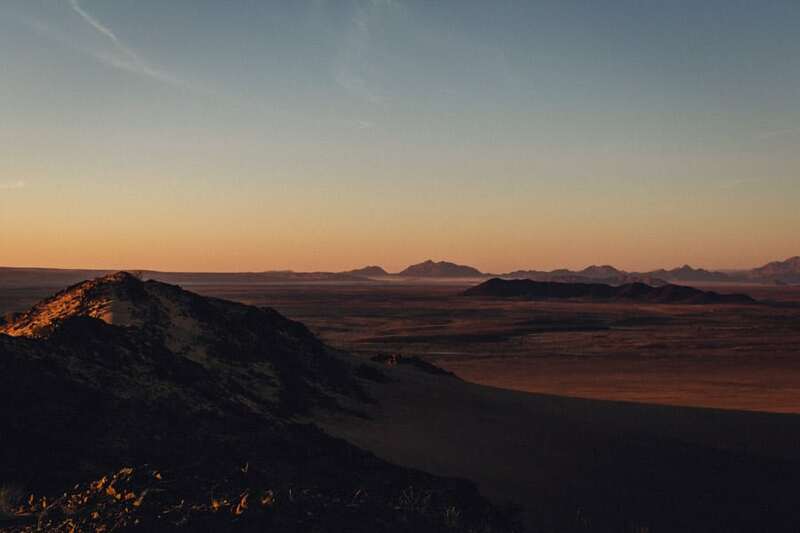 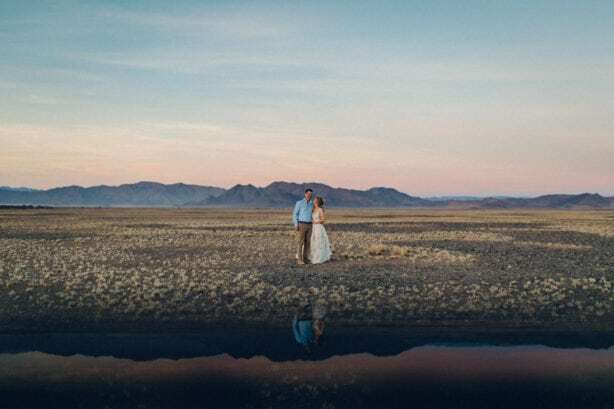 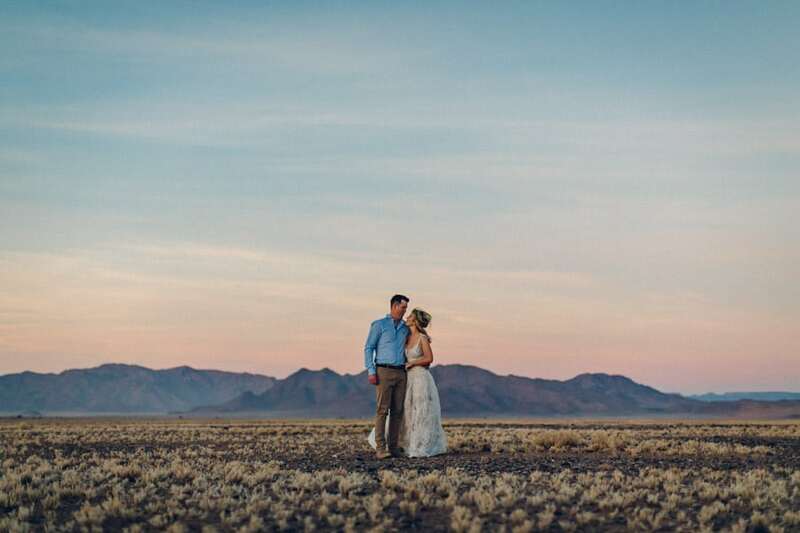 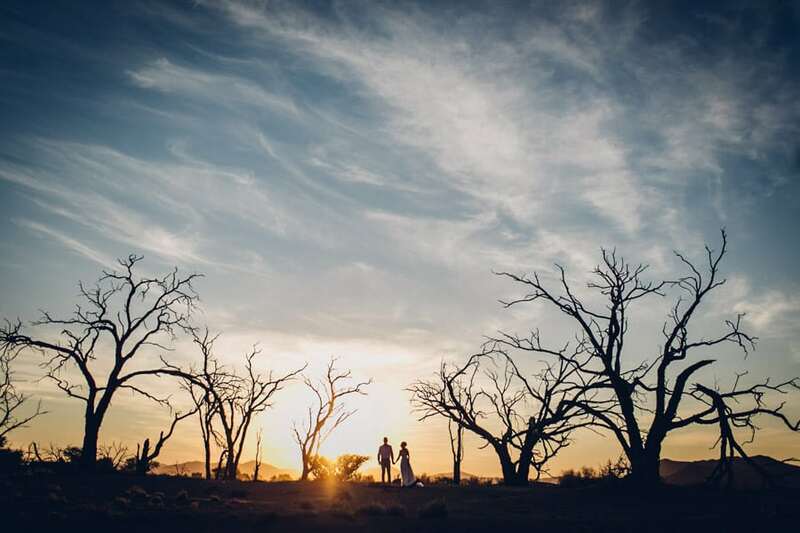 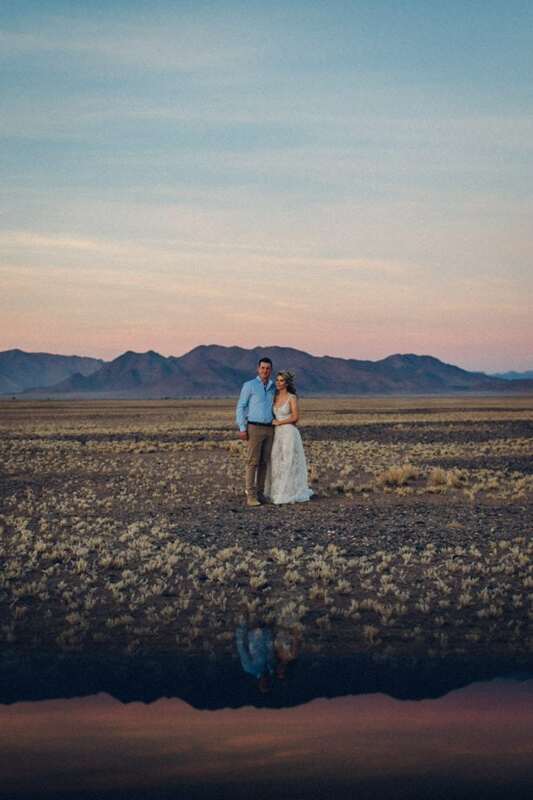 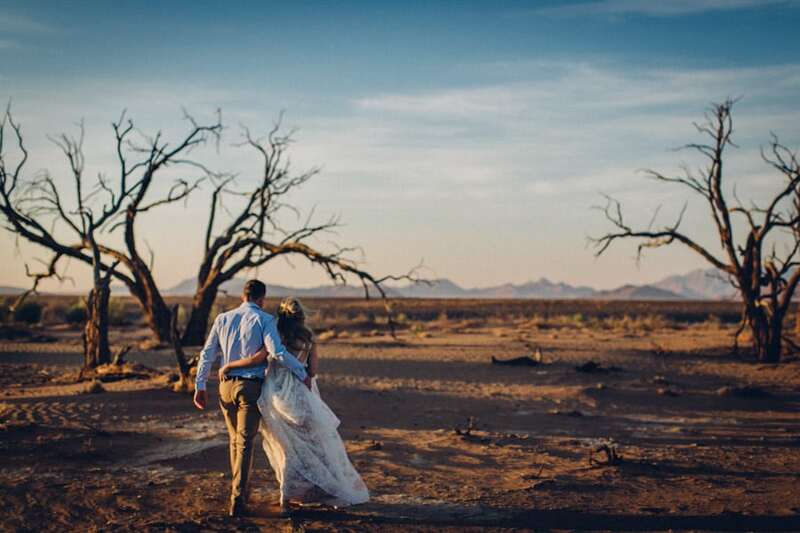 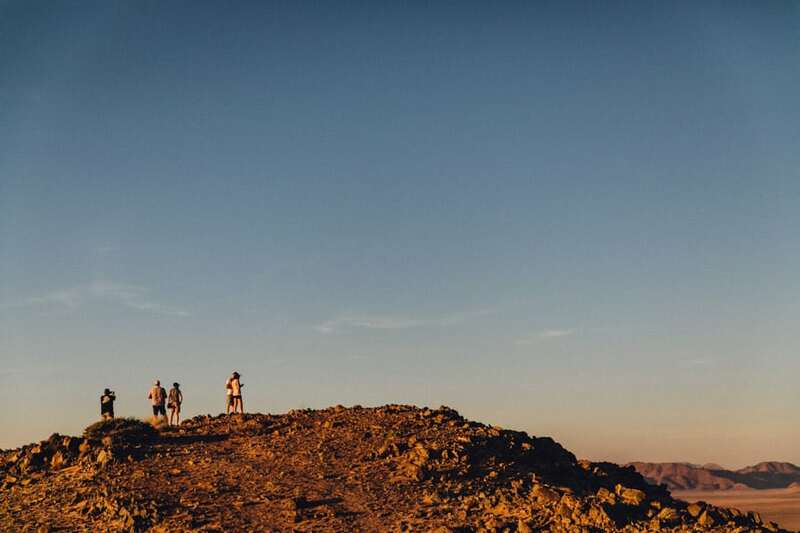 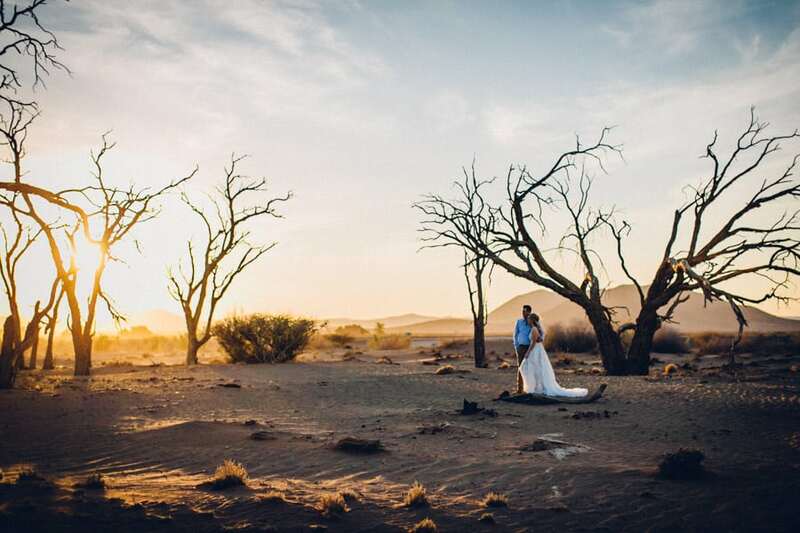 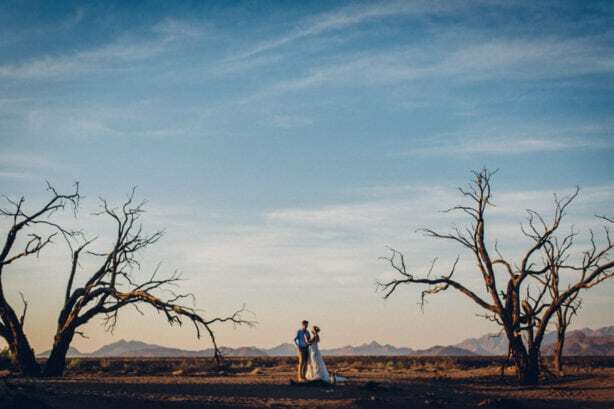 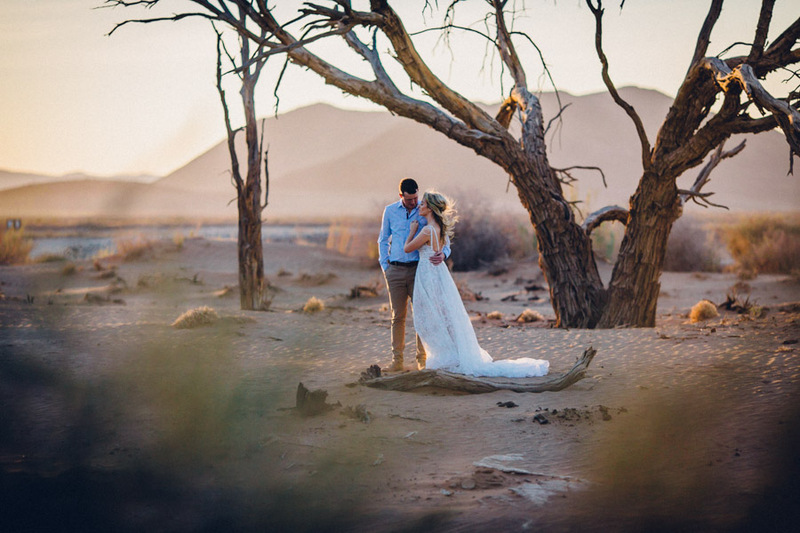 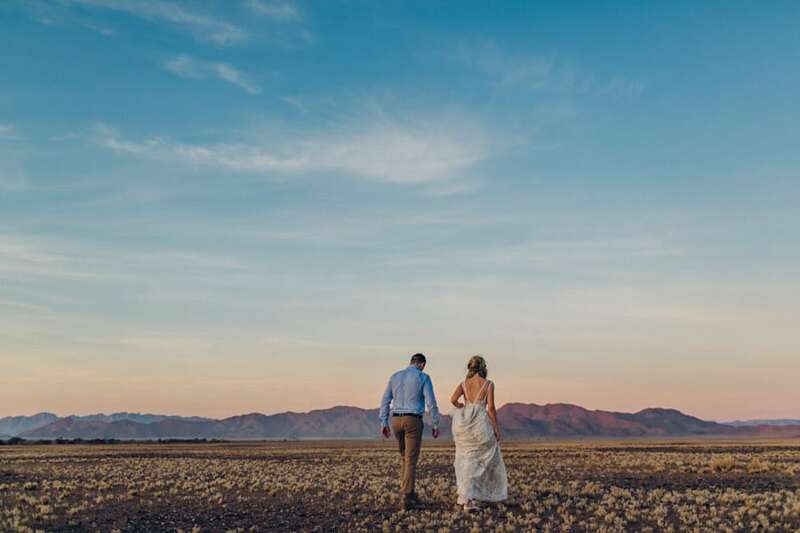 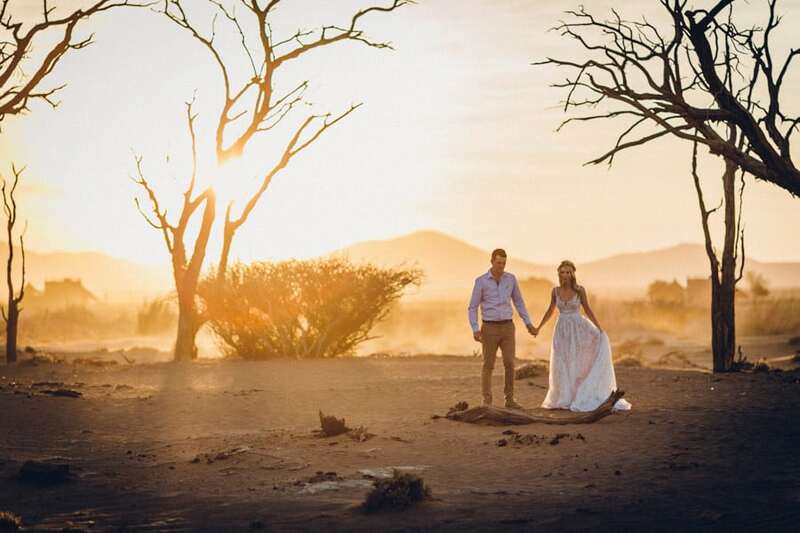 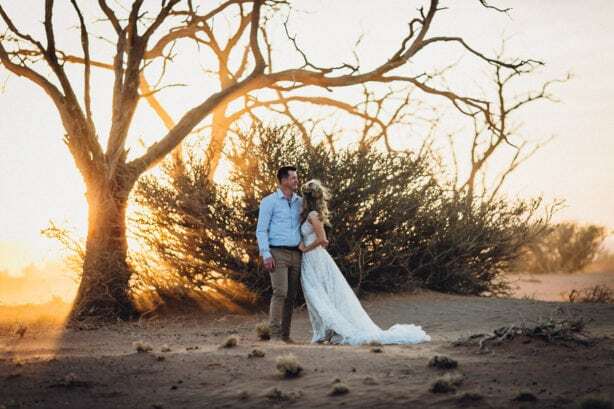 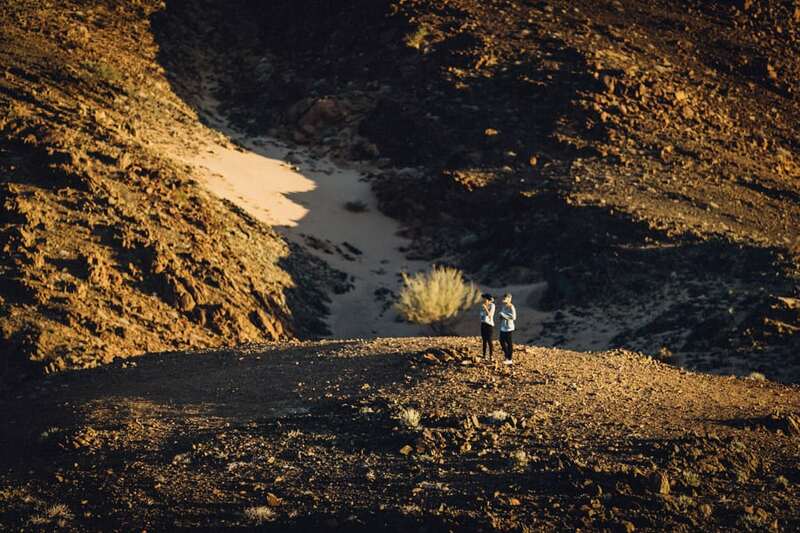 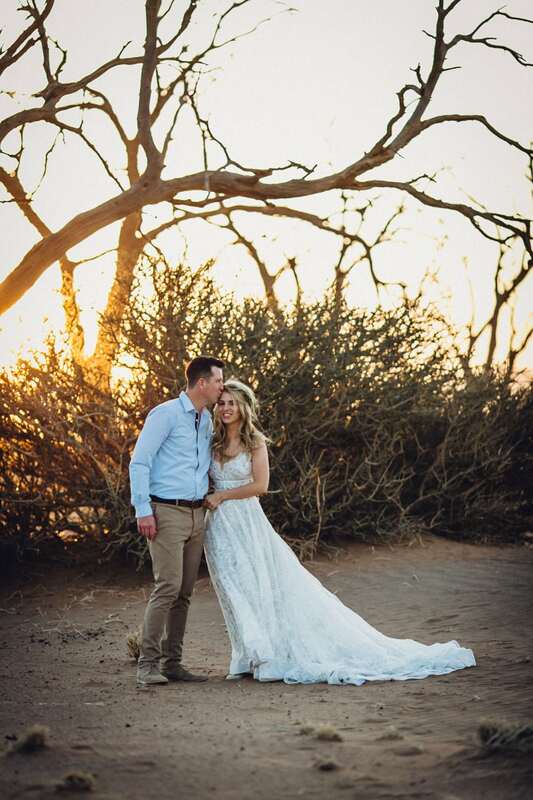 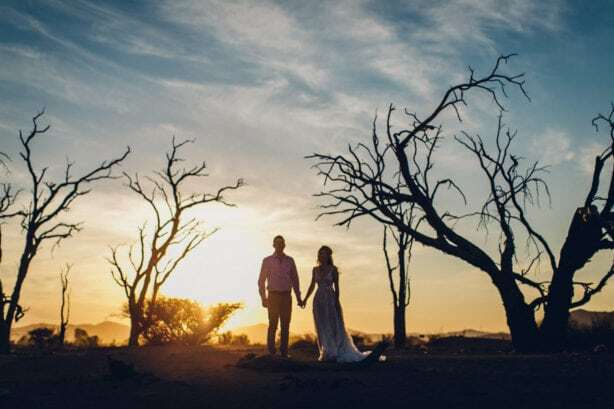 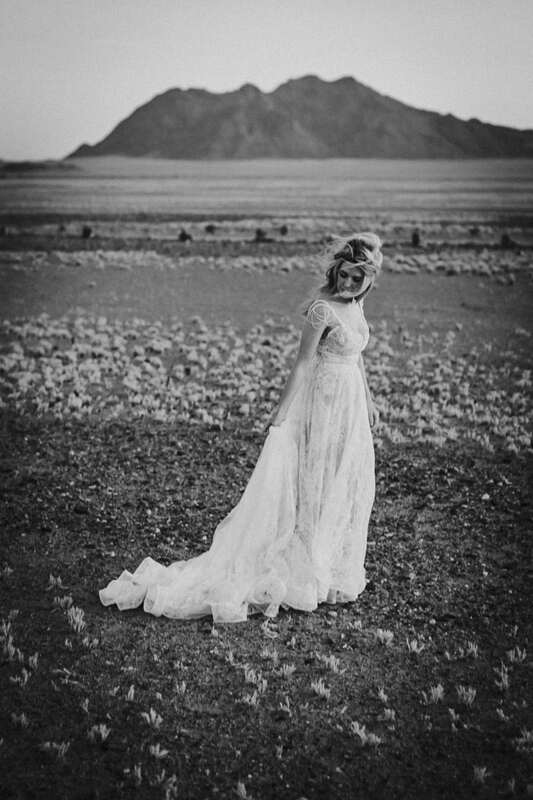 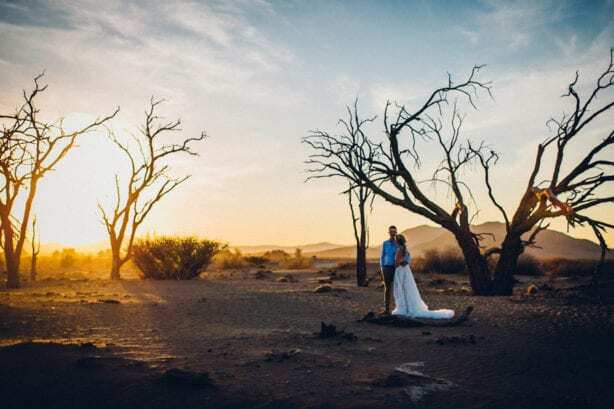 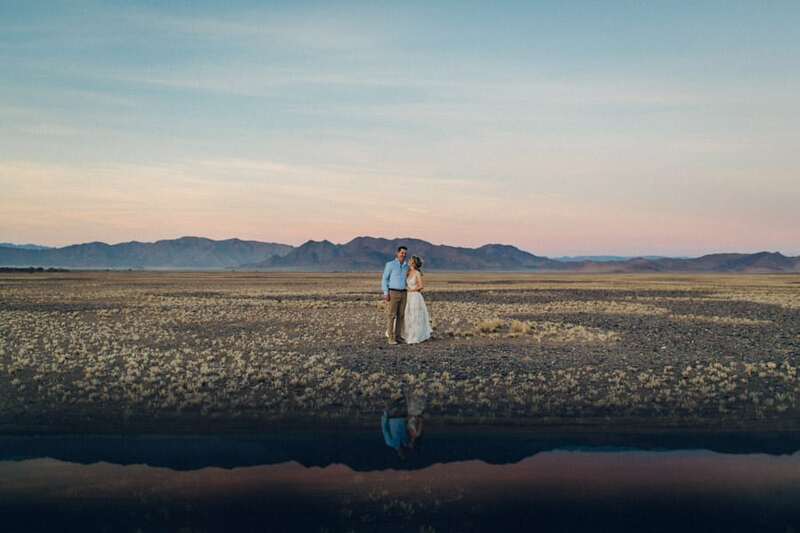 Luckily for us they agreed to do a few pics just the two of them with the insane Namibian sunset and barren landscape, it meant so much to us having these two intensely private people doing this with us. 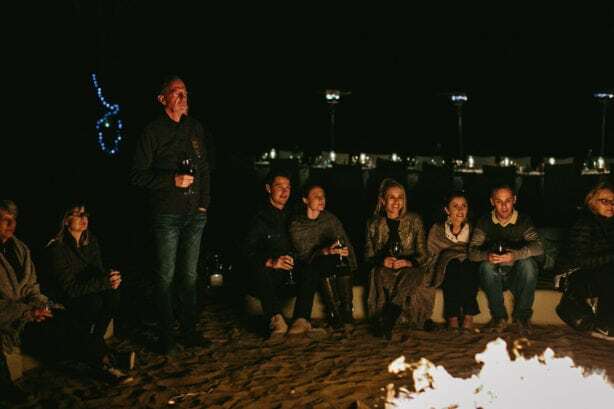 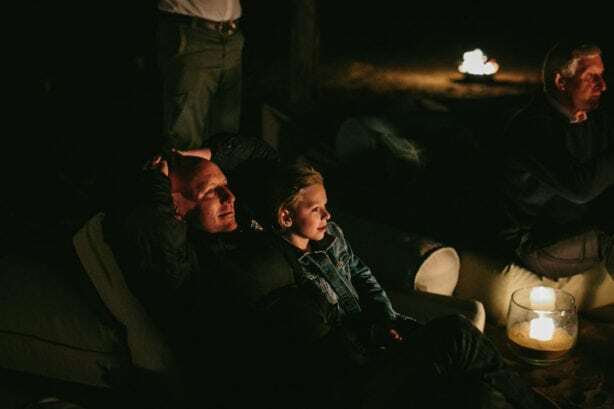 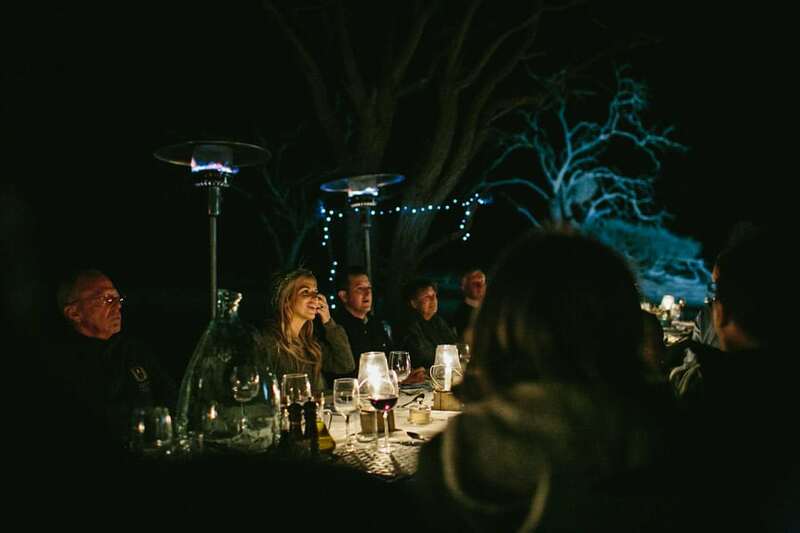 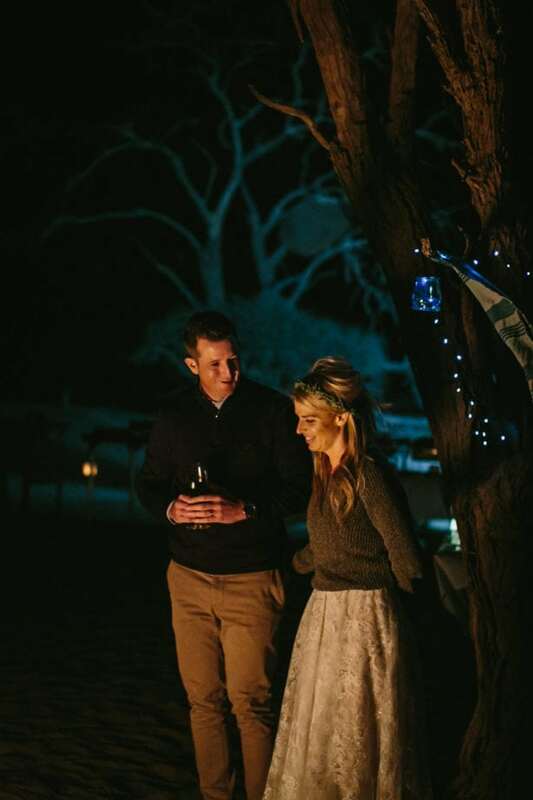 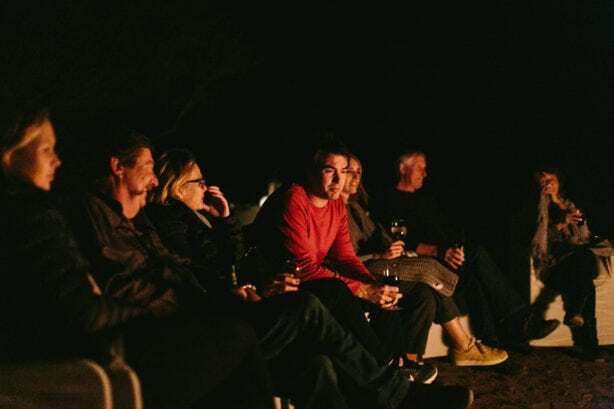 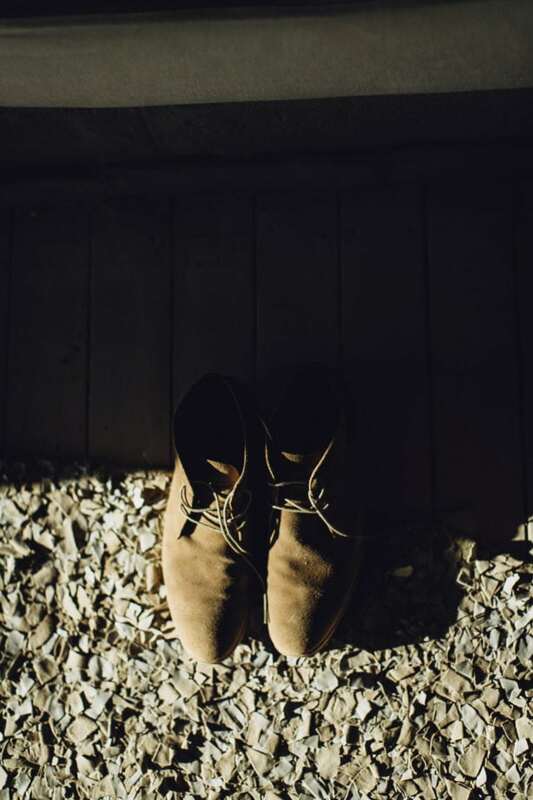 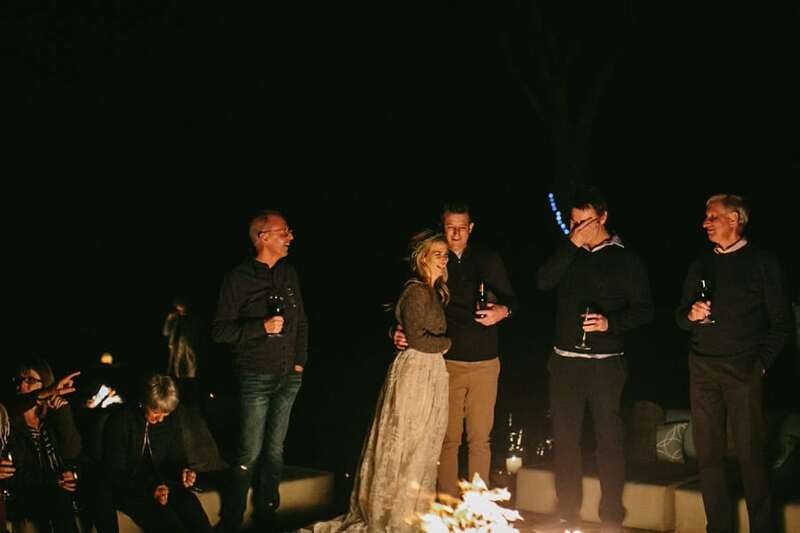 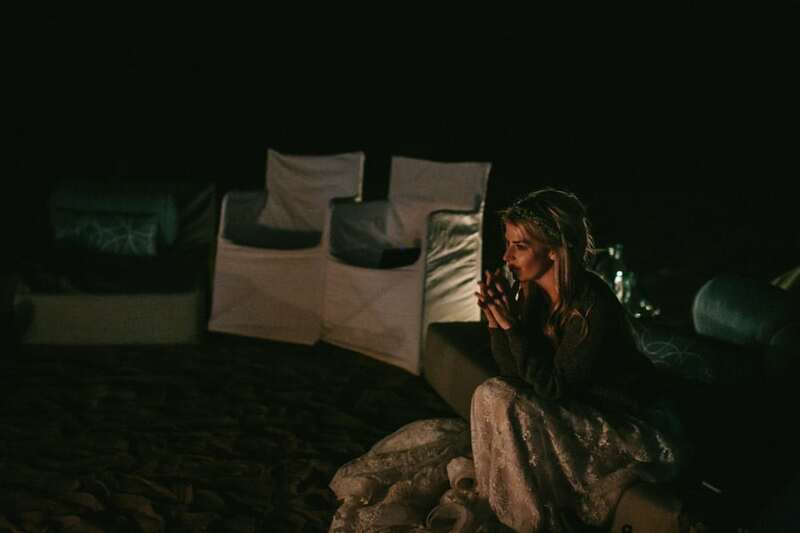 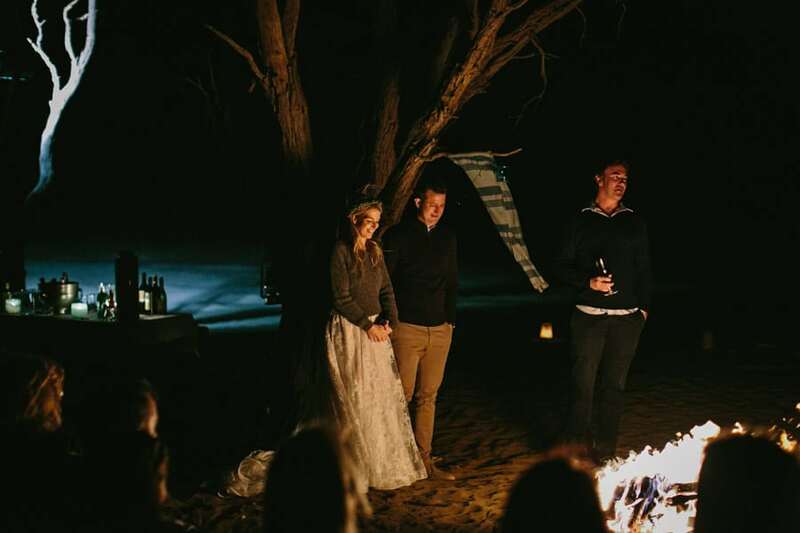 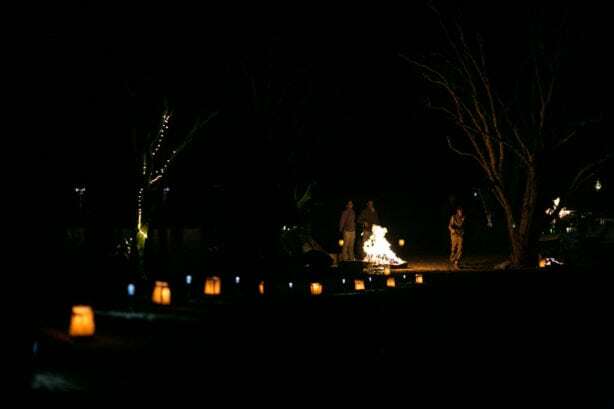 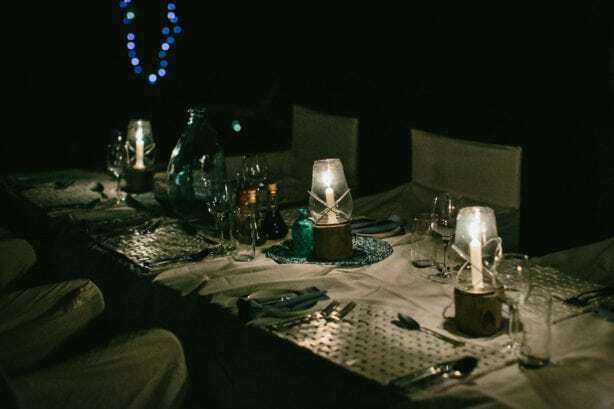 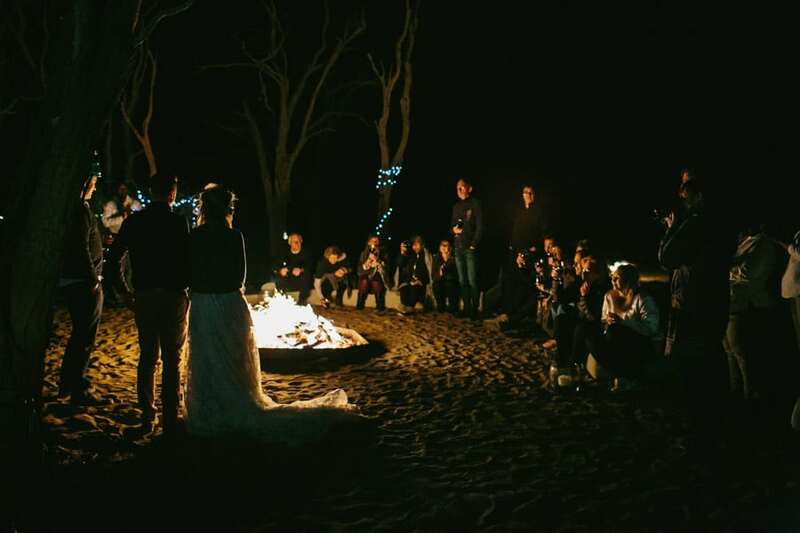 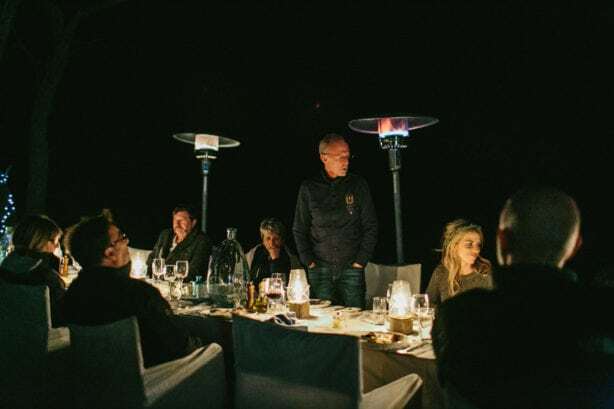 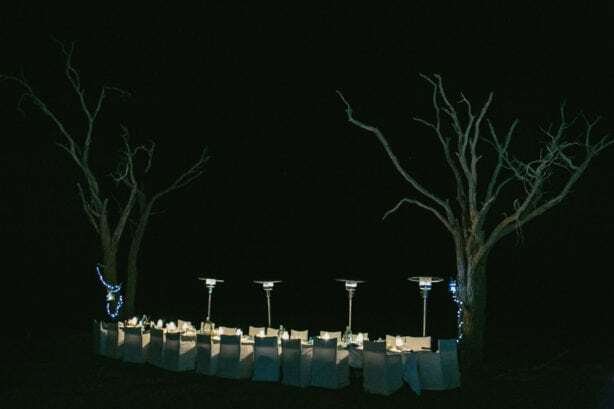 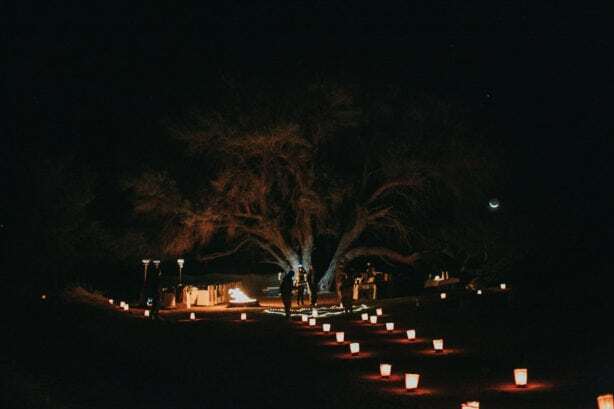 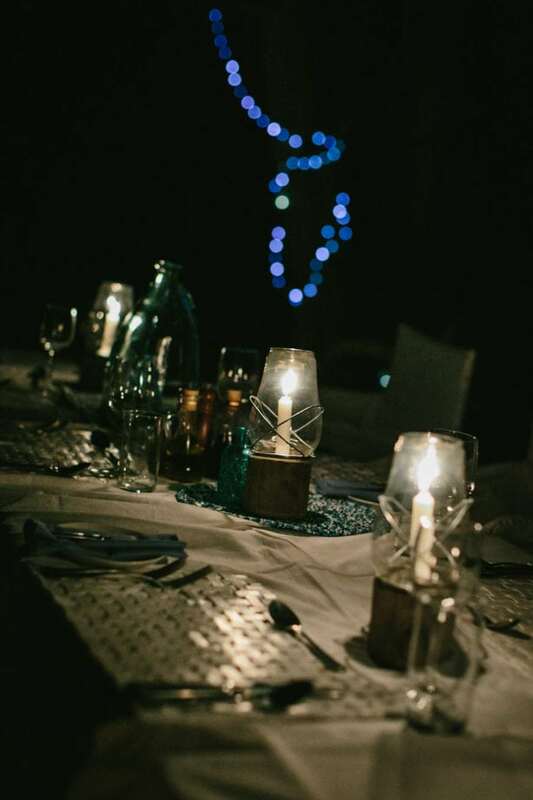 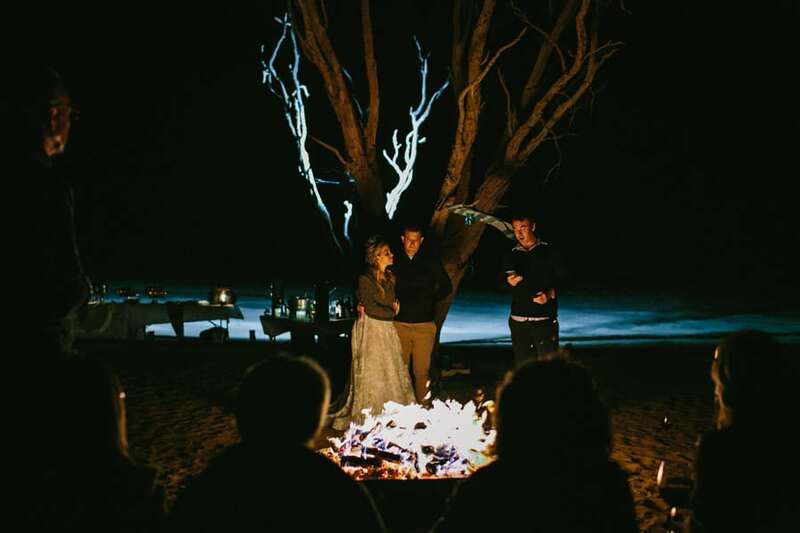 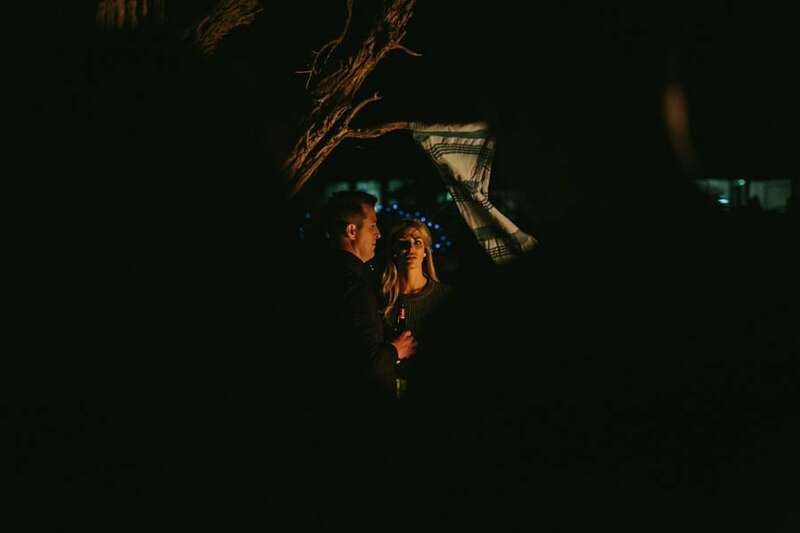 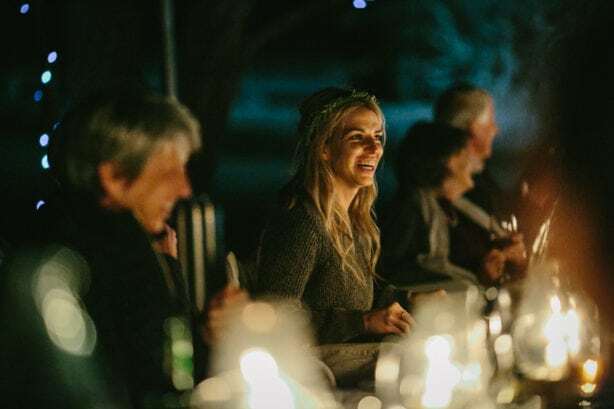 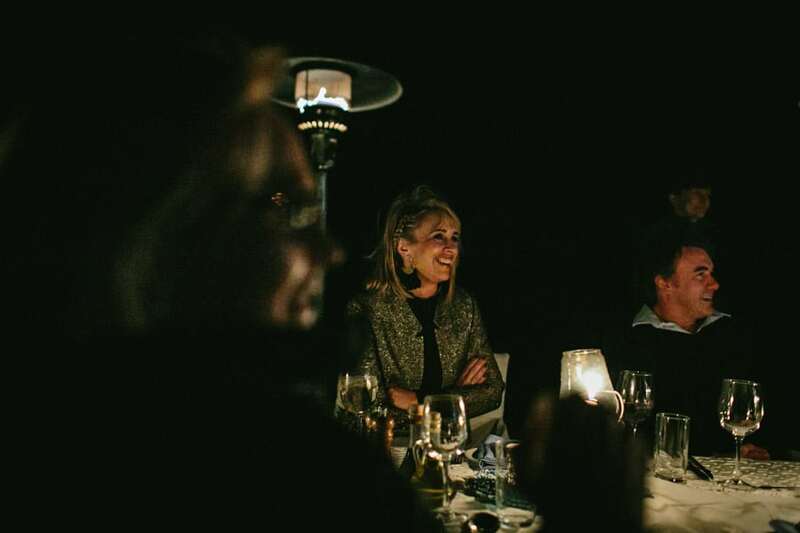 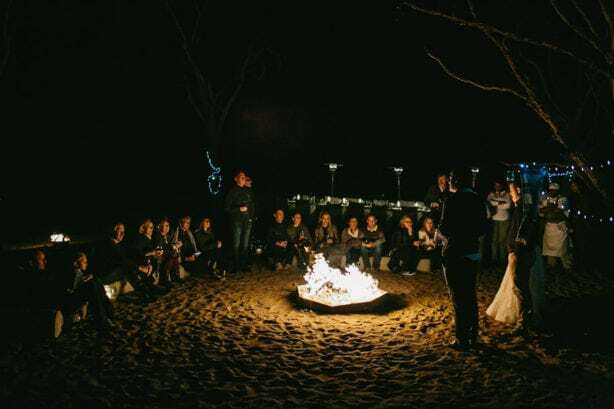 On the 2nd night, an old friend of Rick’s married them under the starry sky alongside a roaring fire and all their special people. 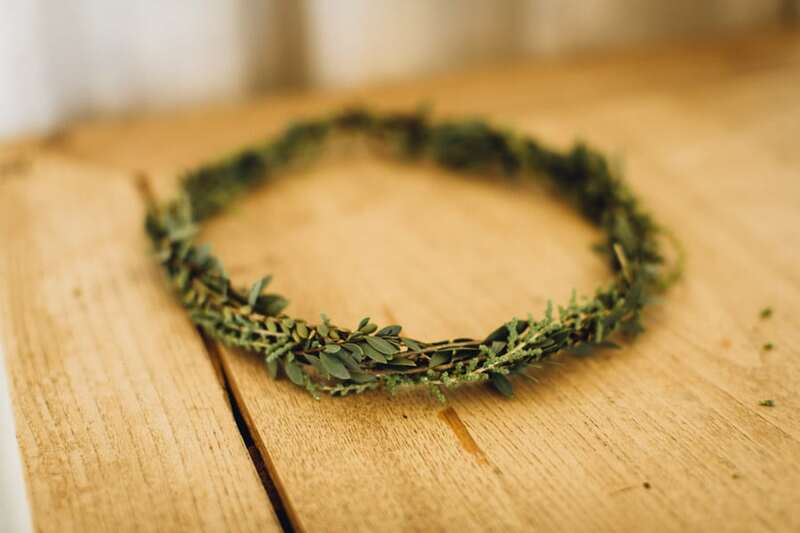 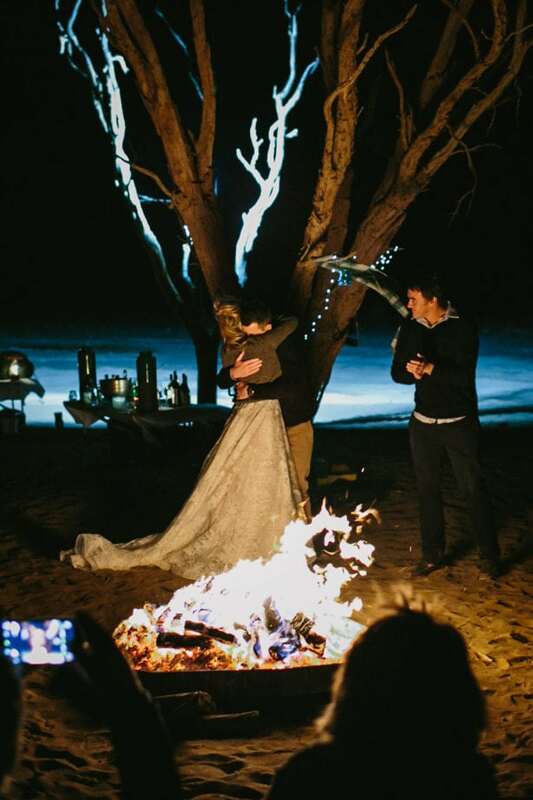 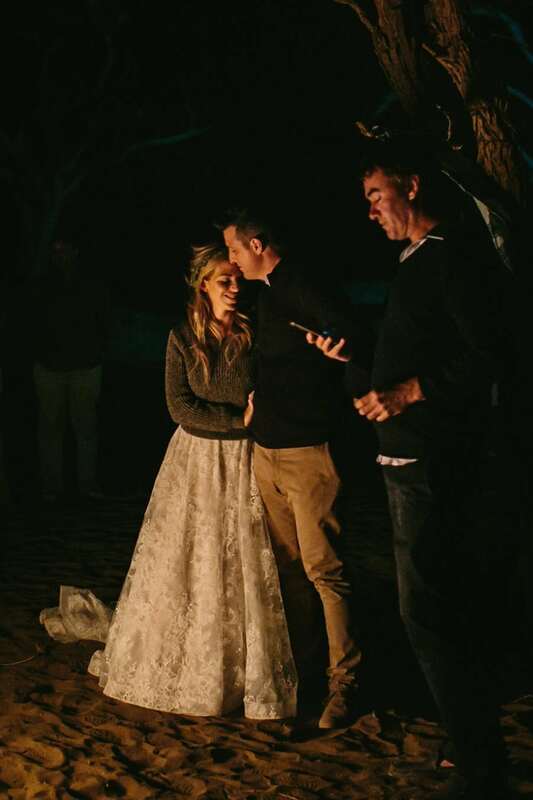 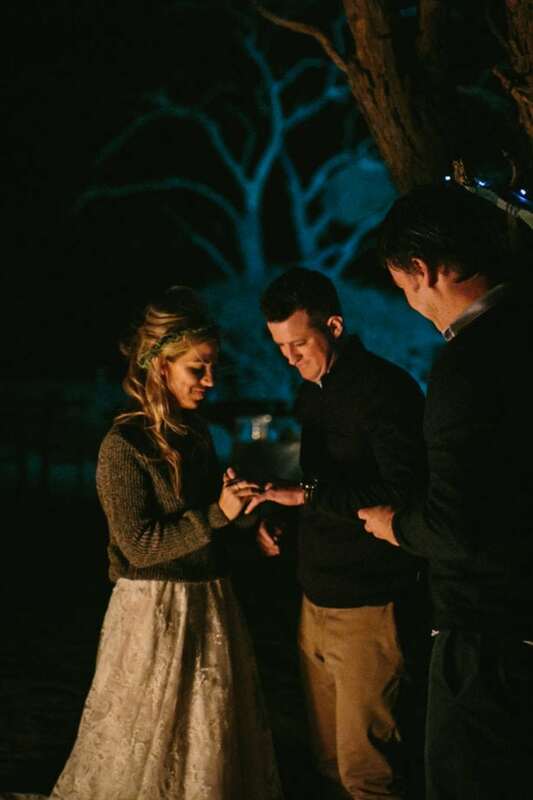 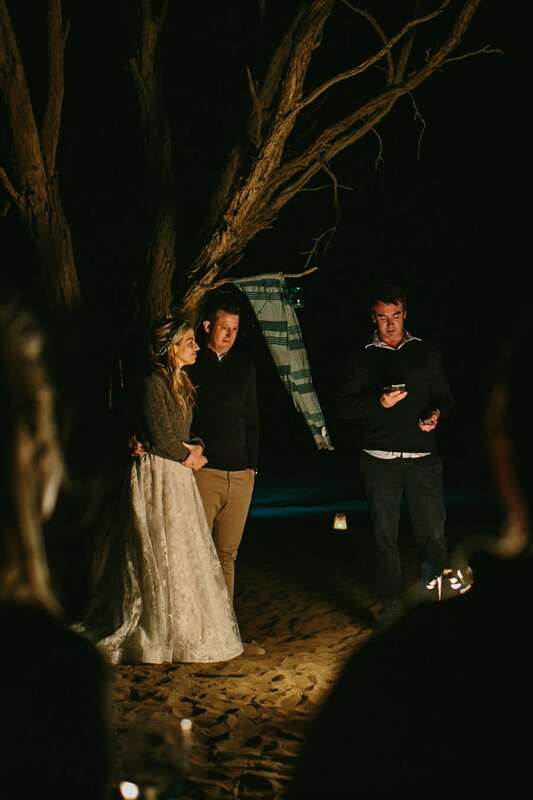 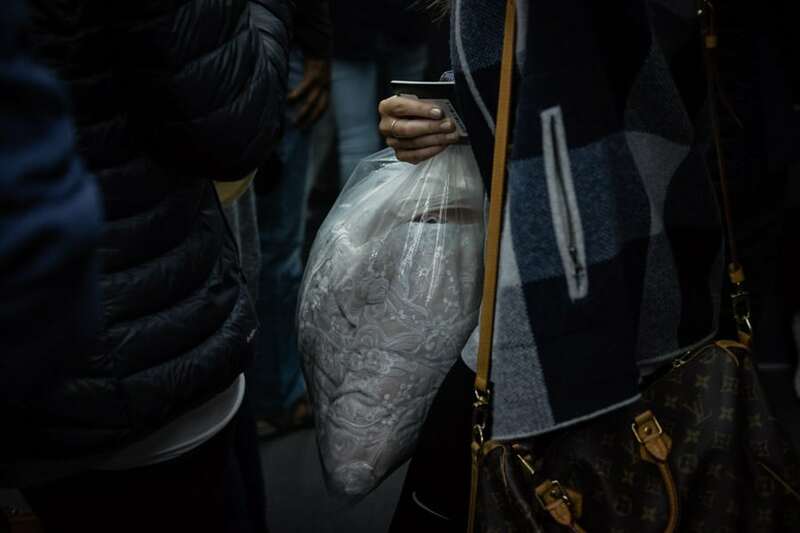 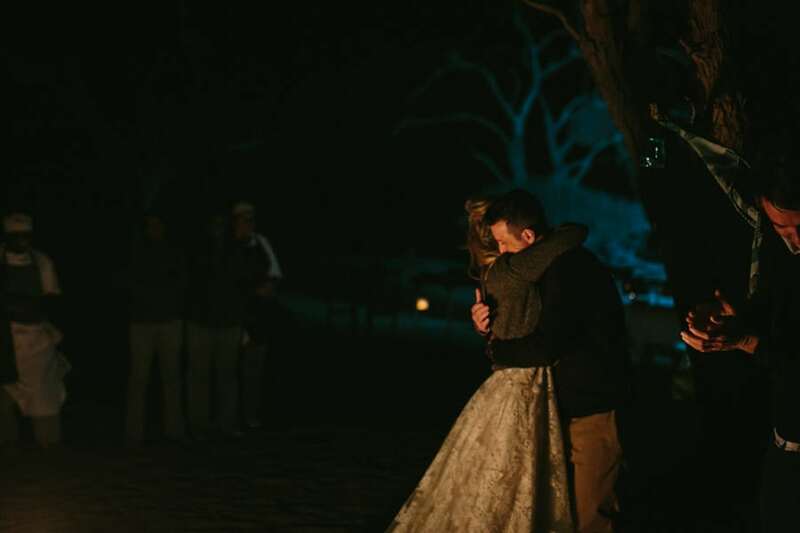 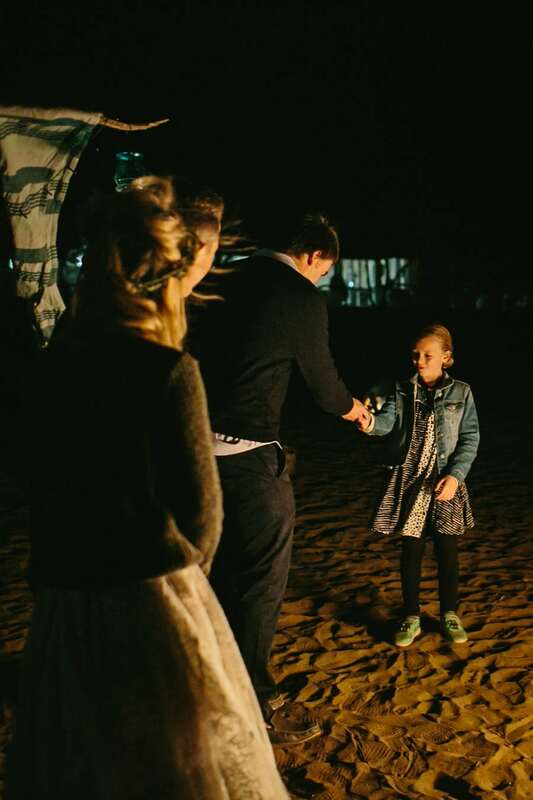 I don’t think we have ever witnessed a more simple, unpretentious and perfect ceremony in all our lives. 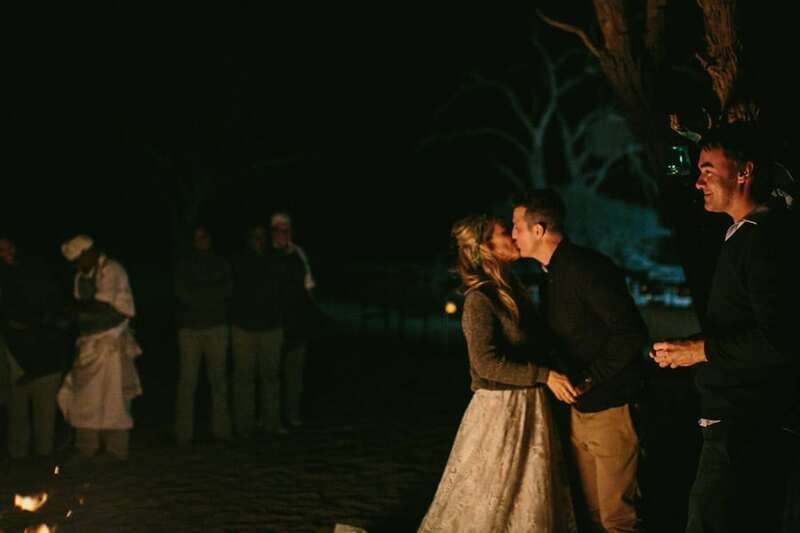 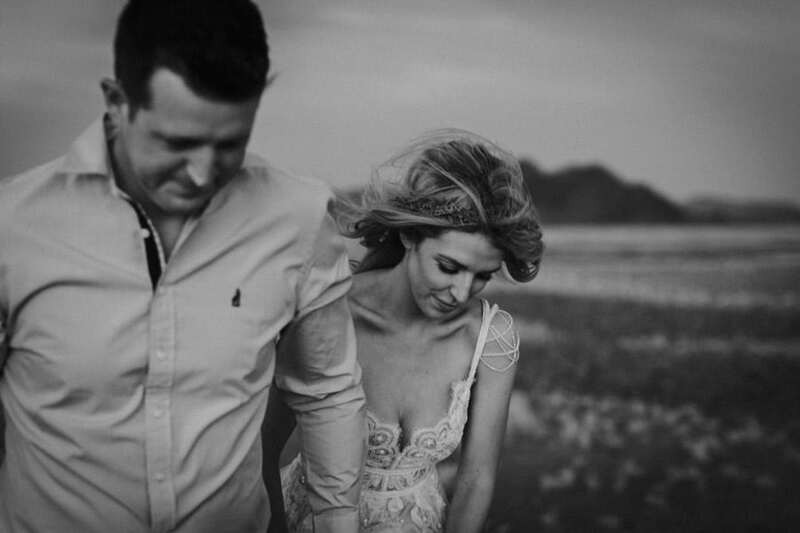 I honestly could not think of a more perfect way for them to have committed themselves to each other. 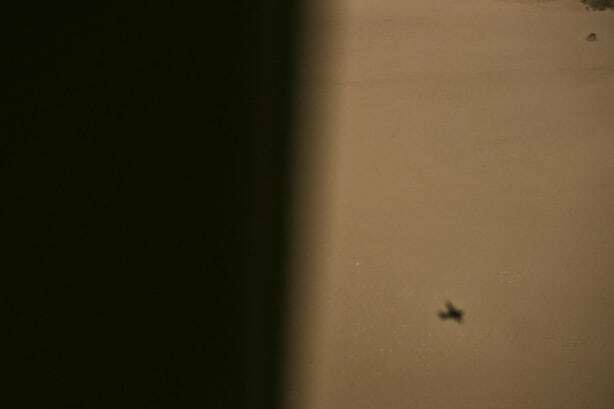 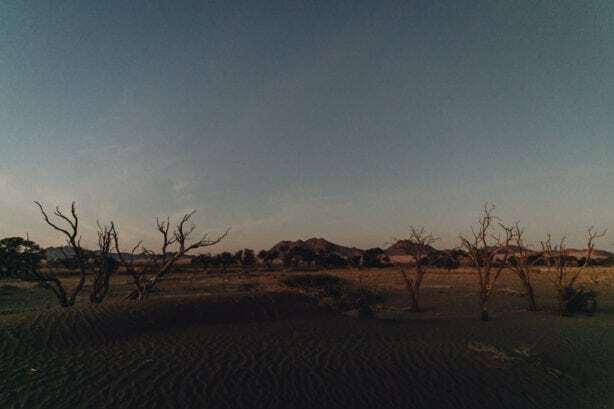 I really need to refrain from writing a full essay here so before I start rambling with superlatives, here are some pics from their Namibian adventure.